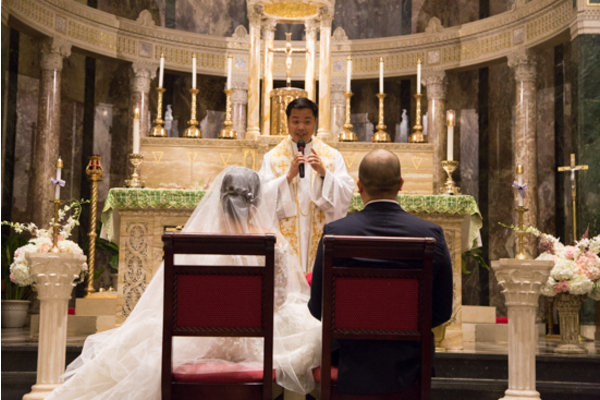 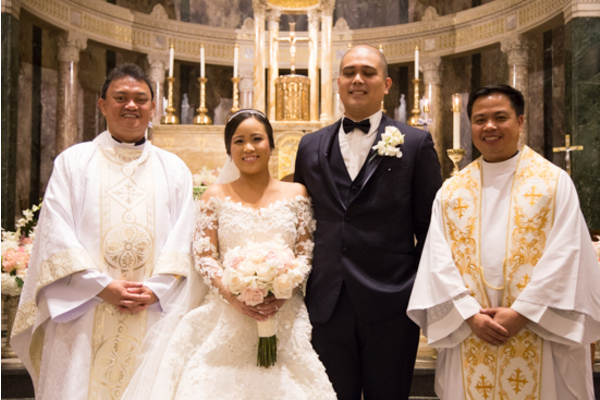 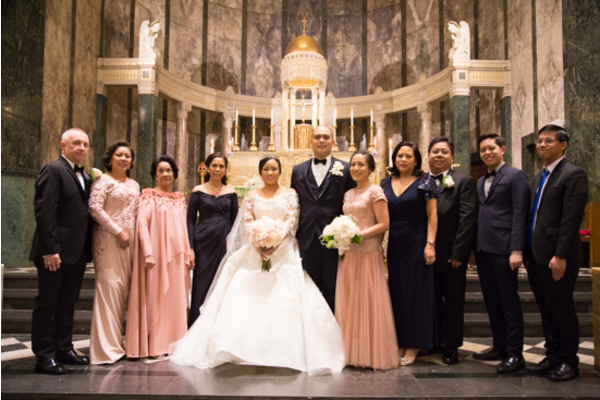 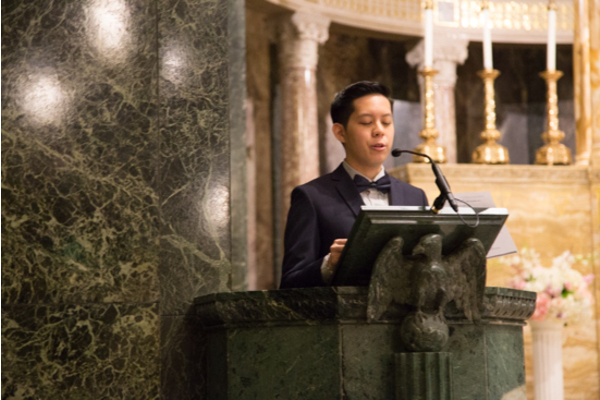 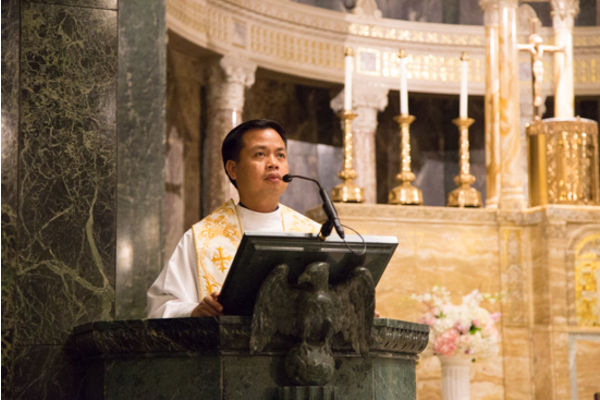 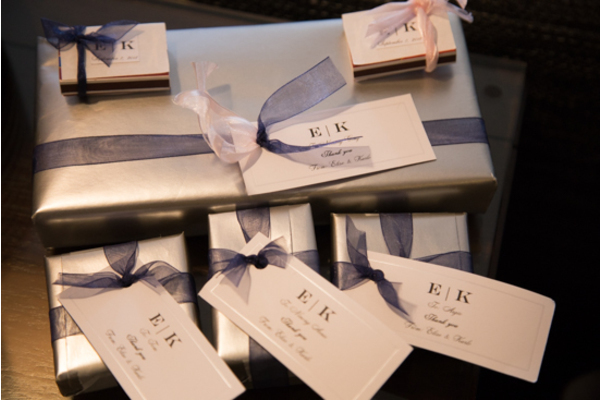 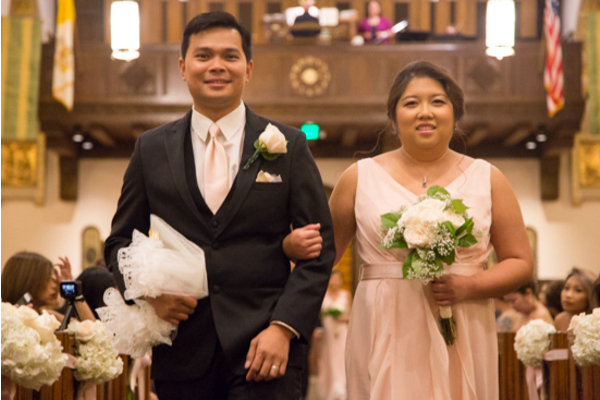 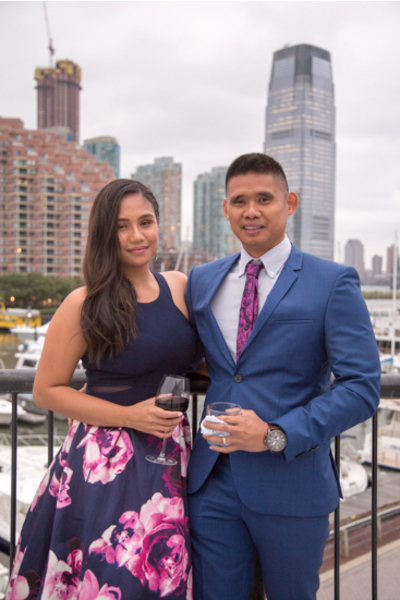 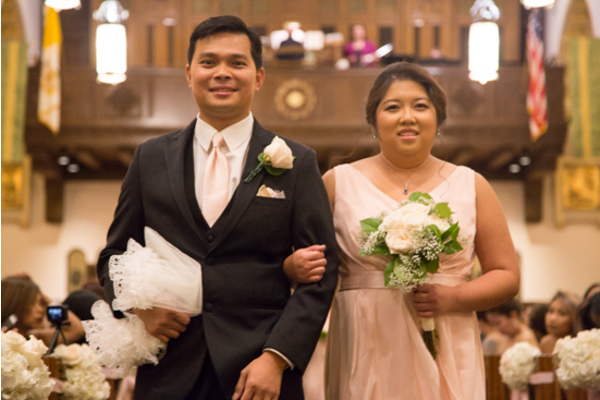 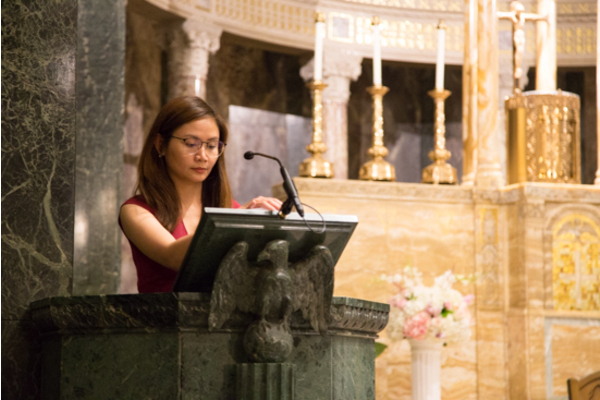 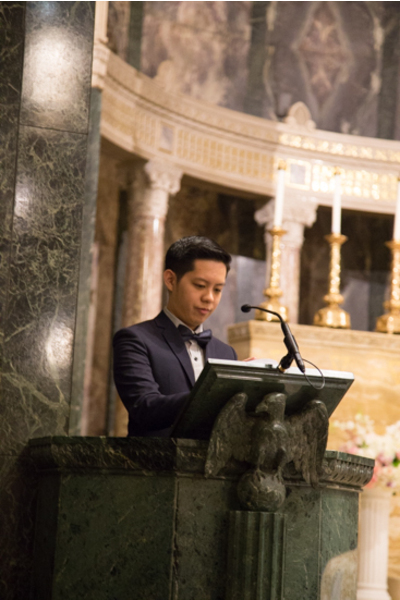 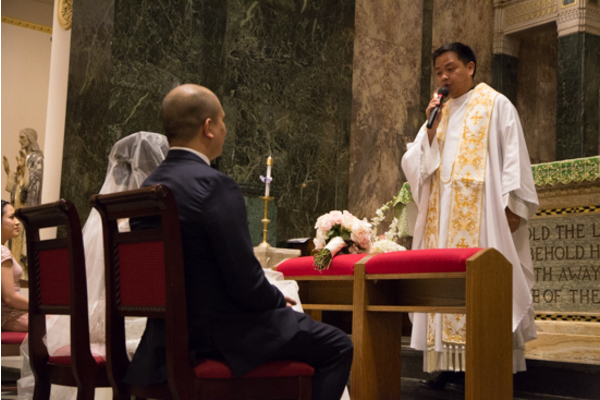 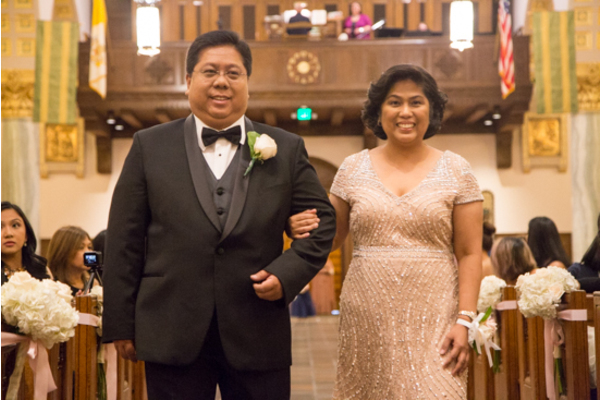 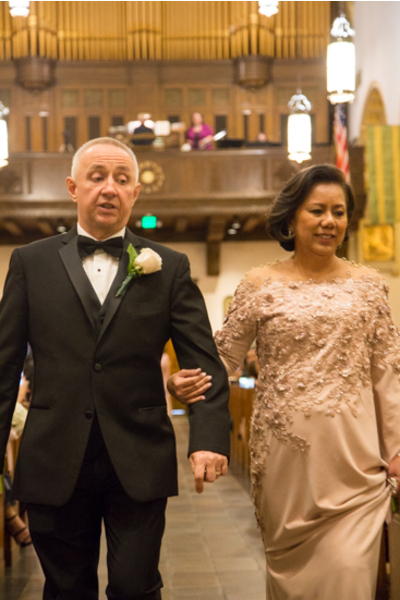 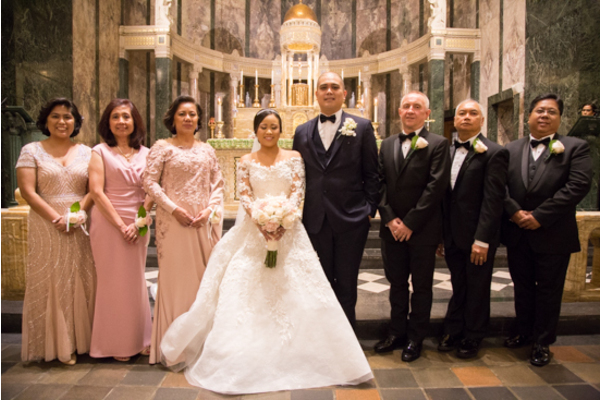 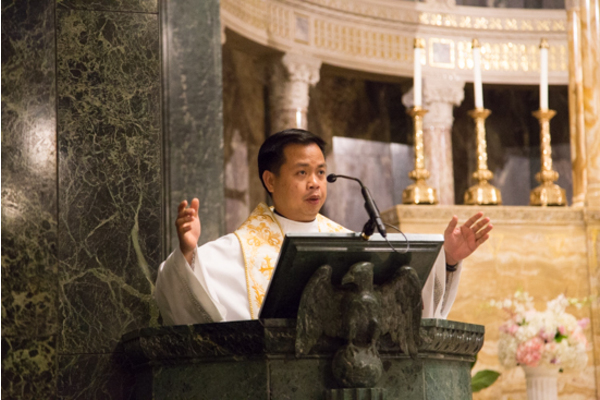 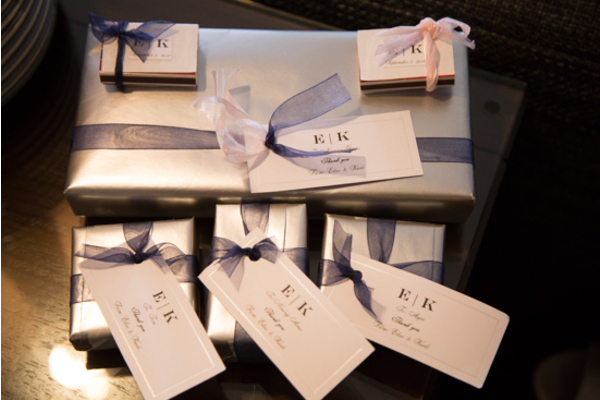 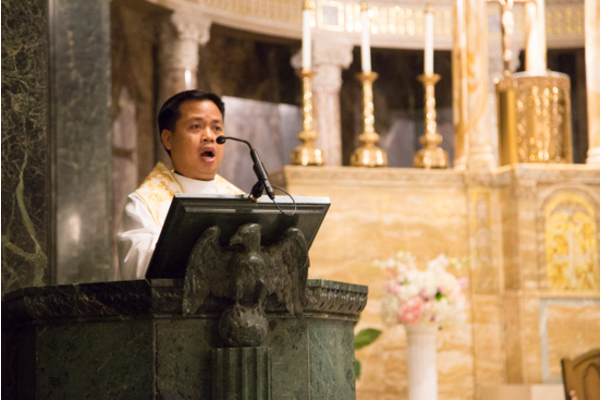 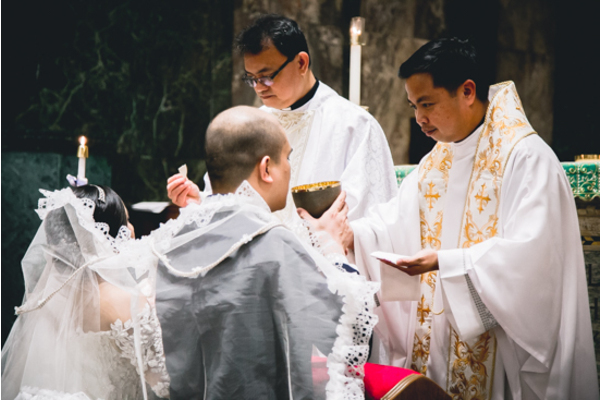 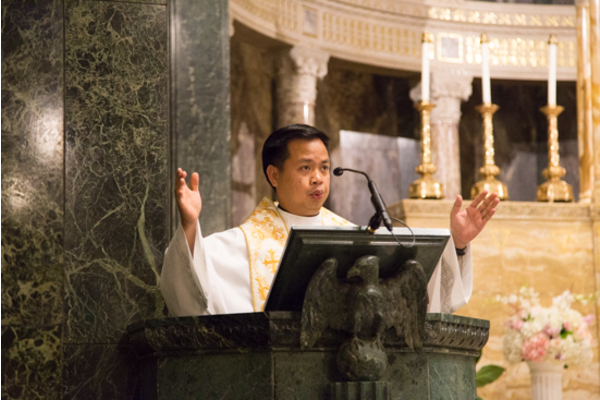 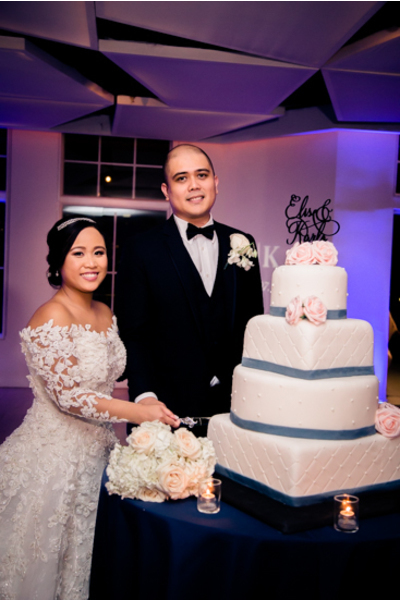 Congratulations to Elise and Karlo on their recent marriage! 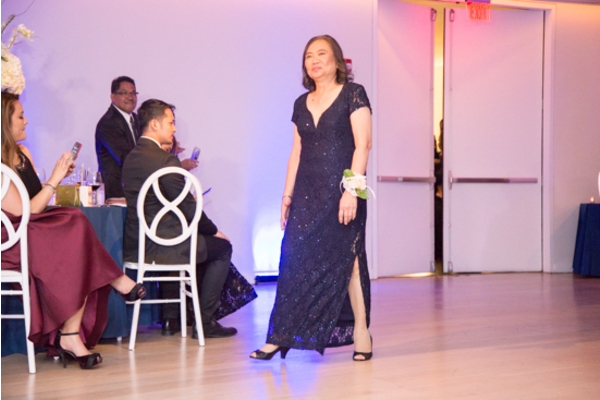 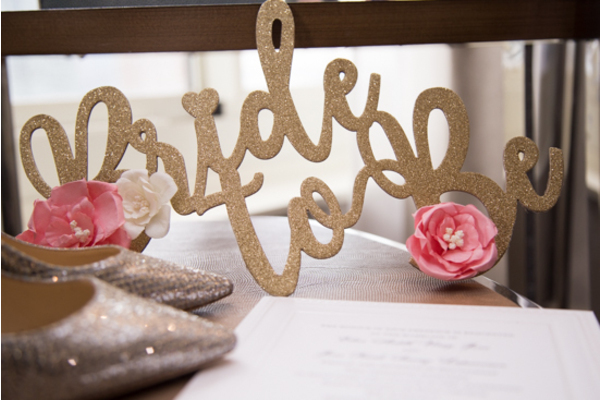 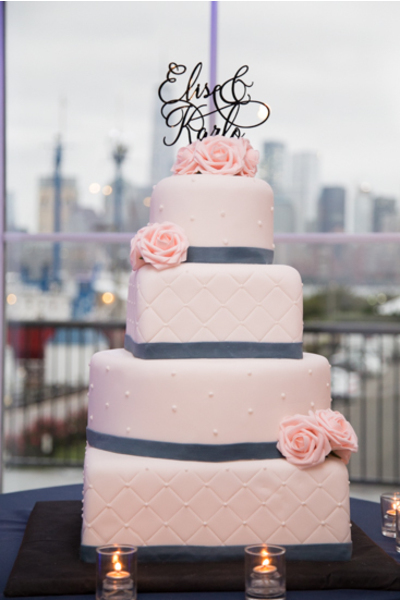 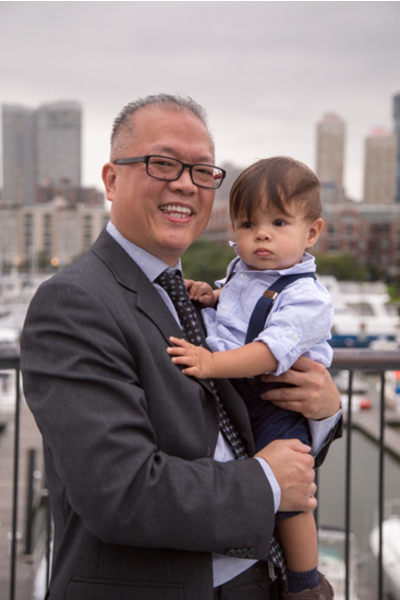 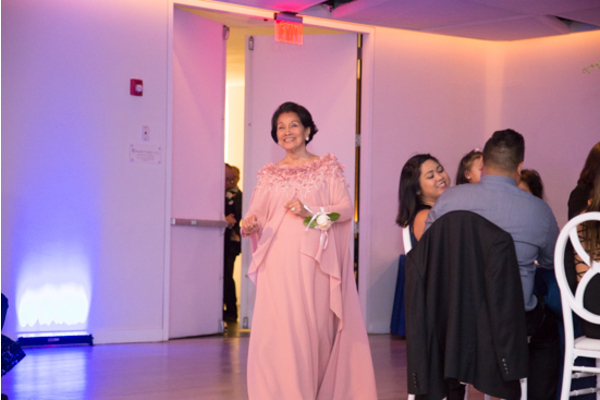 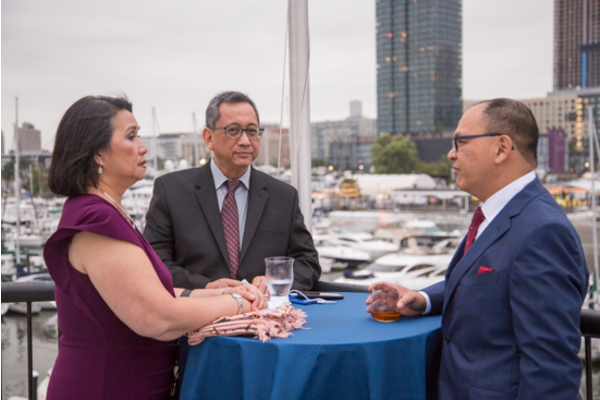 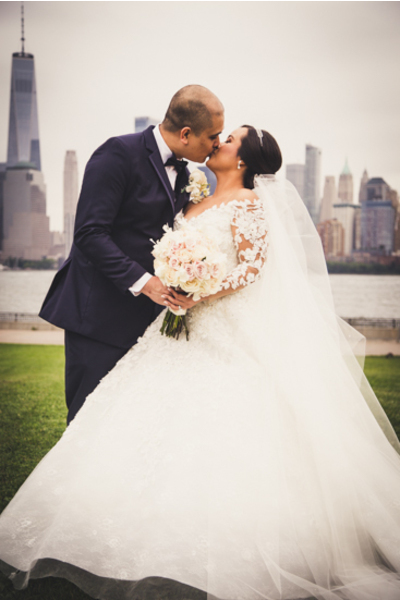 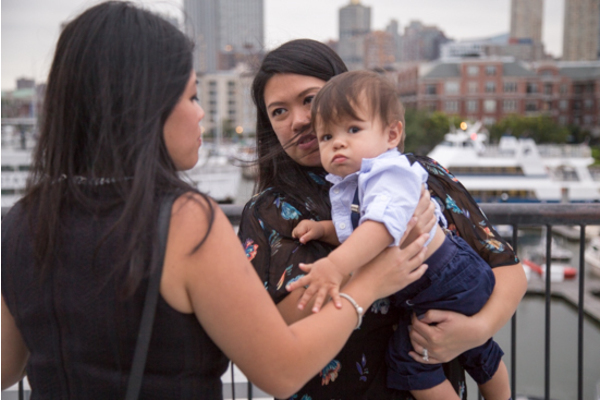 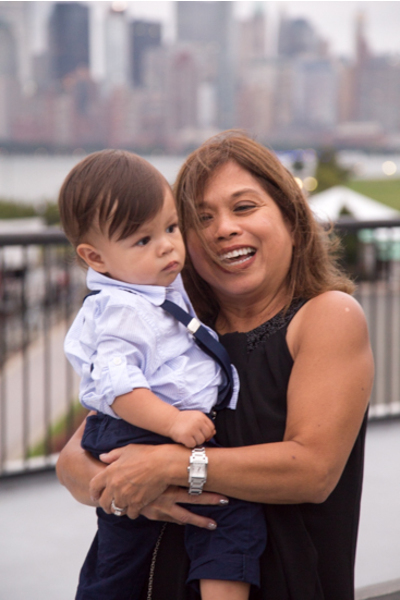 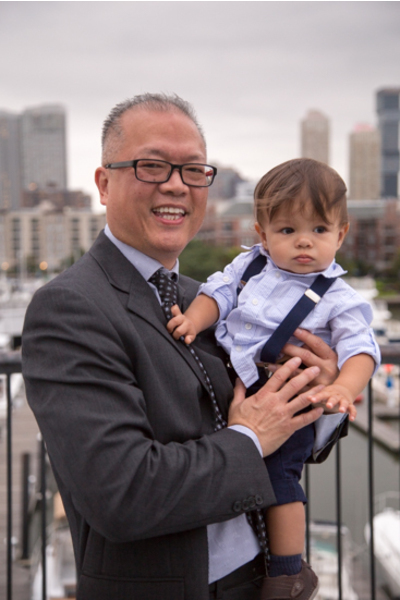 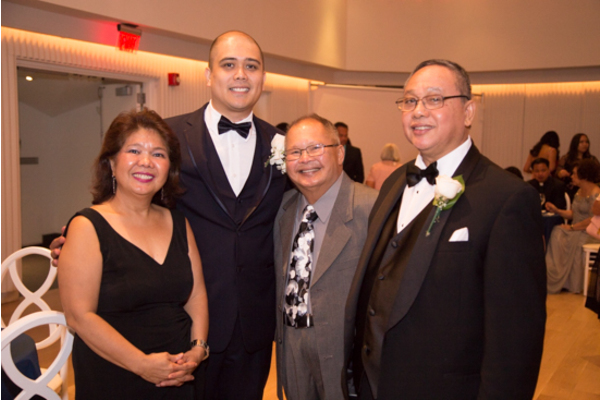 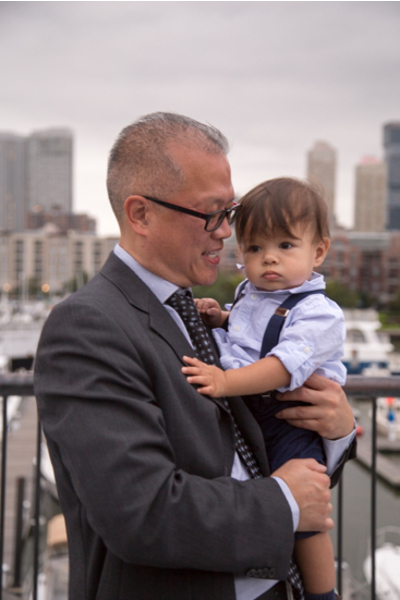 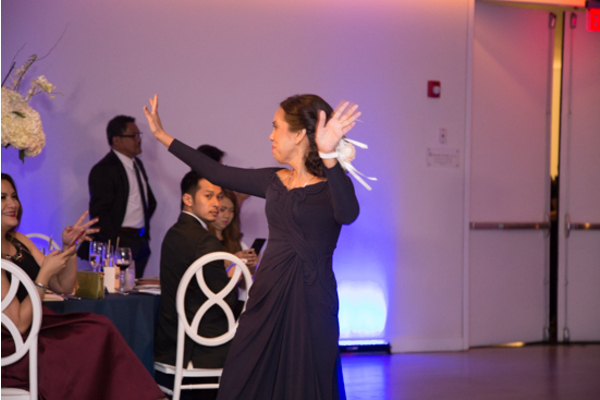 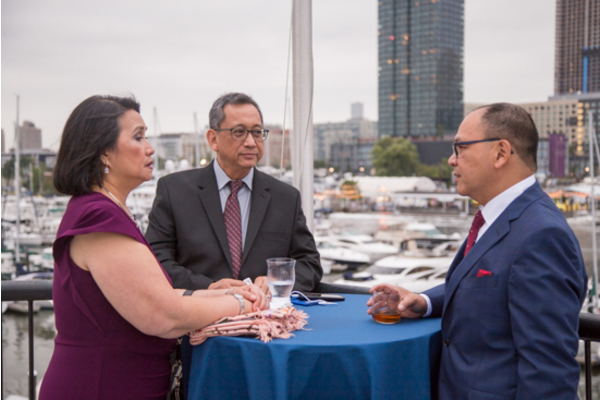 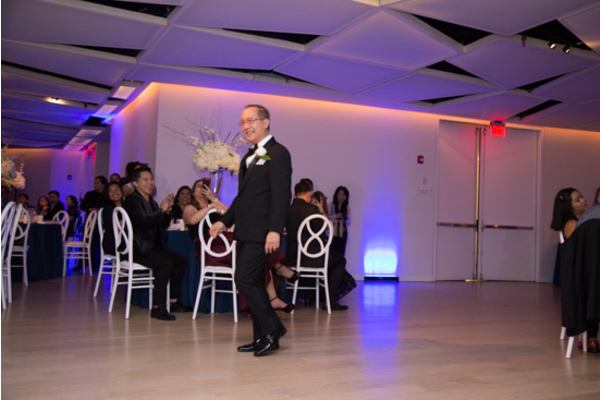 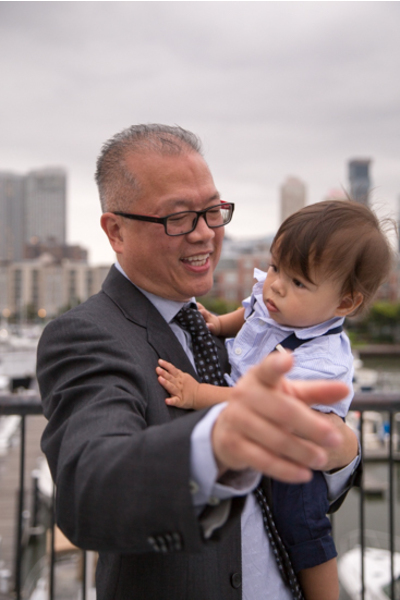 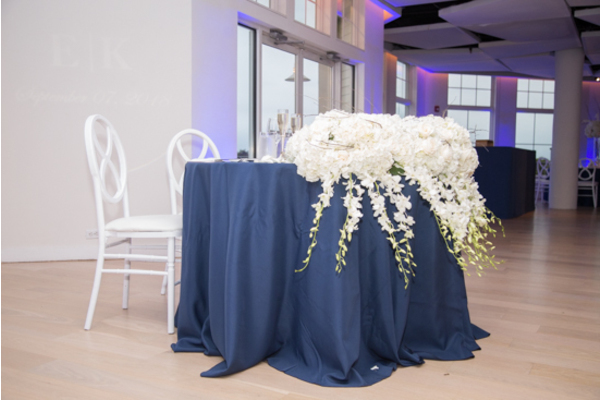 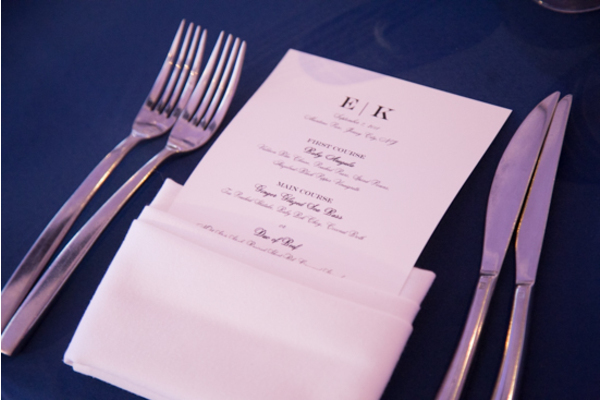 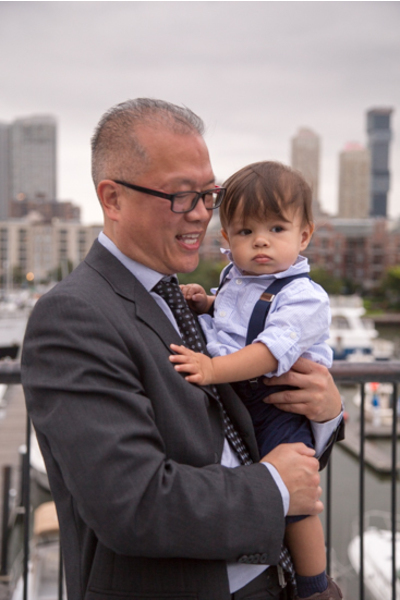 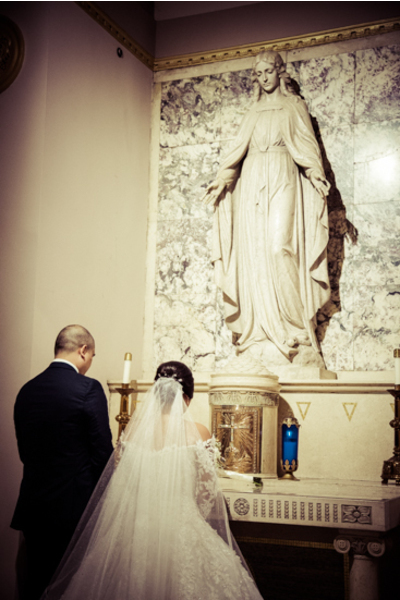 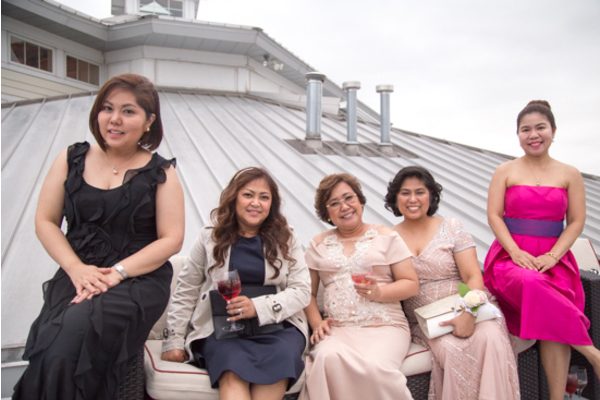 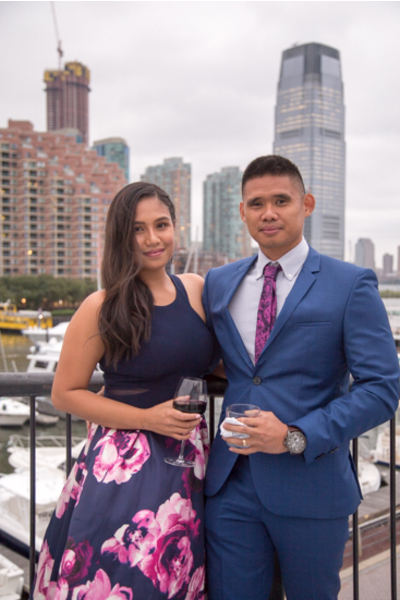 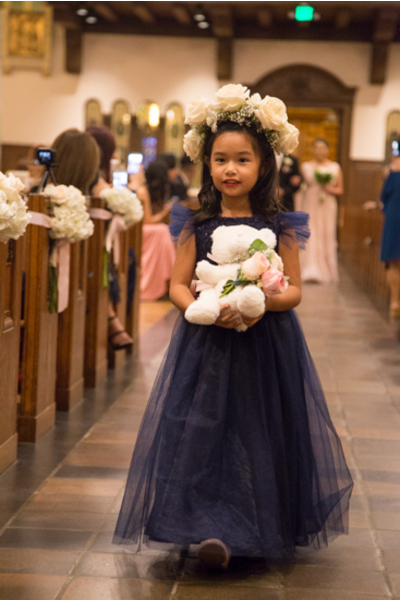 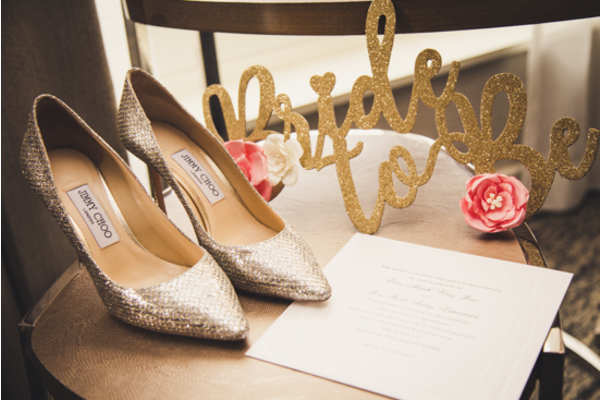 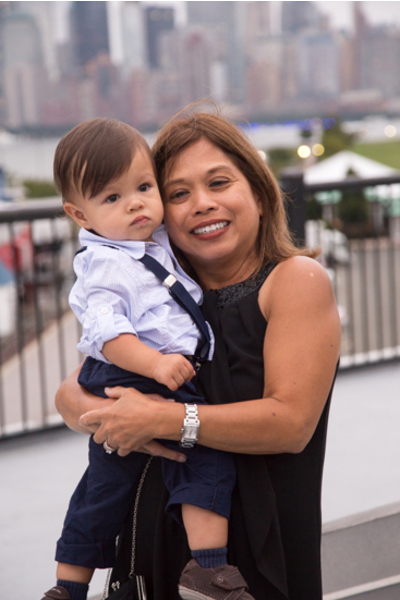 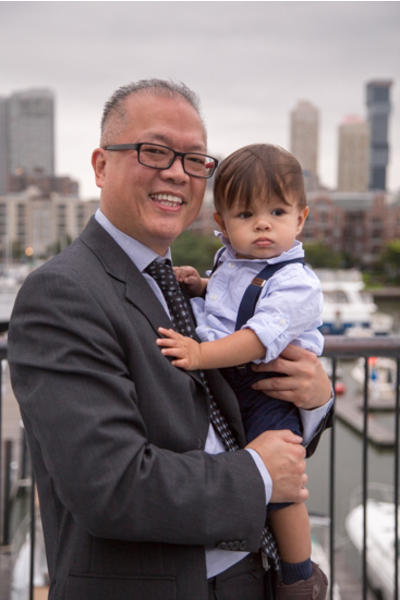 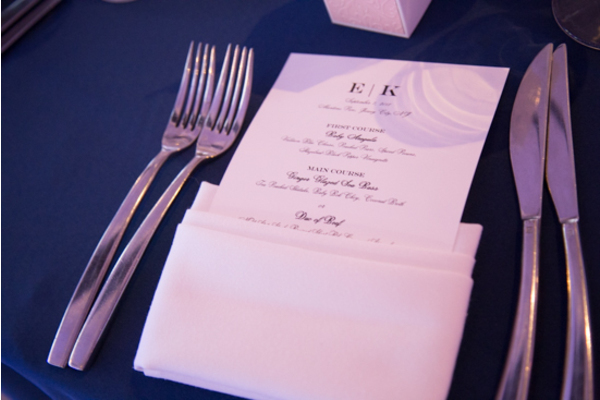 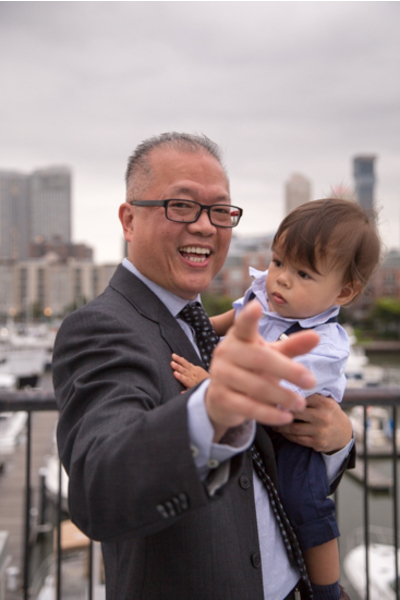 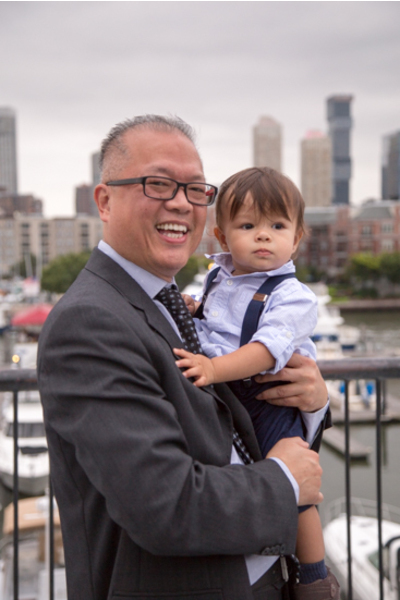 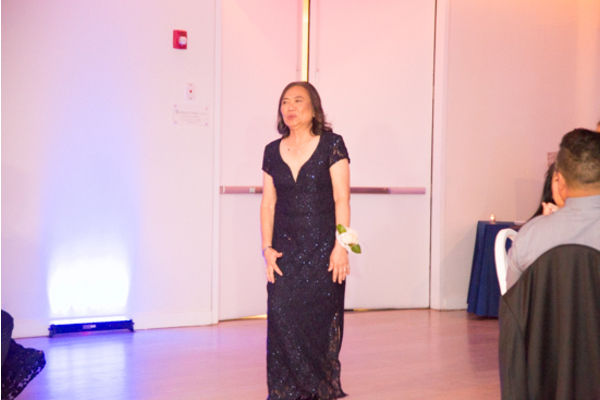 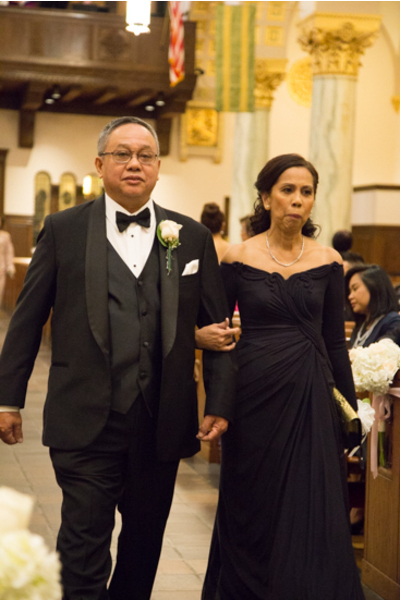 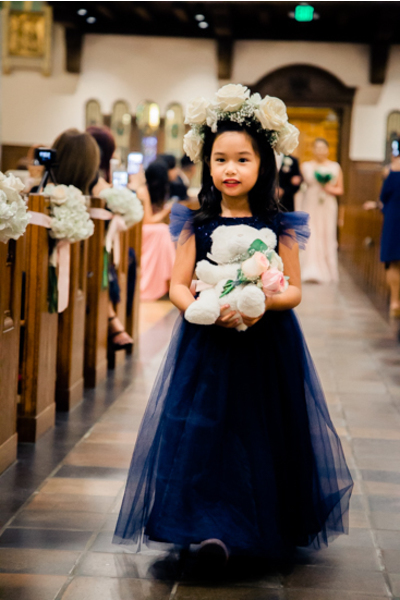 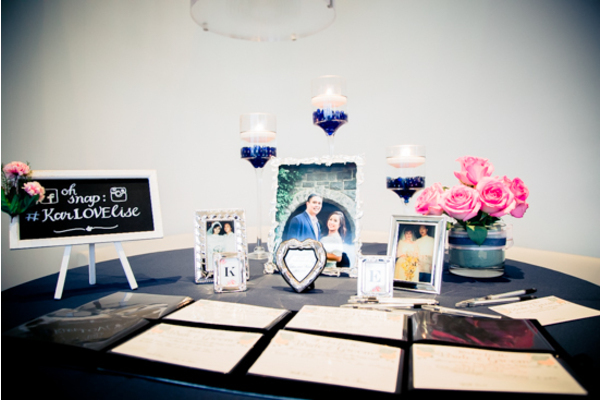 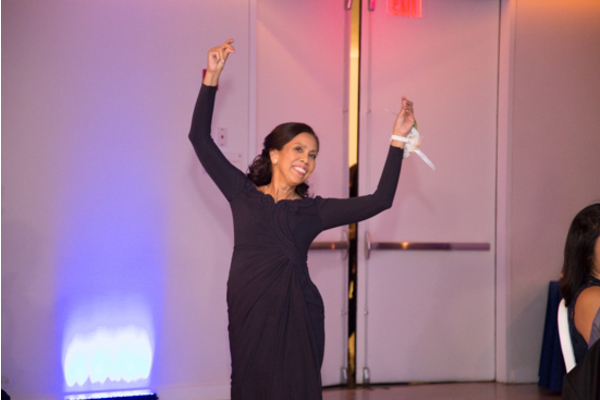 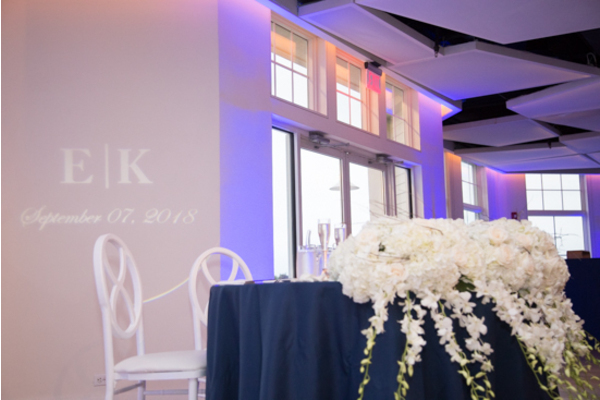 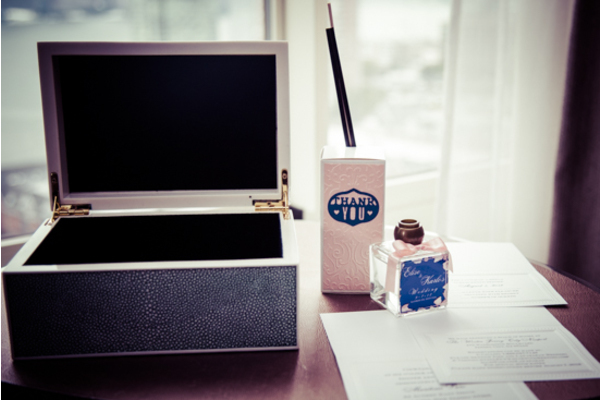 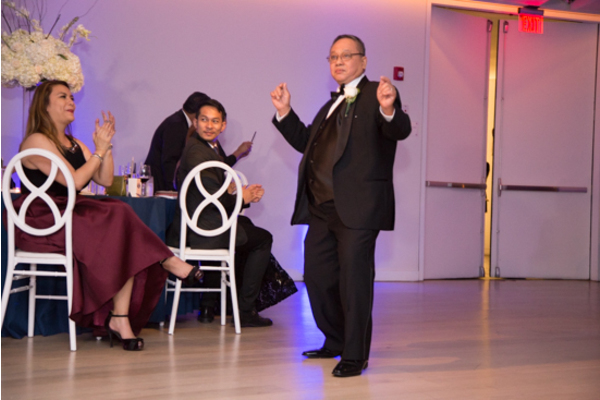 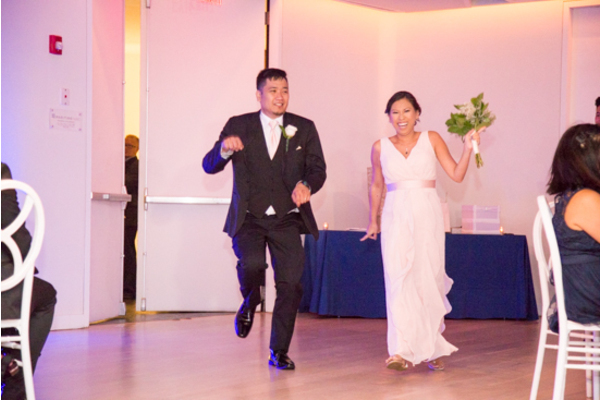 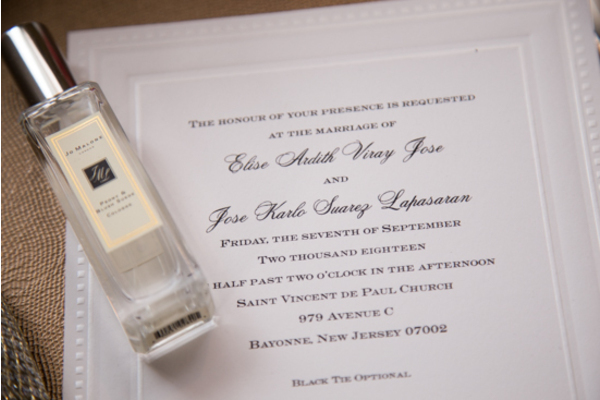 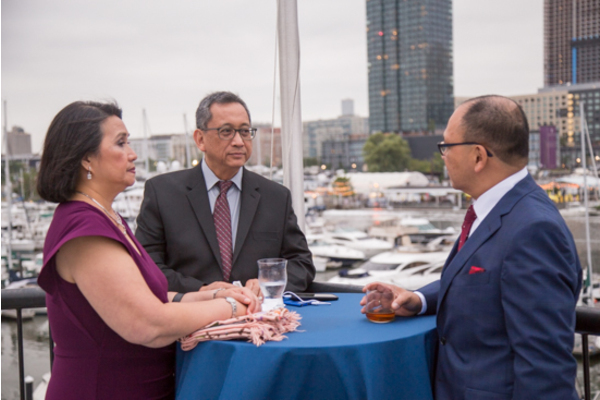 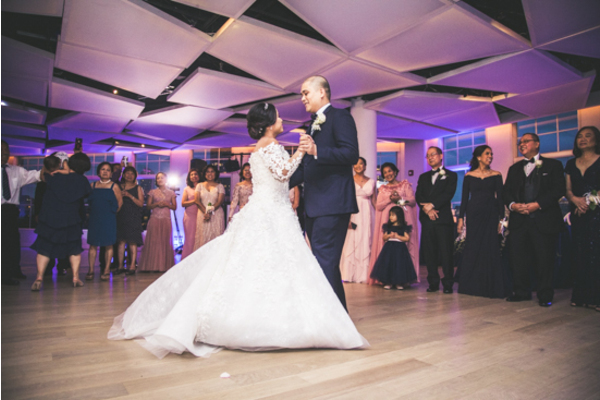 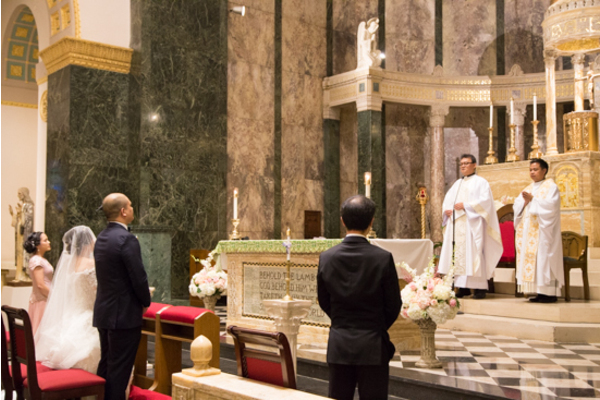 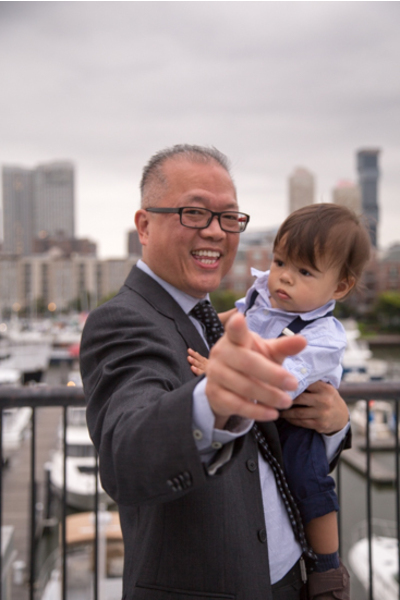 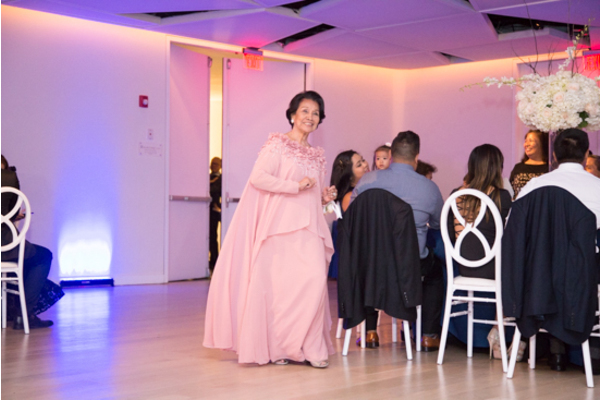 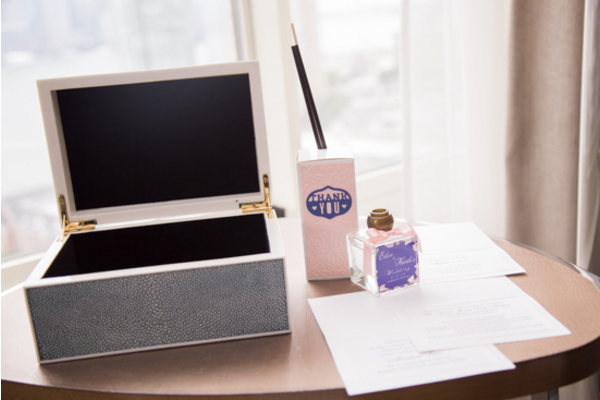 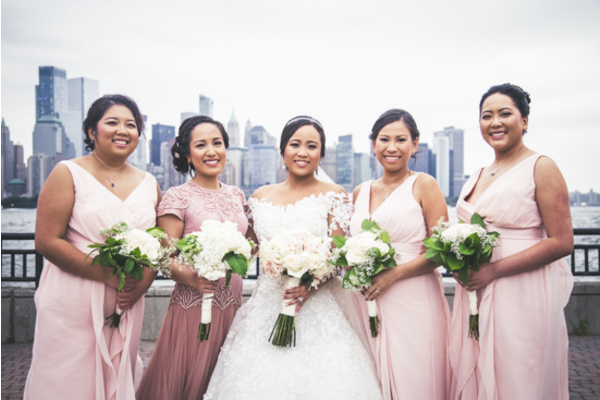 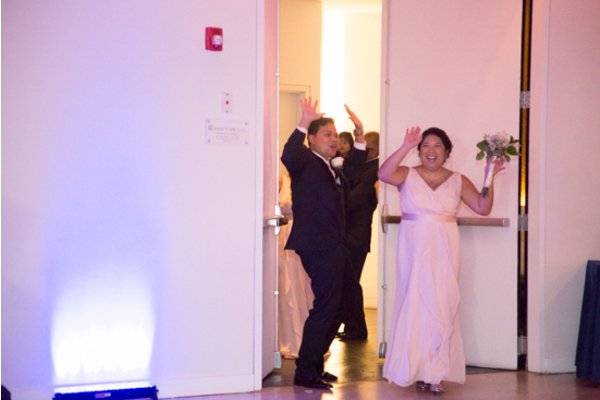 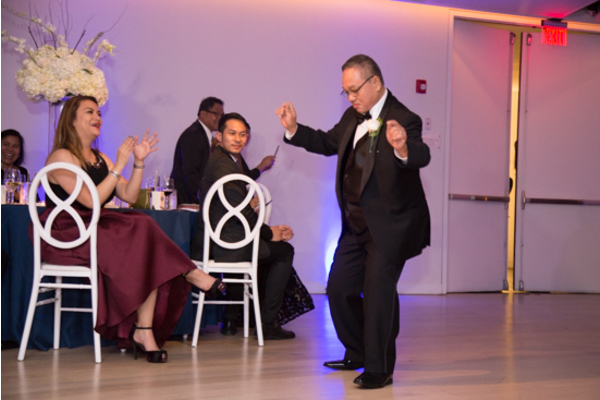 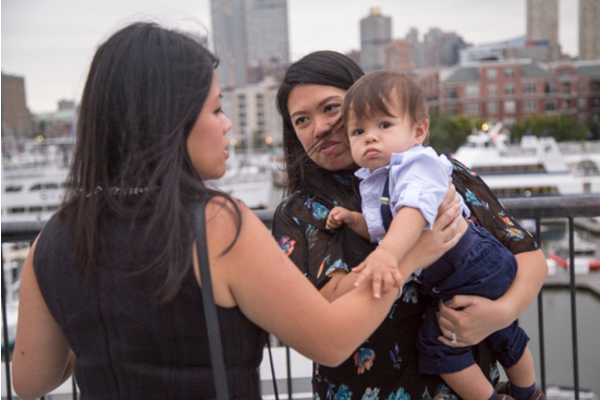 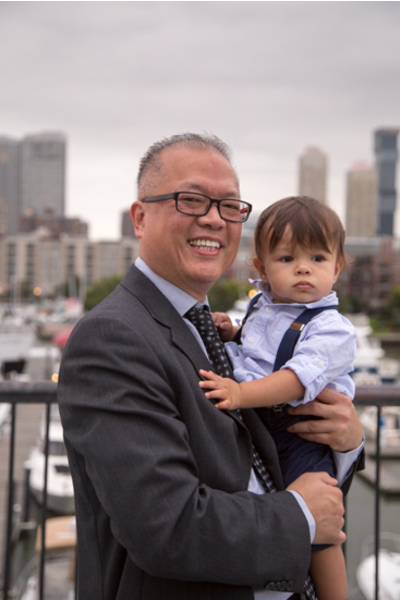 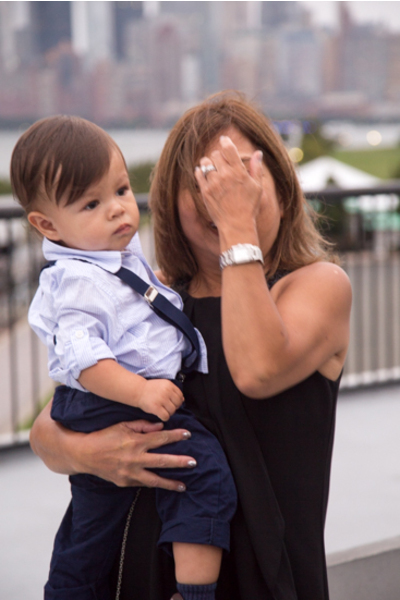 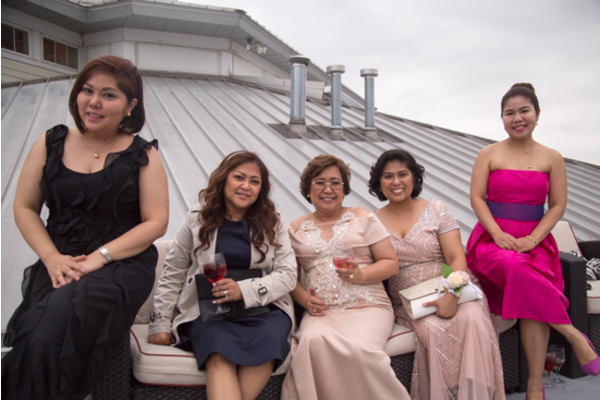 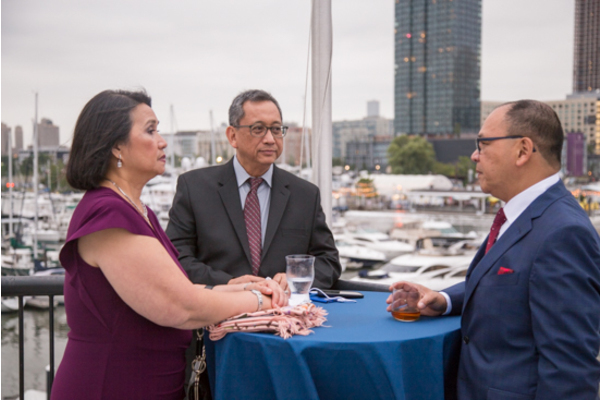 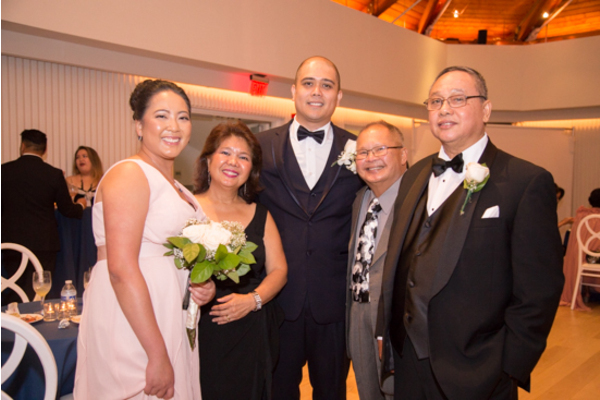 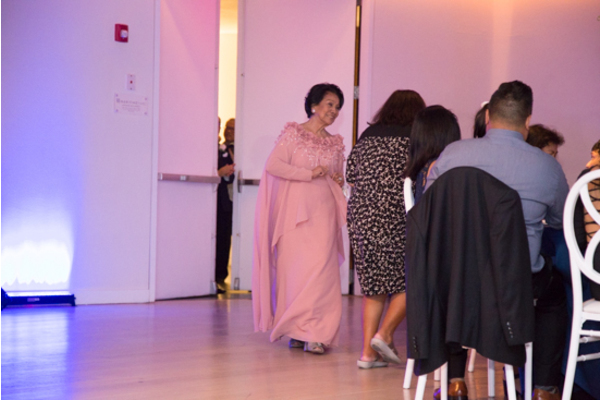 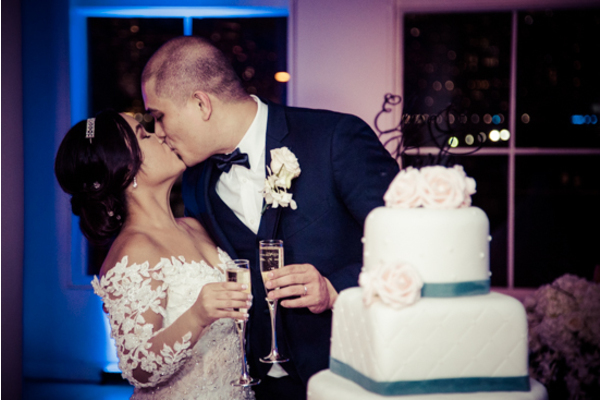 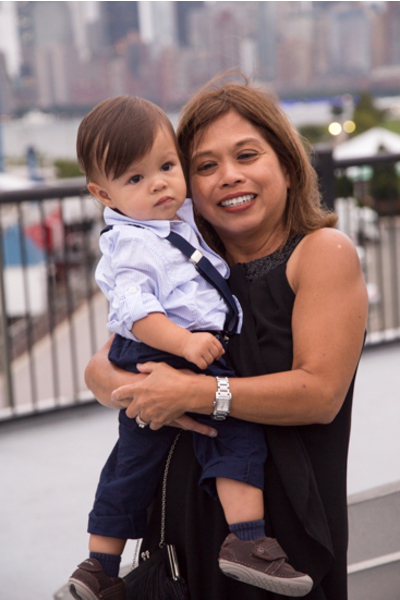 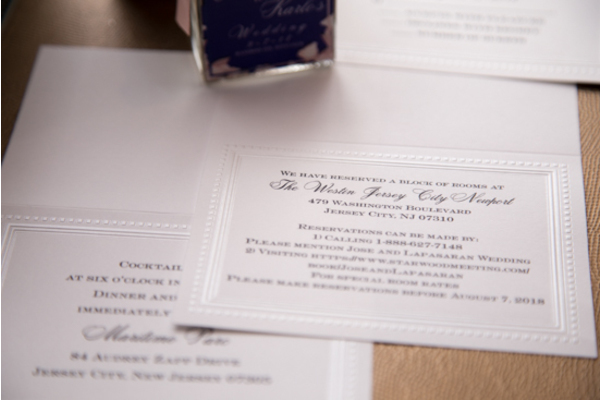 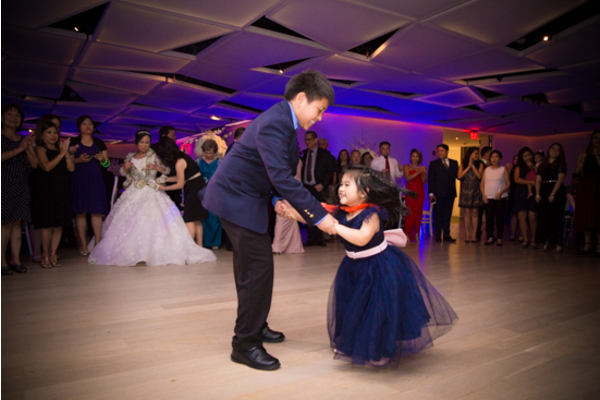 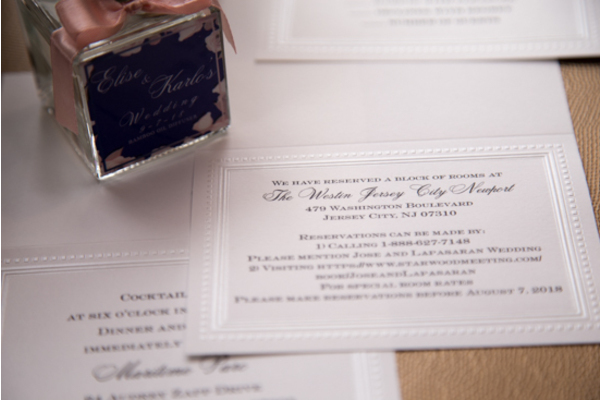 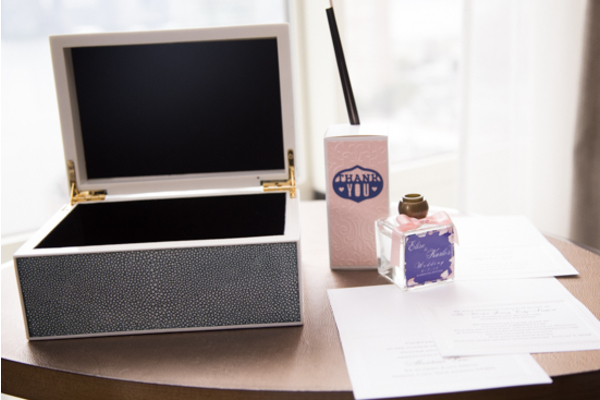 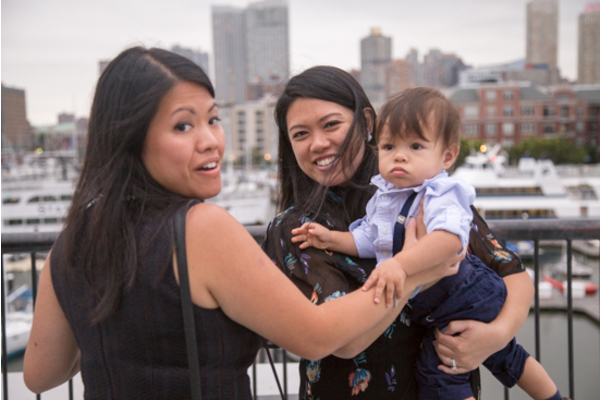 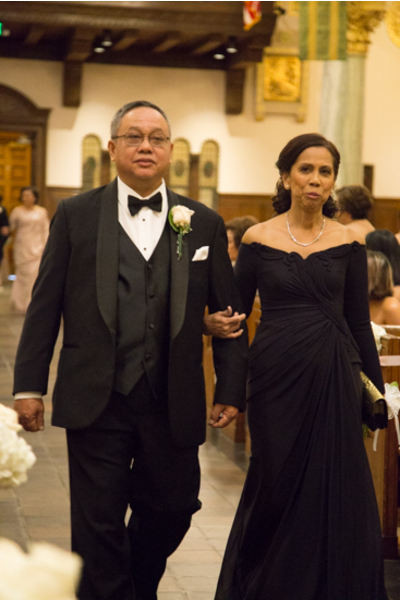 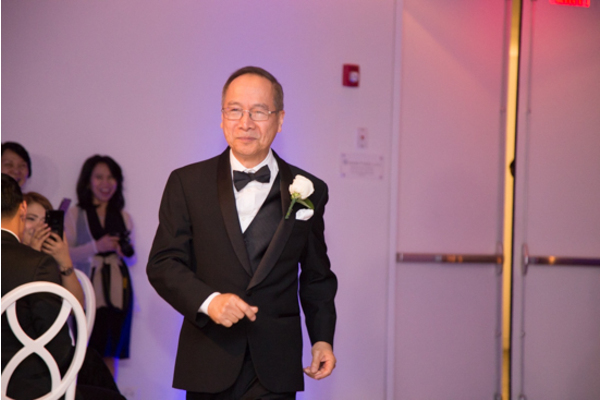 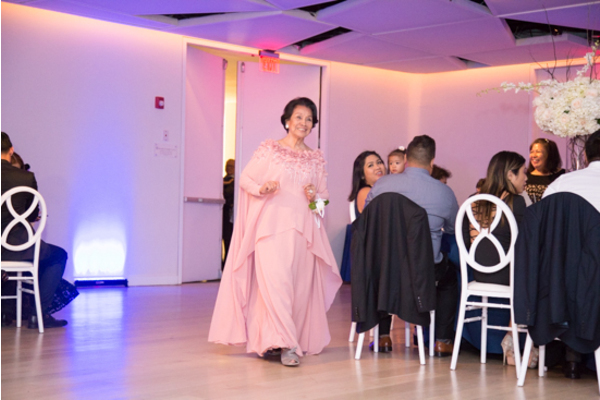 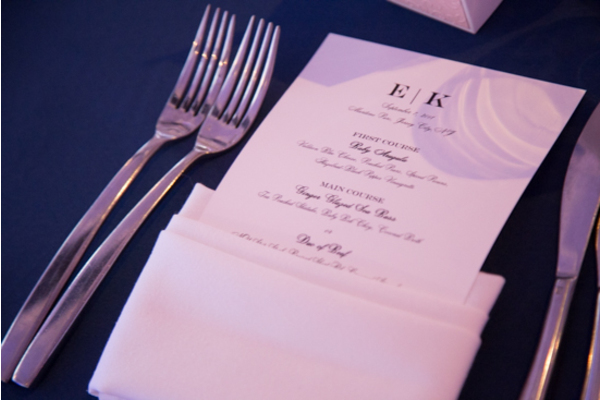 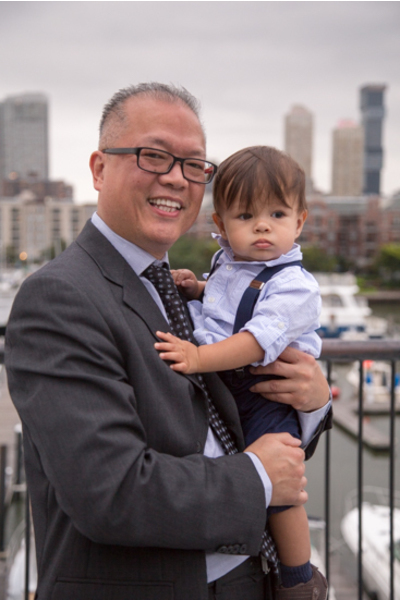 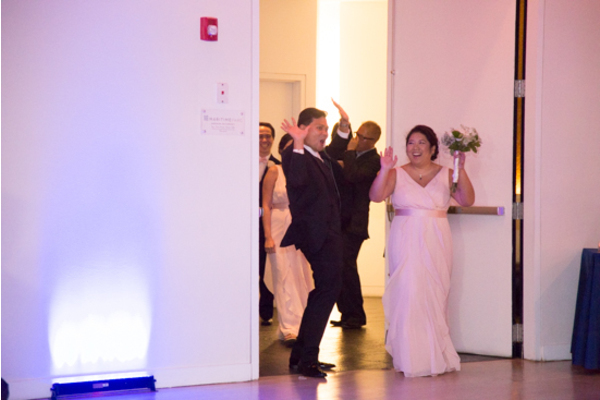 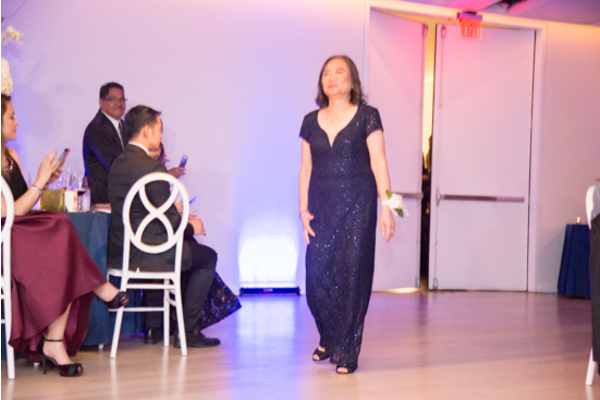 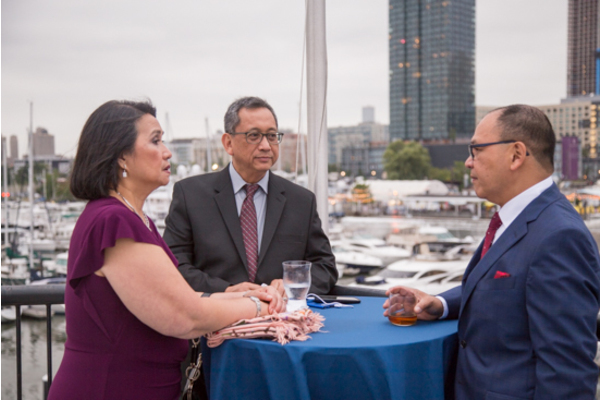 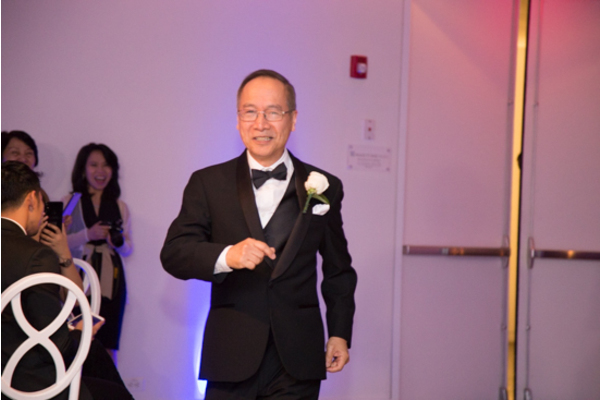 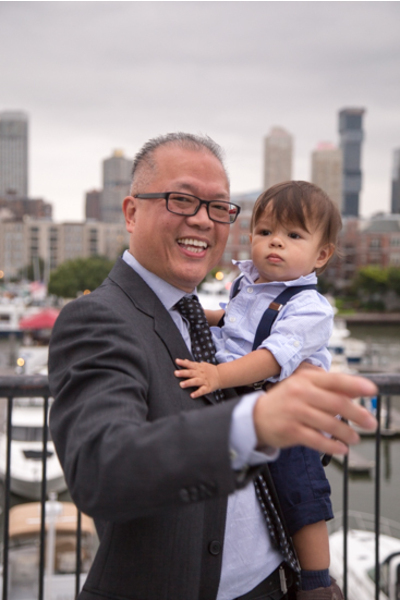 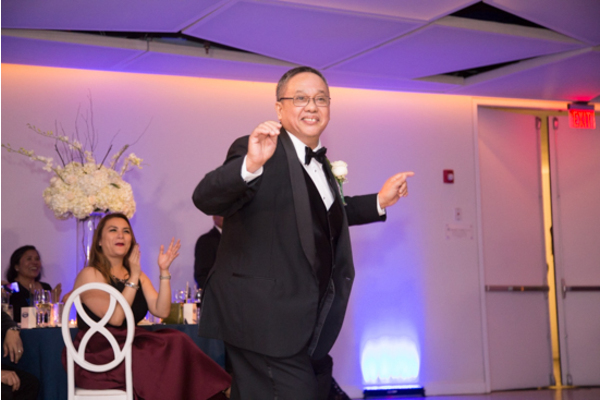 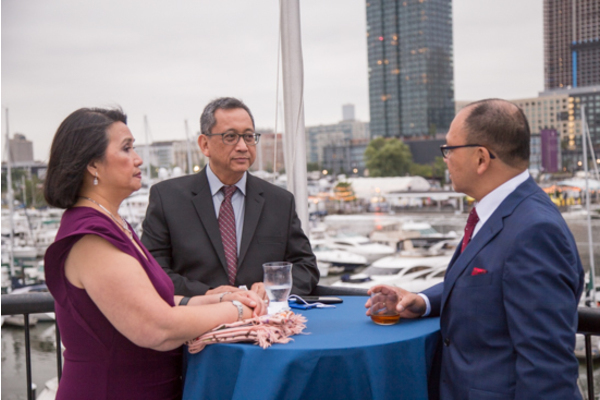 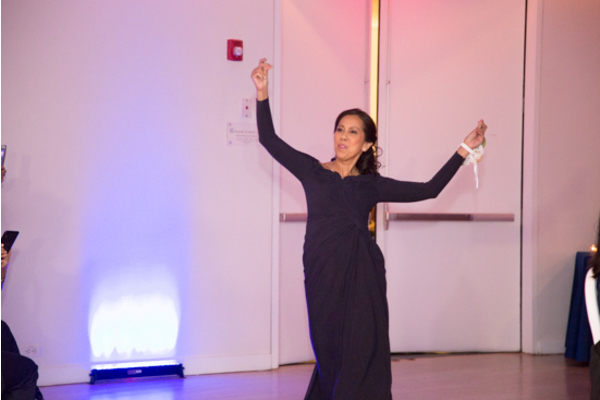 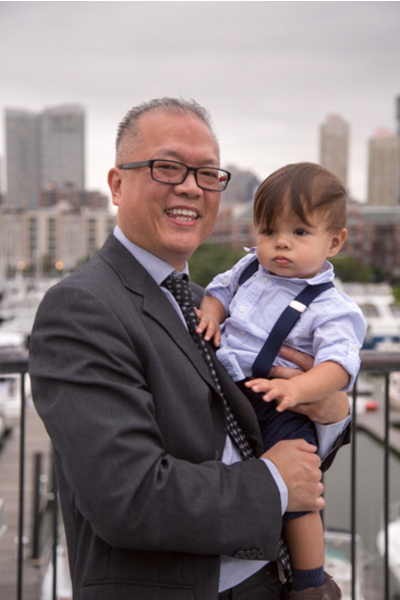 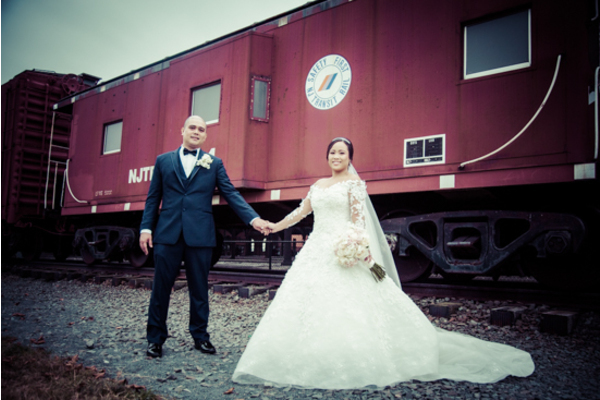 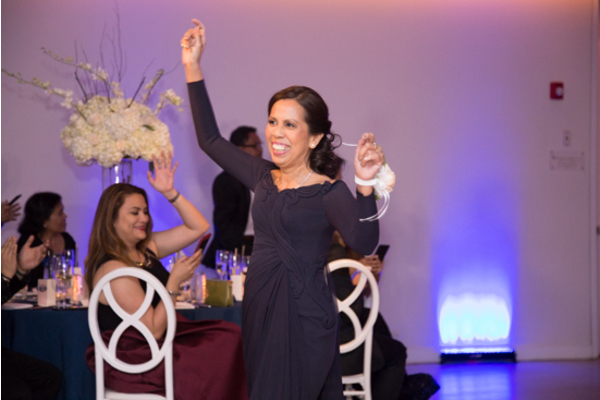 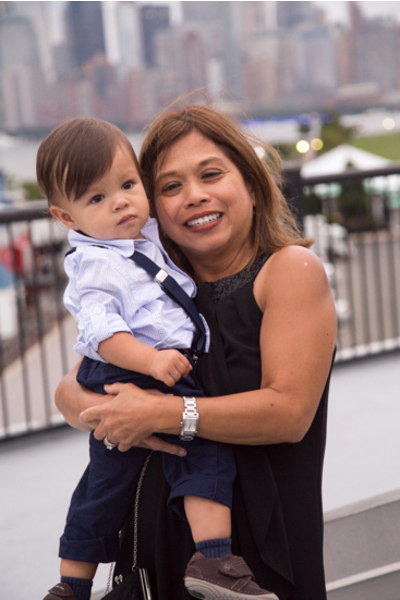 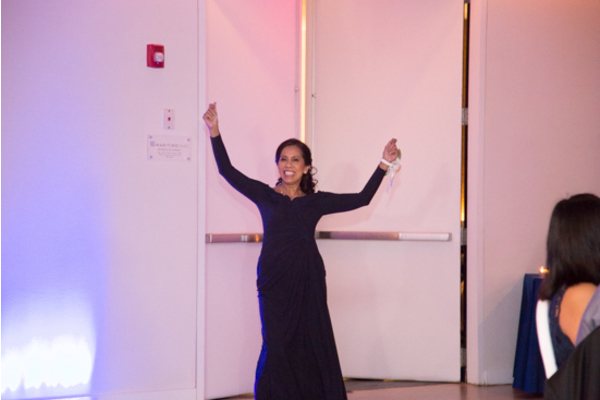 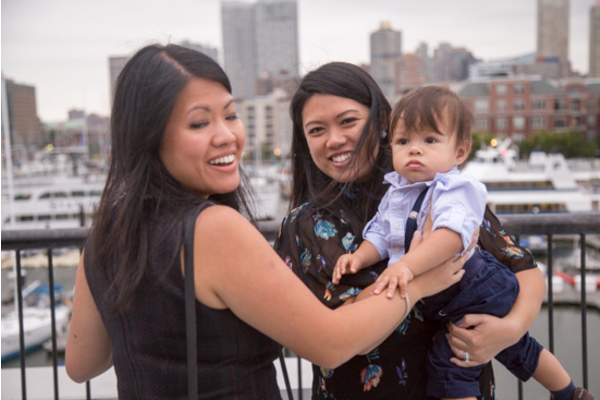 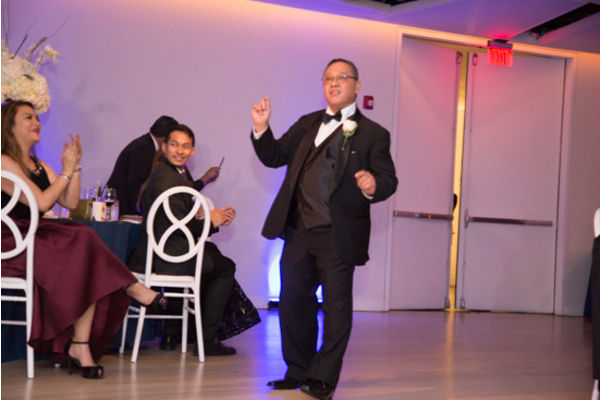 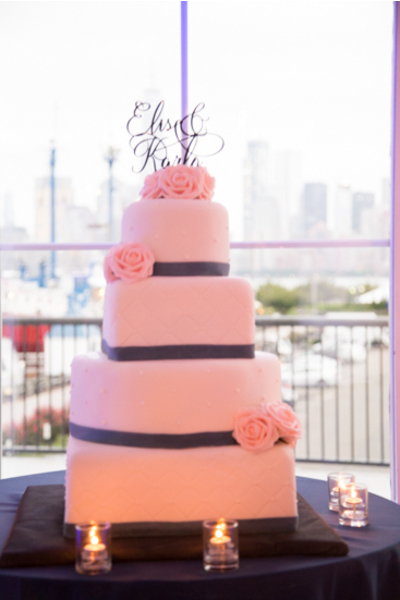 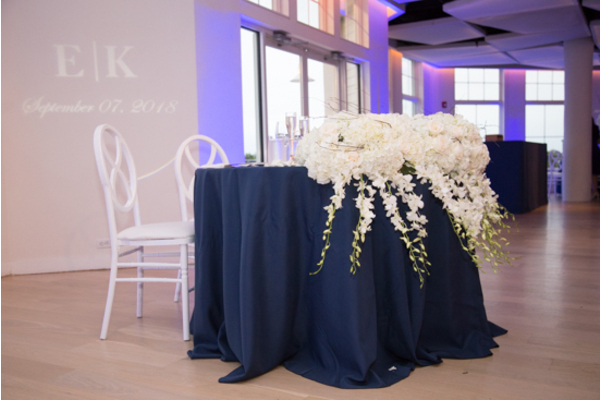 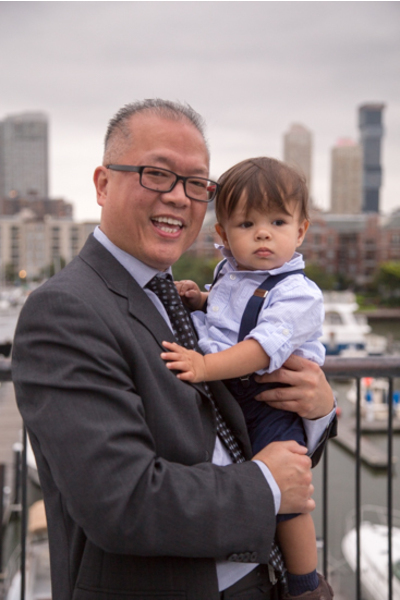 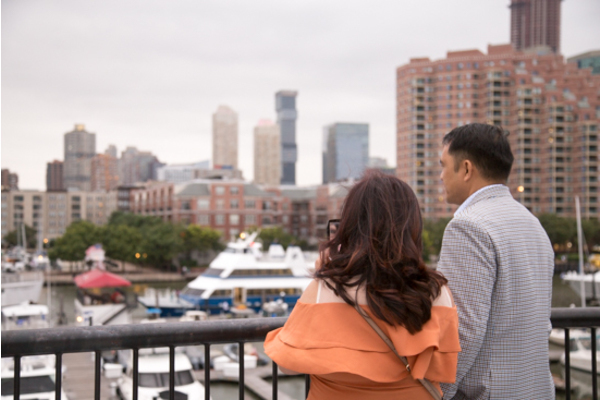 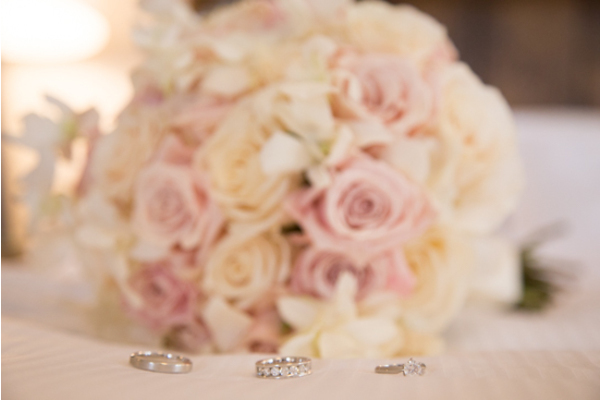 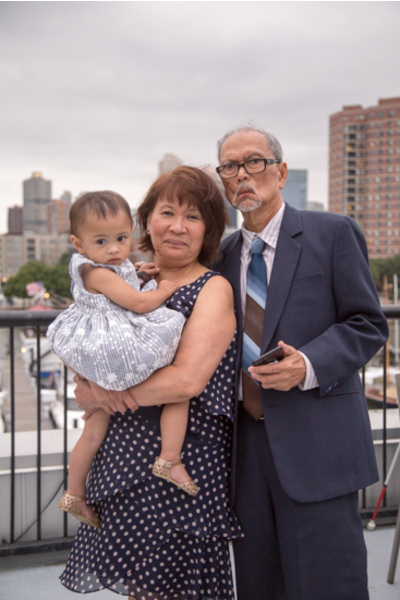 Their gorgeous celebration took place at Maritime Parc in Jersey City, New Jersey. 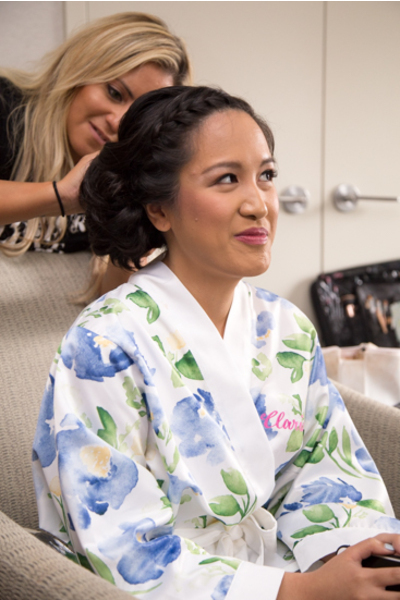 The bride spent her morning with her bridesmaids getting her make up done, and being showered with love. 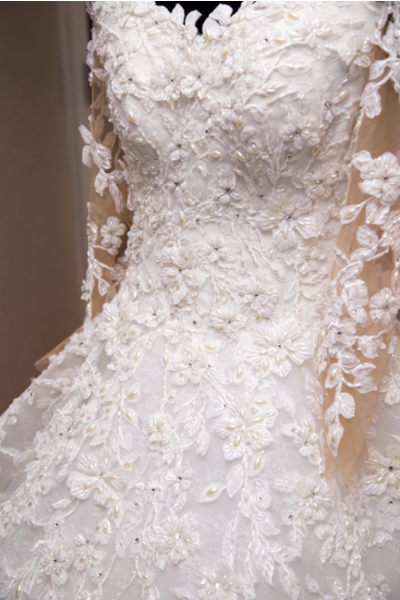 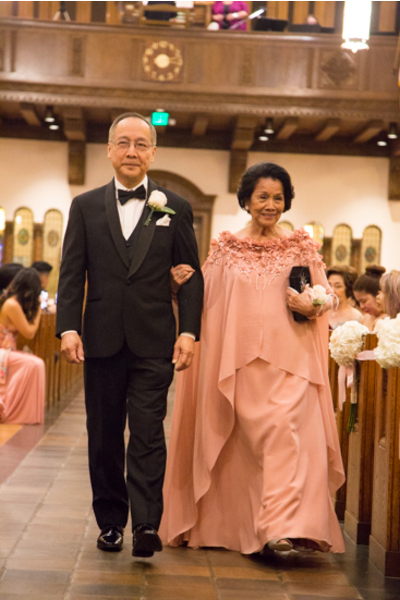 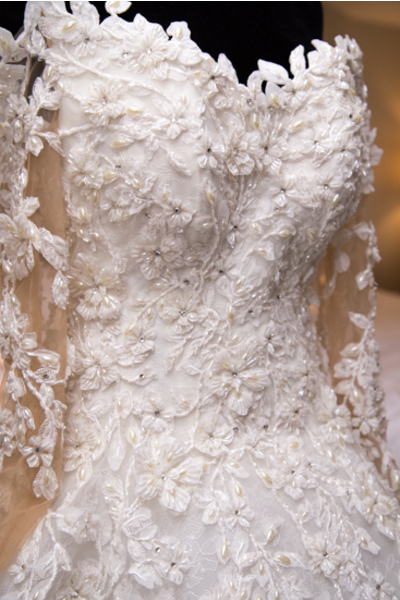 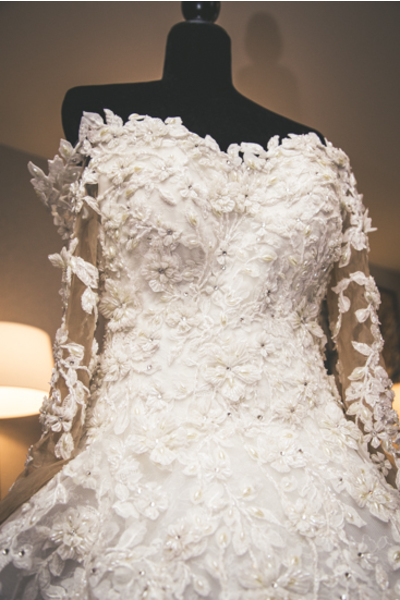 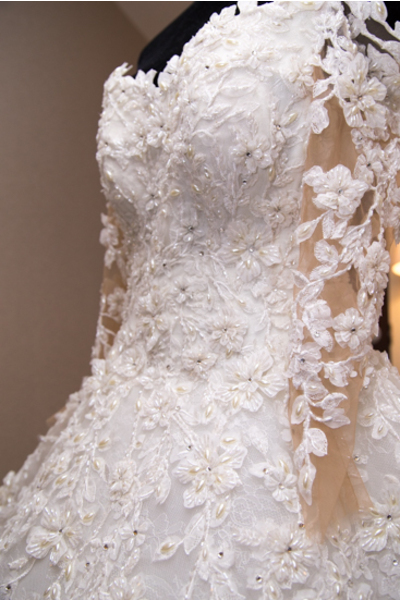 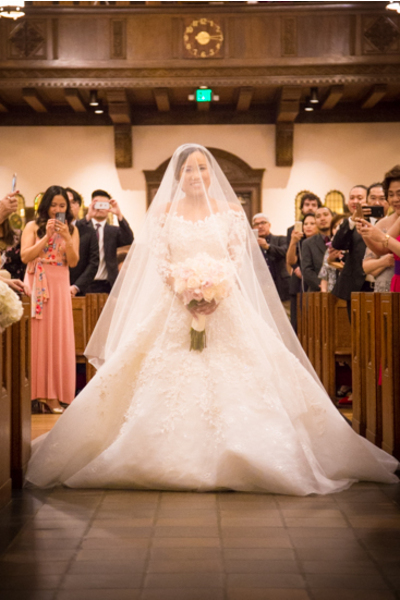 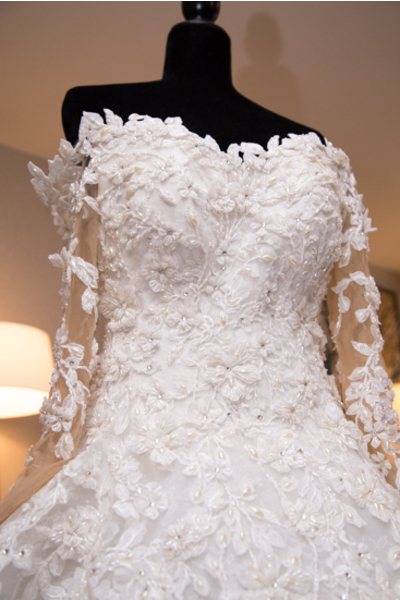 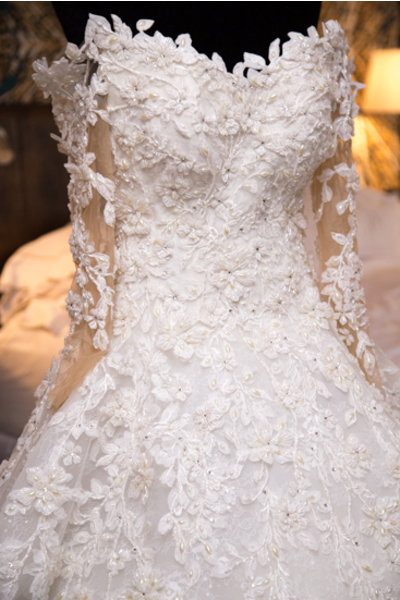 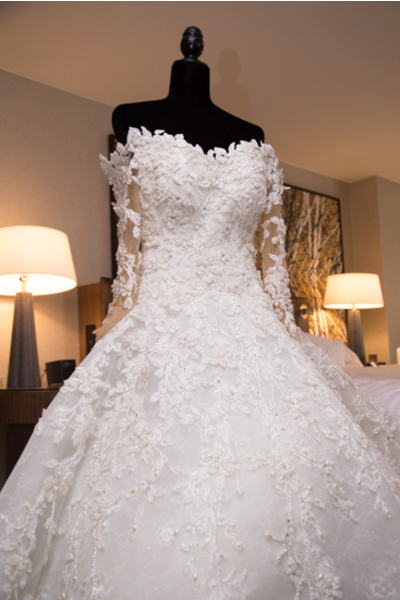 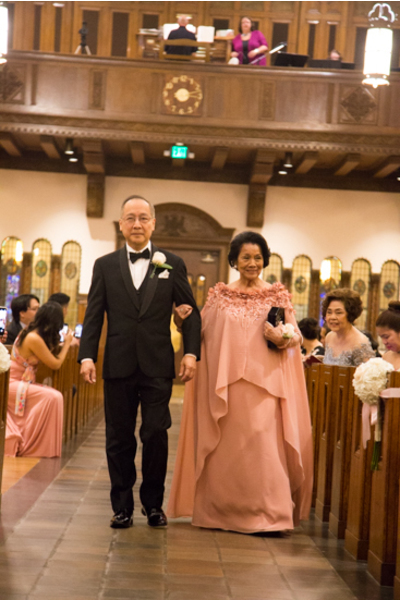 She couldn’t wait to put on her absolutely stunning, long sleeve, beaded wedding gown. 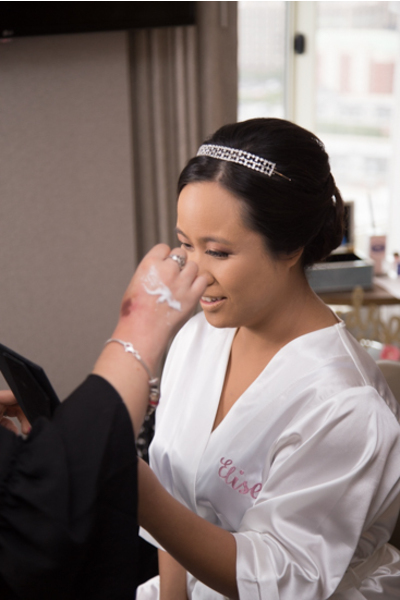 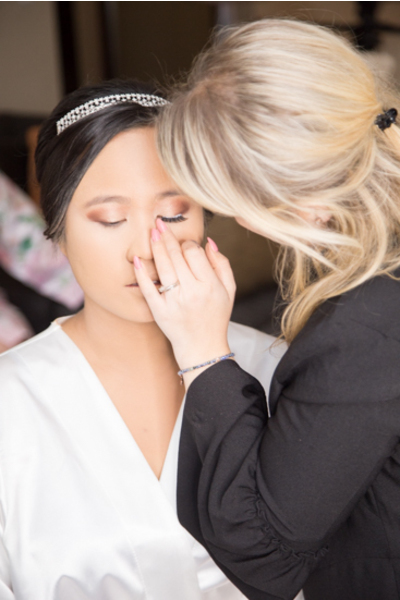 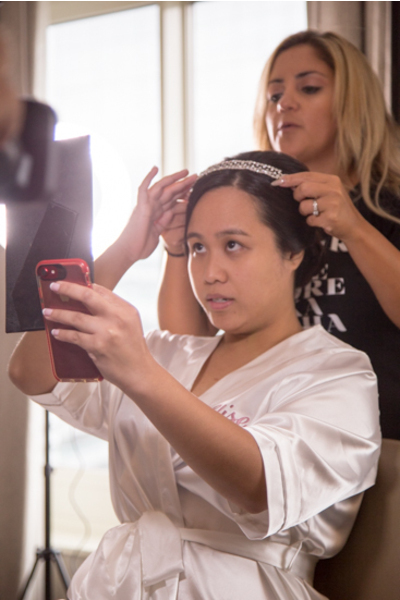 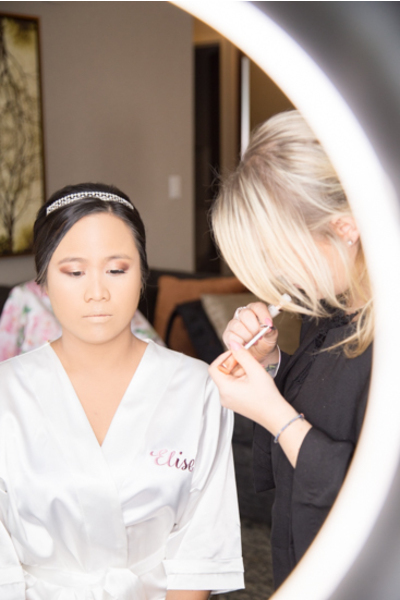 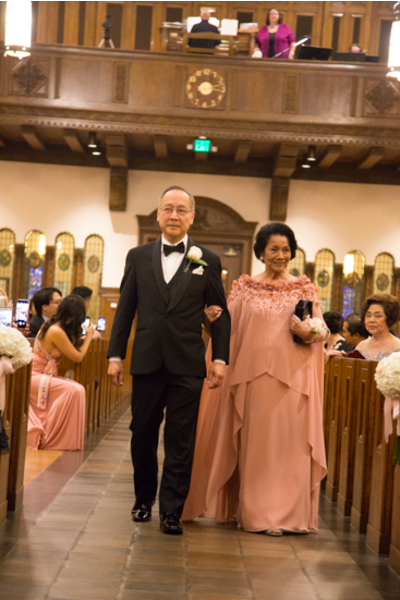 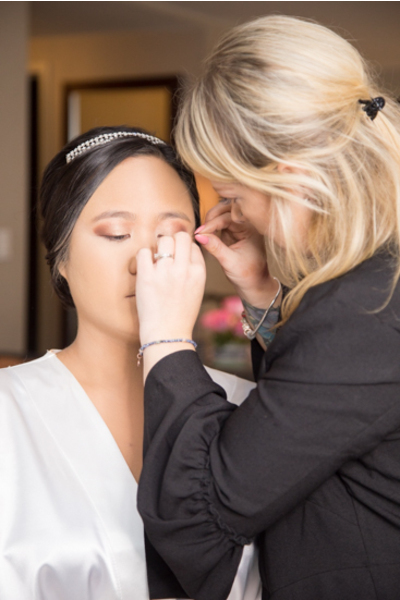 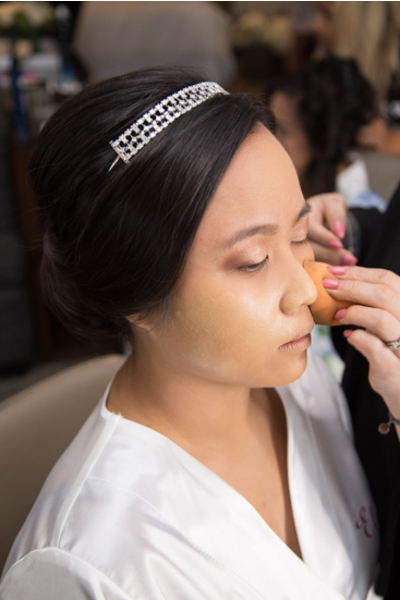 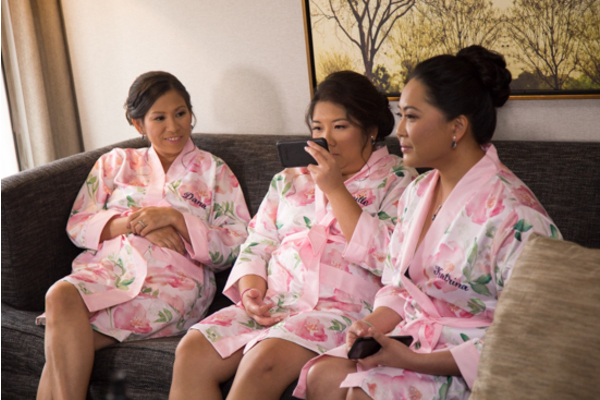 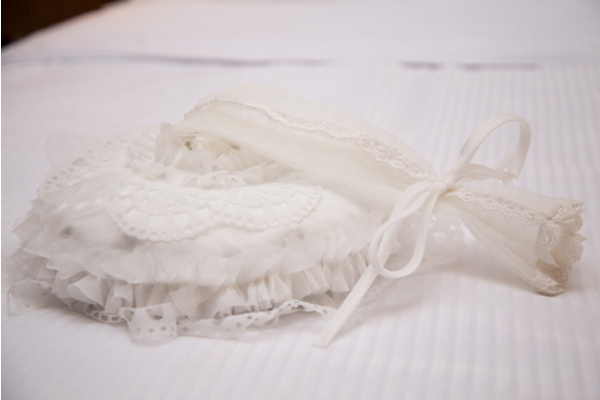 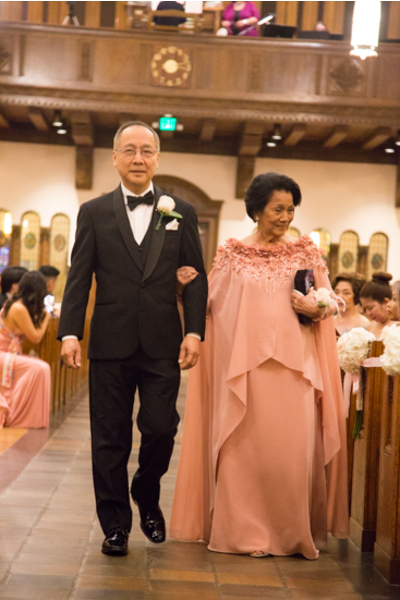 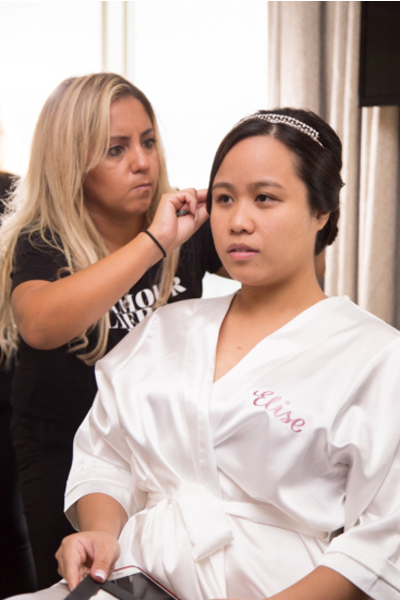 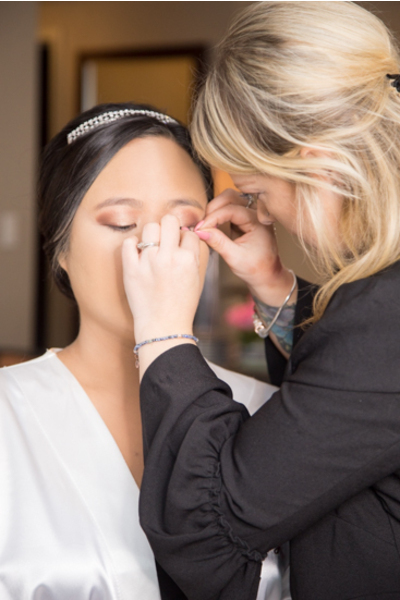 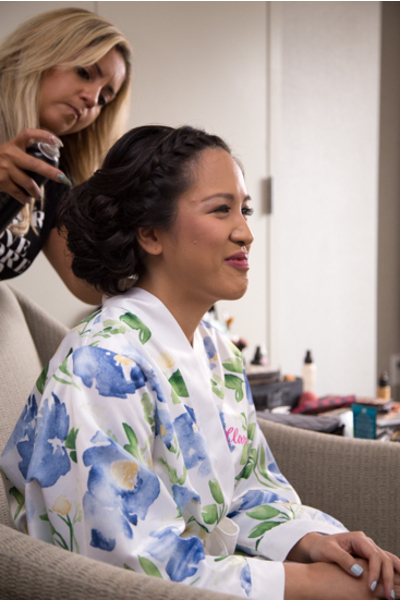 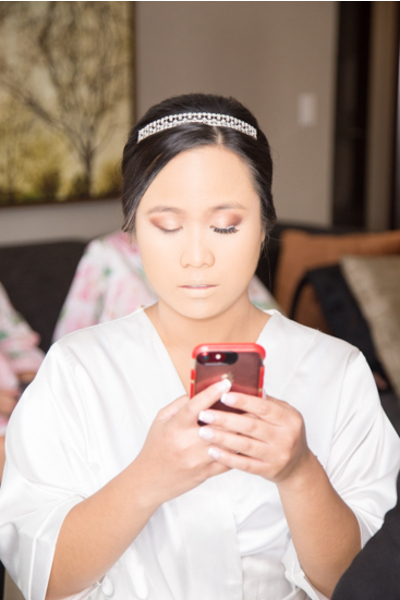 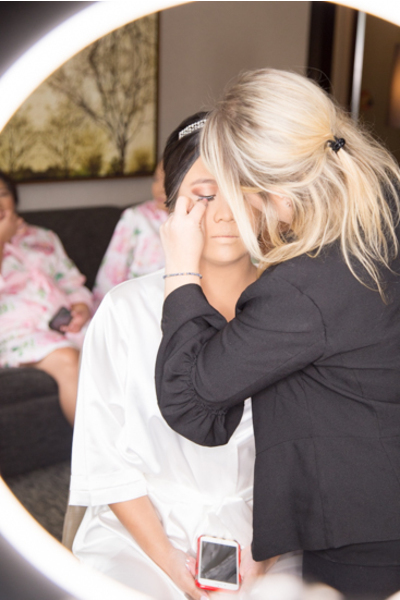 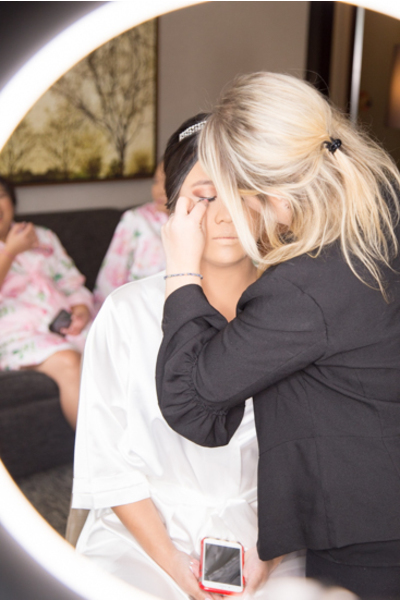 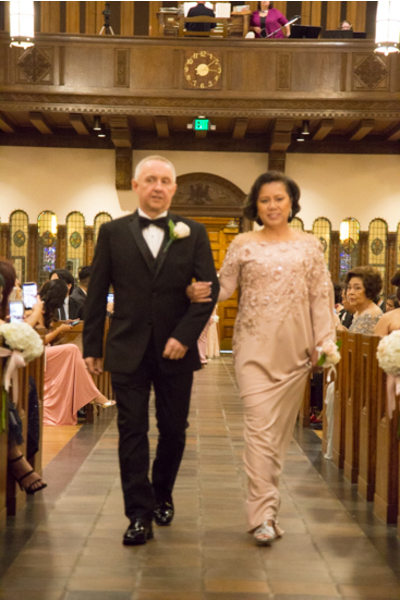 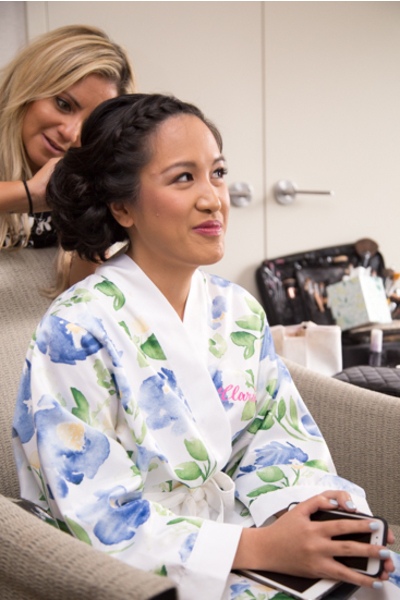 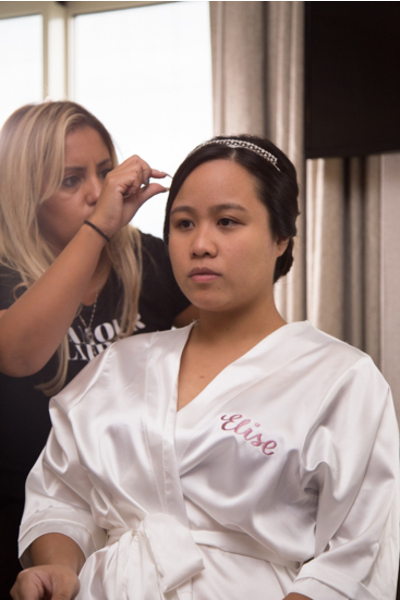 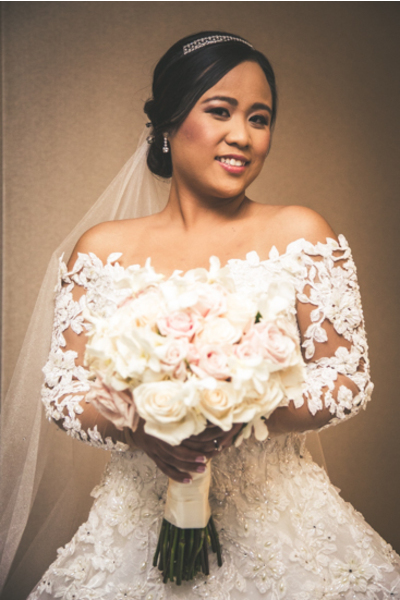 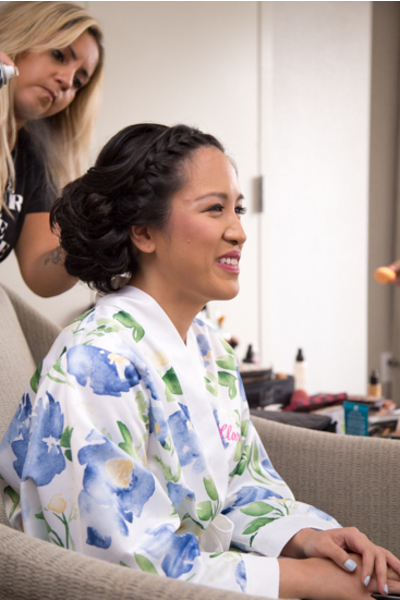 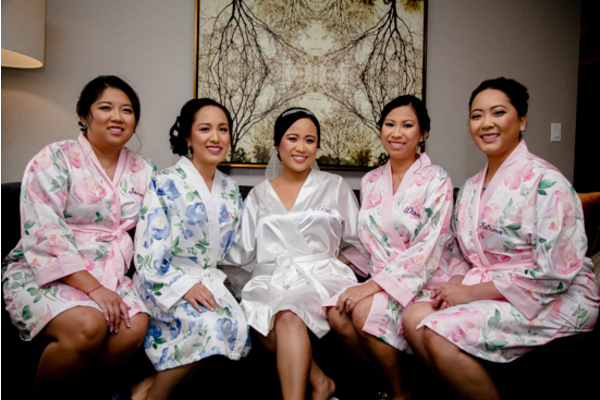 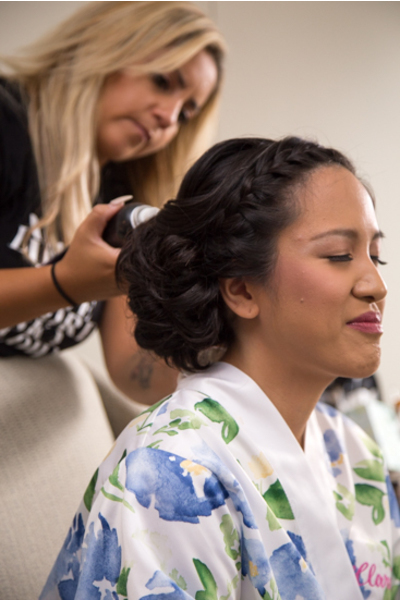 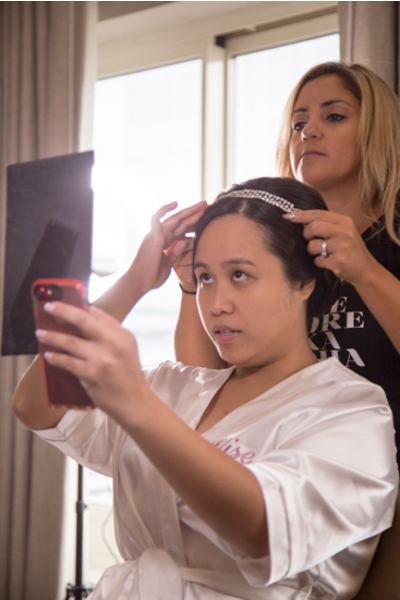 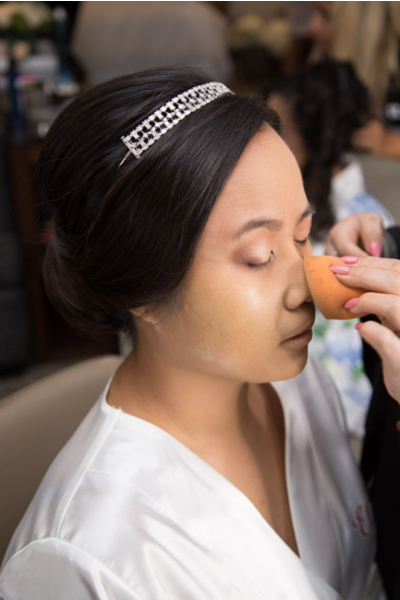 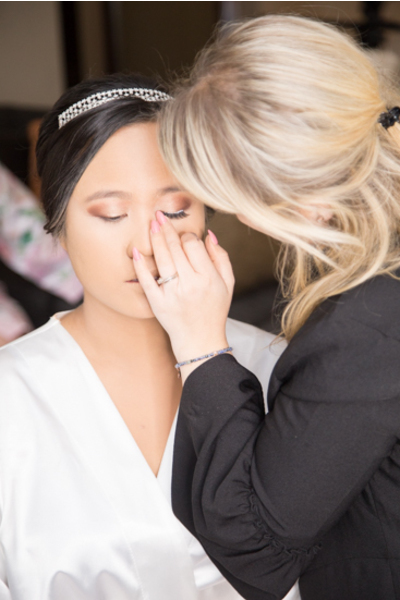 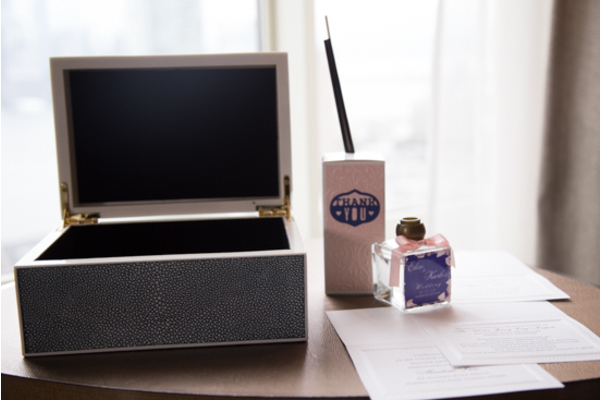 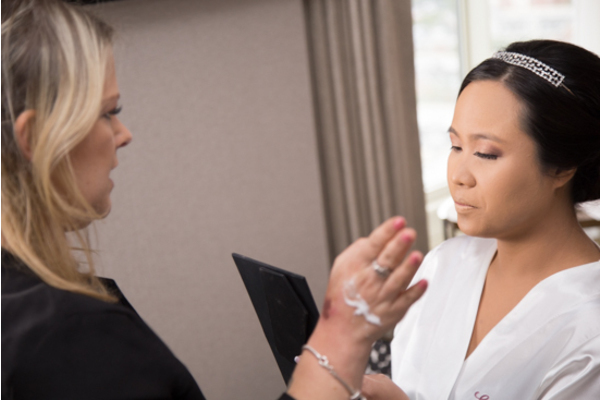 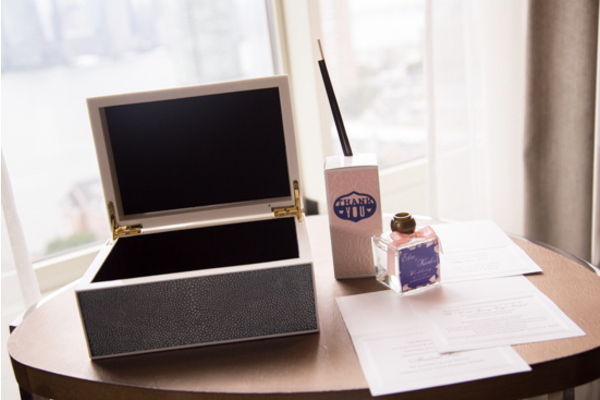 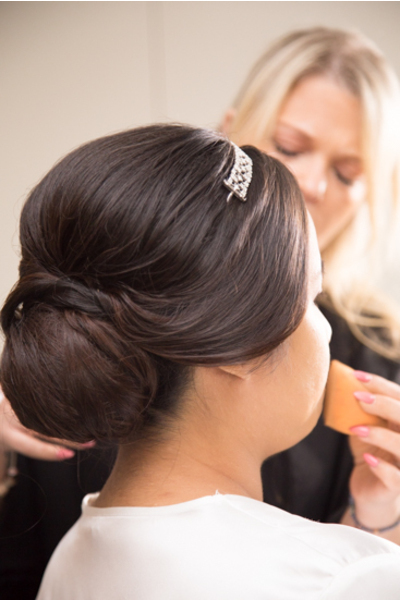 When it was time to go from white silk robe to white dream dress, her loved ones were all there to help with the finishing touches to complete her look. 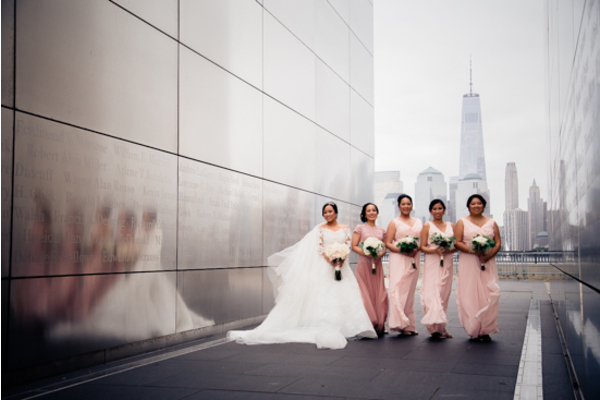 Our NJ Wedding Photographer captured the bride on the steps along side her girls in pink. 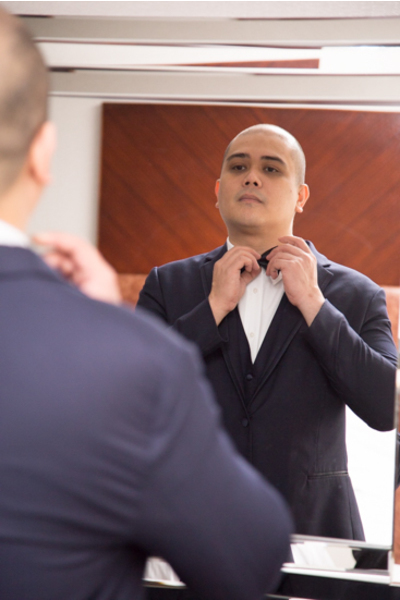 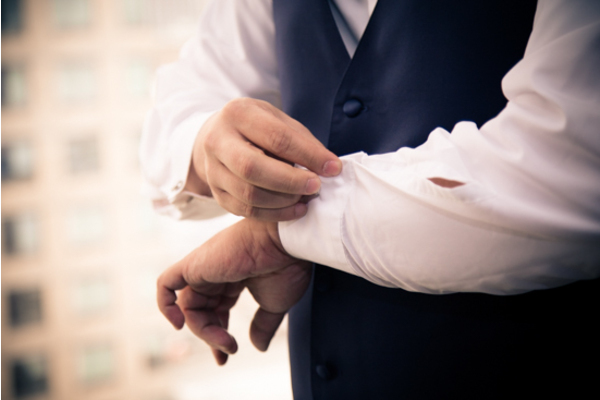 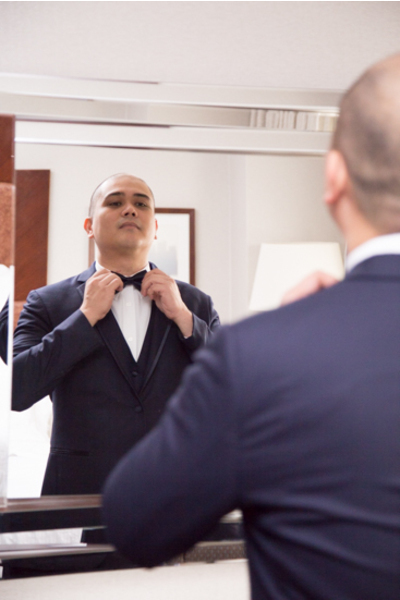 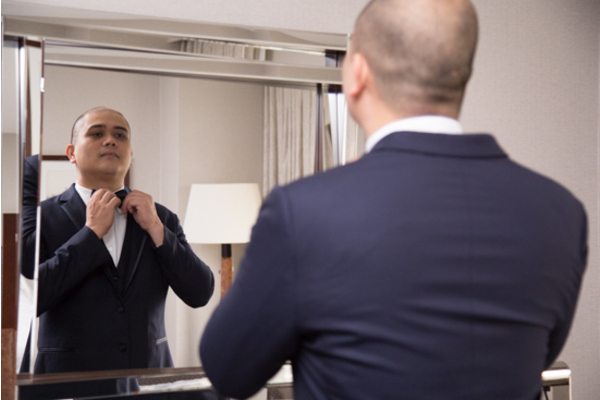 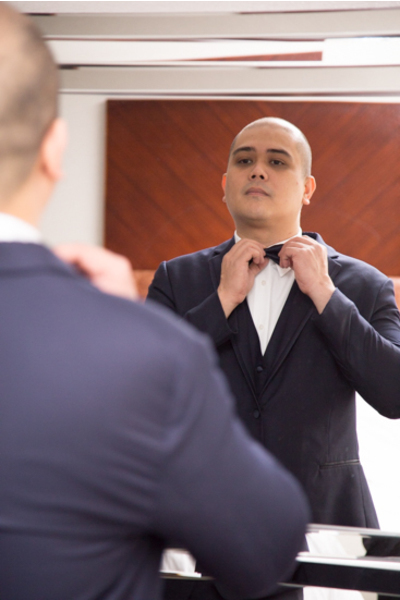 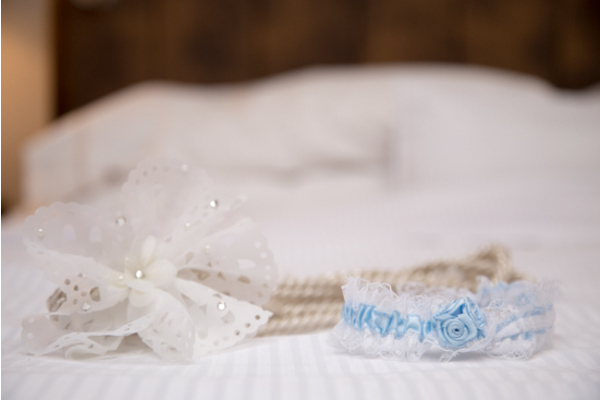 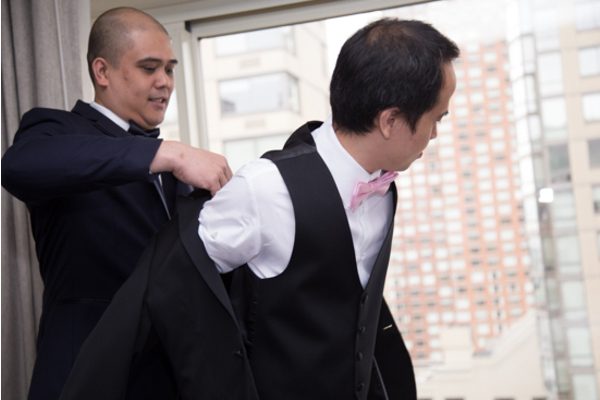 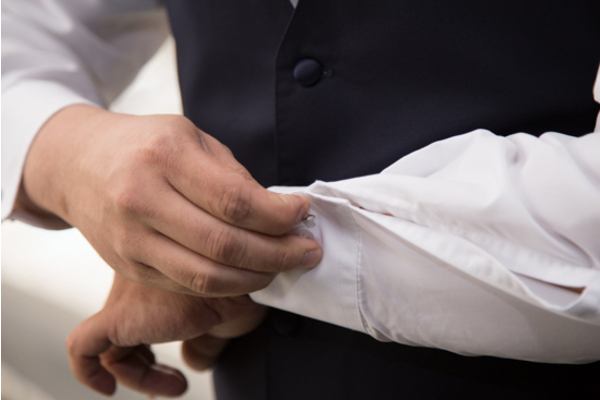 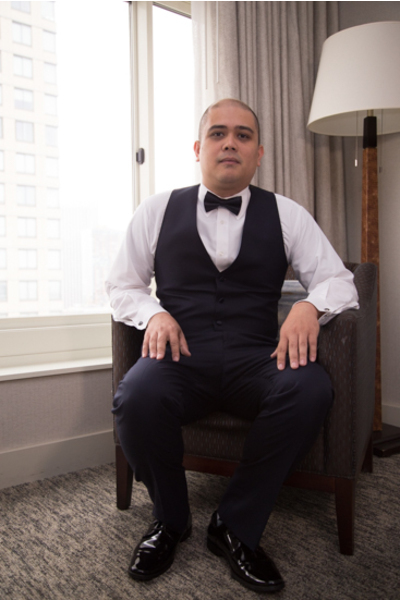 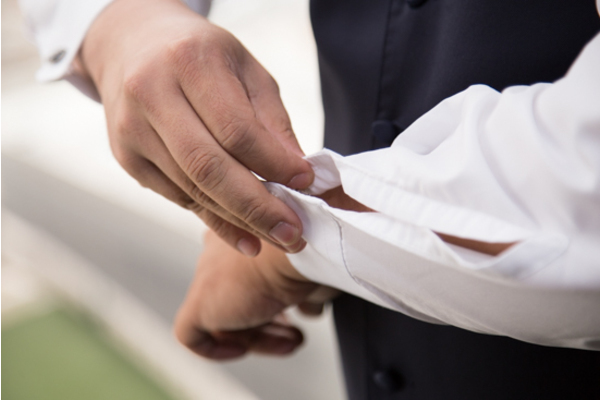 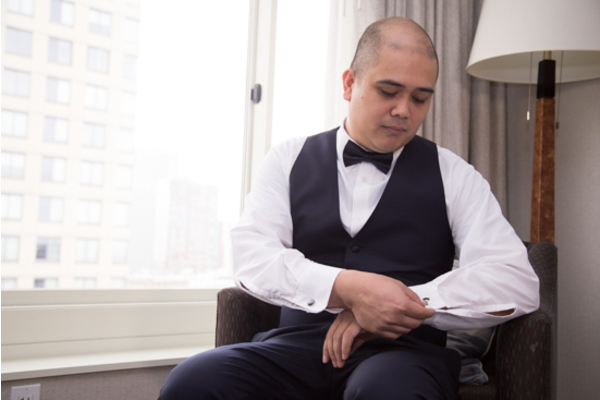 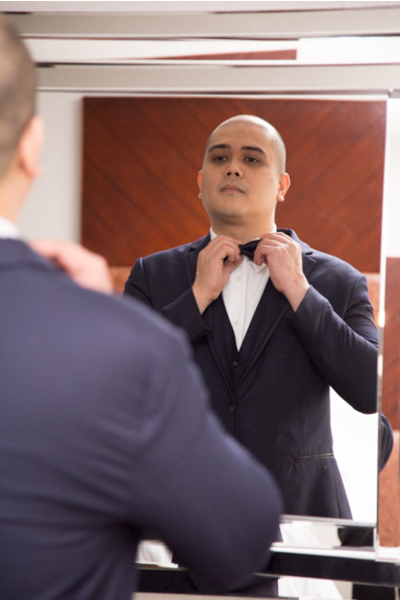 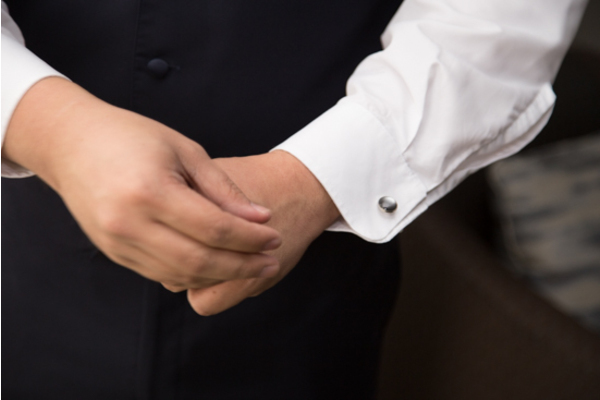 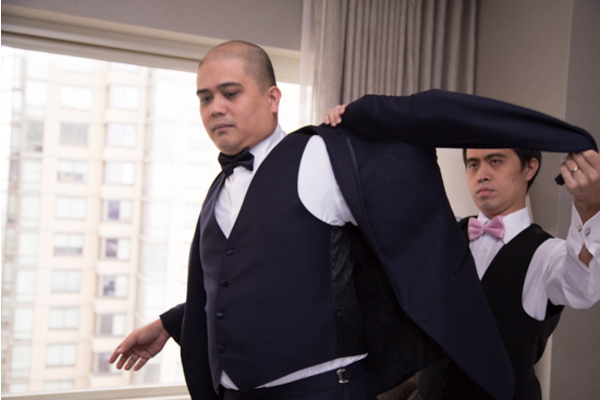 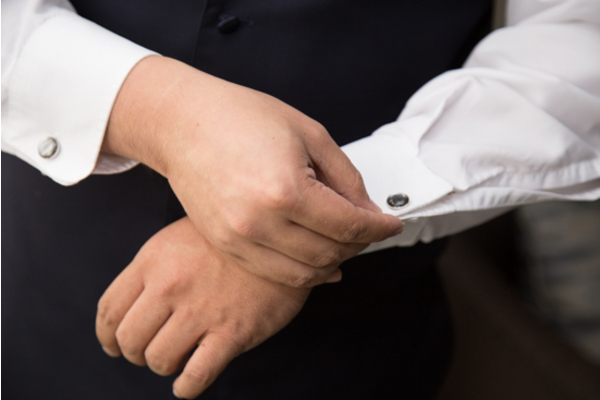 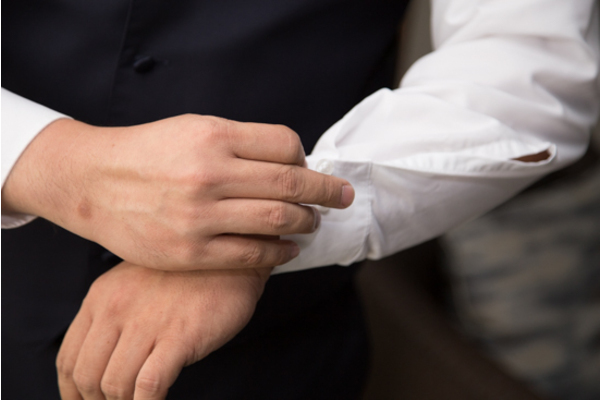 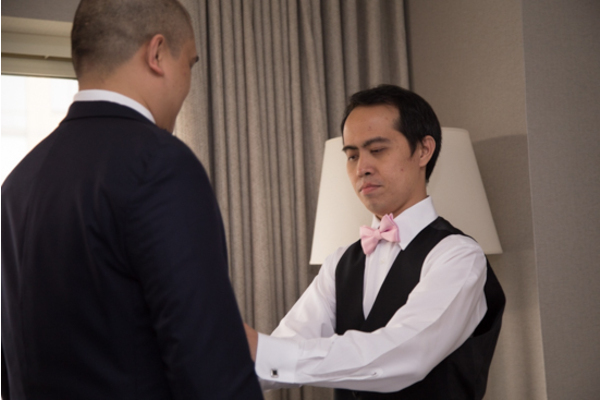 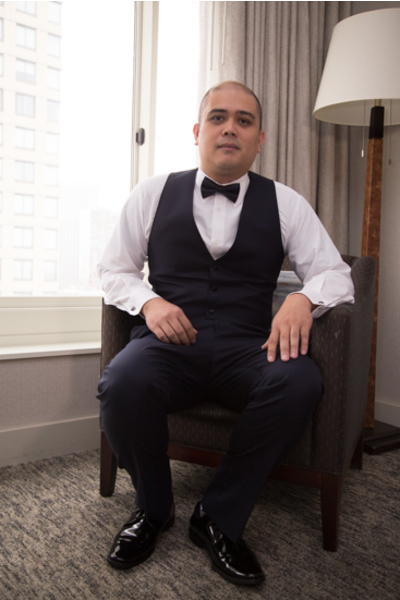 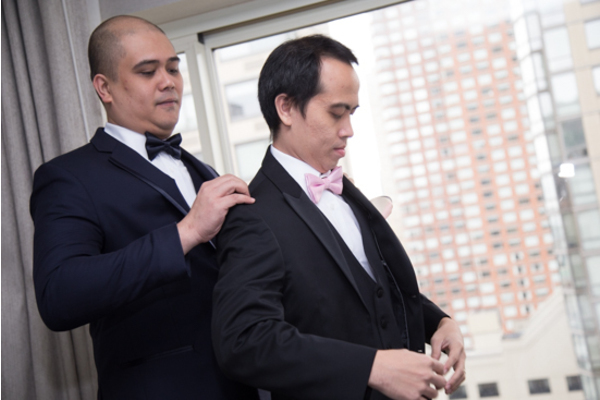 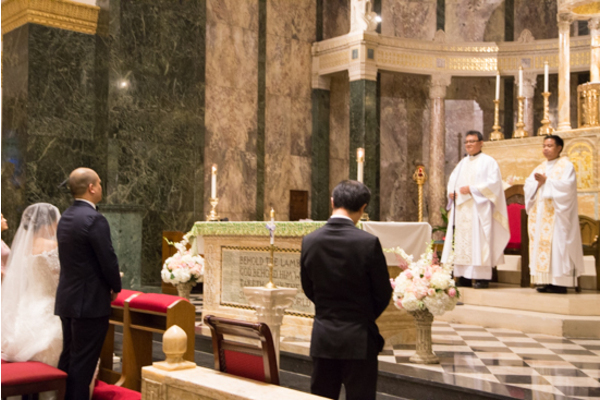 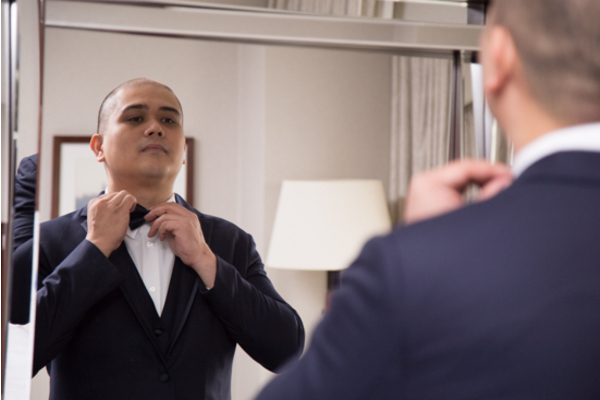 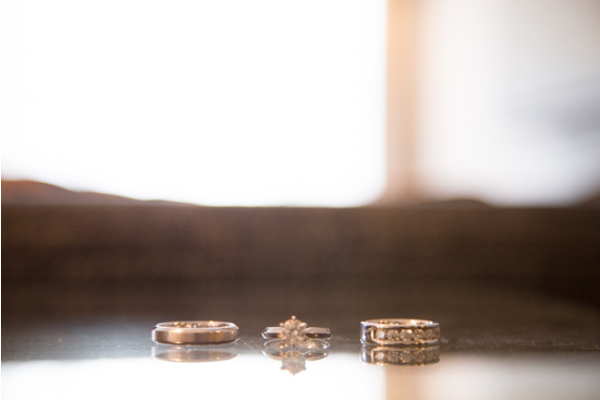 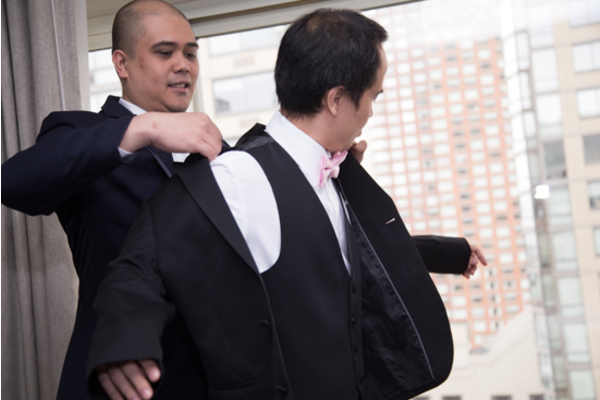 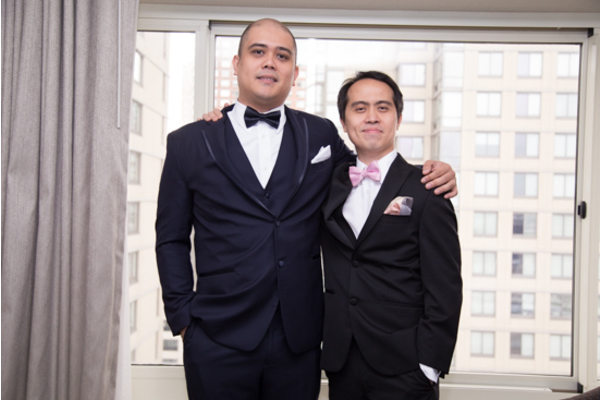 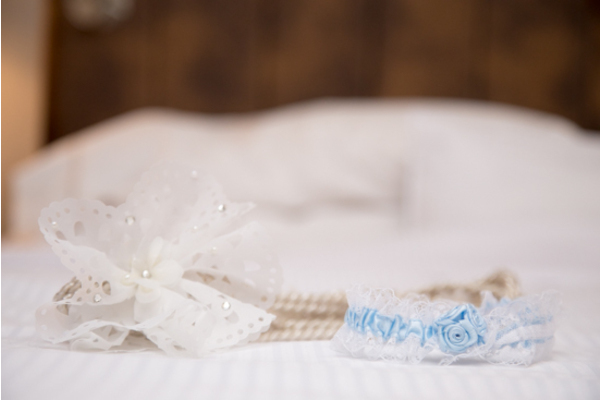 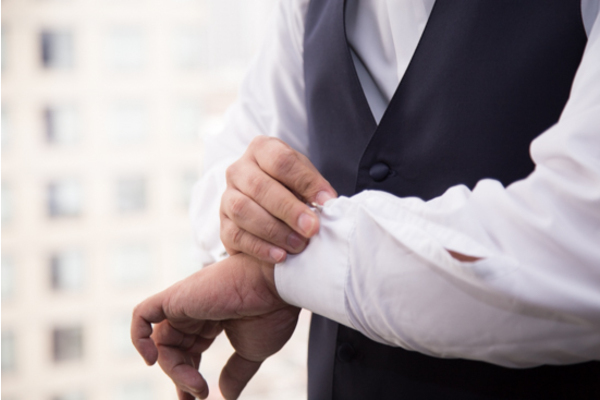 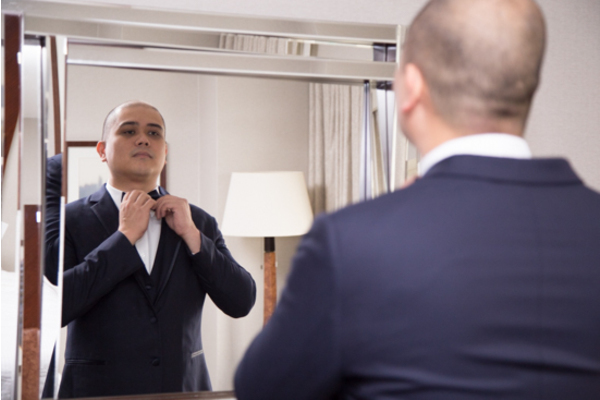 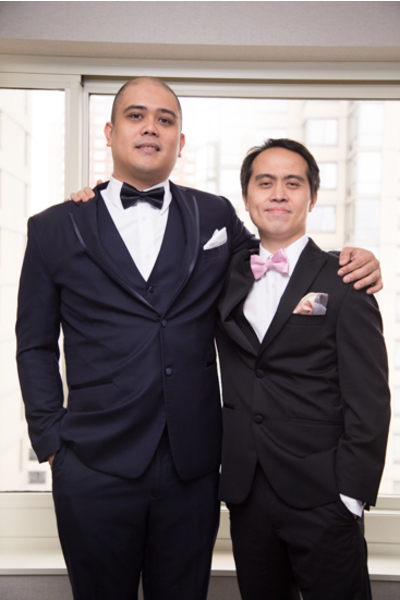 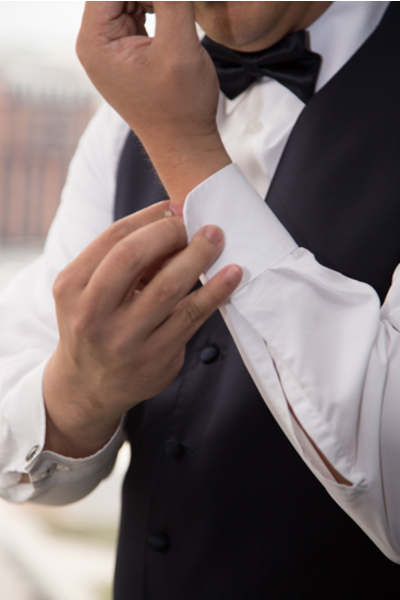 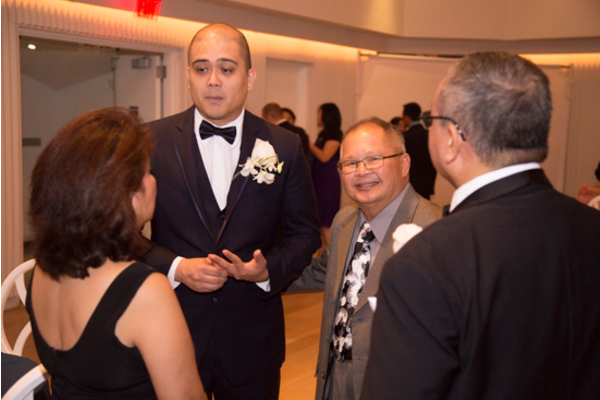 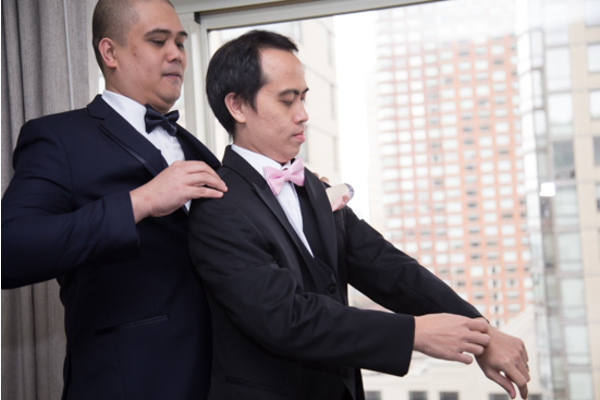 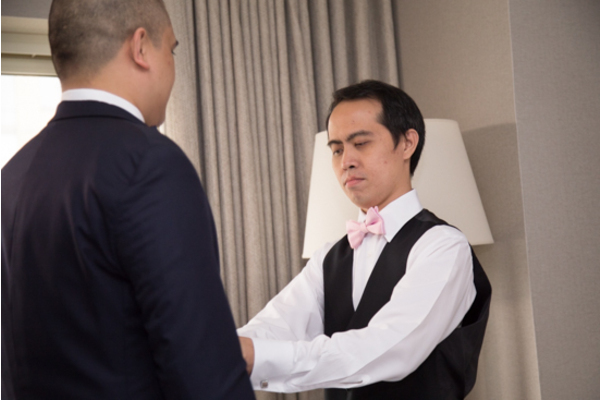 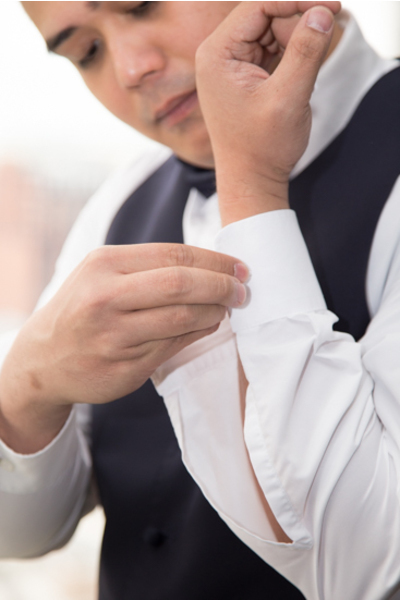 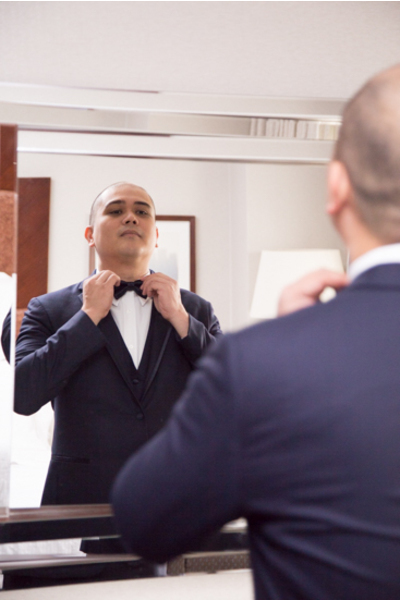 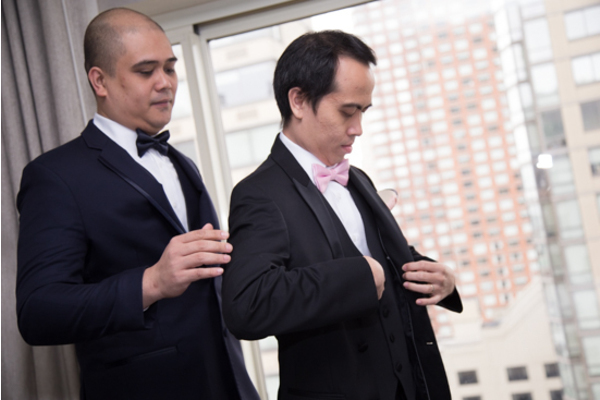 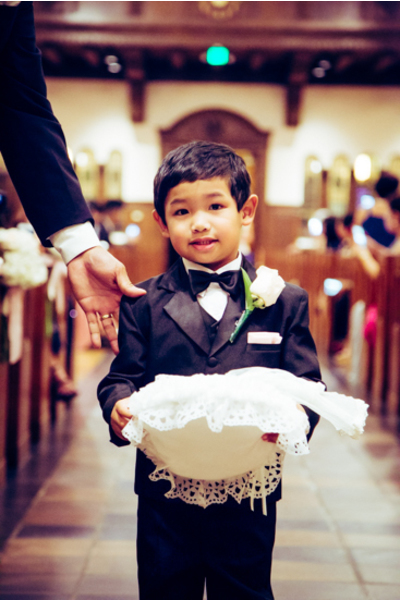 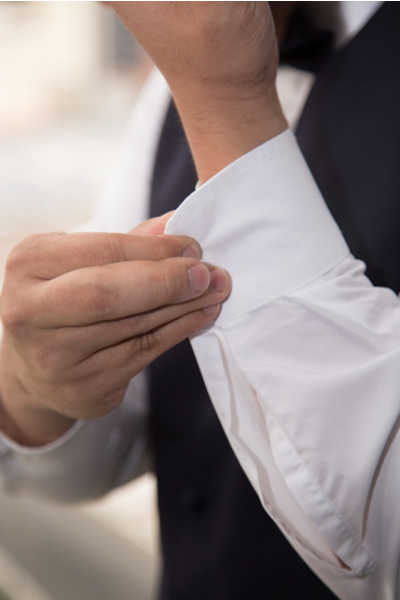 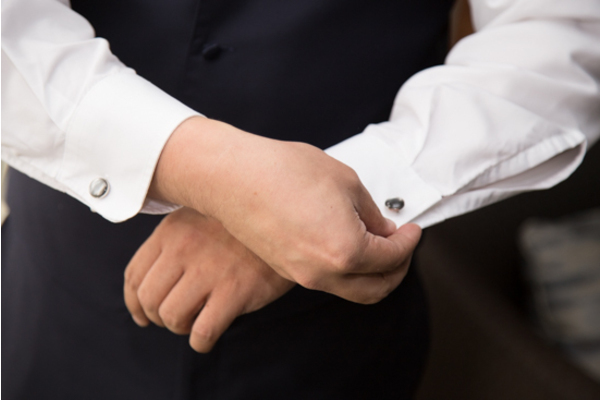 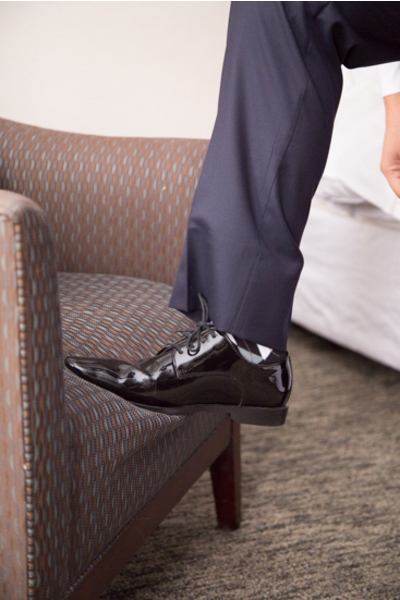 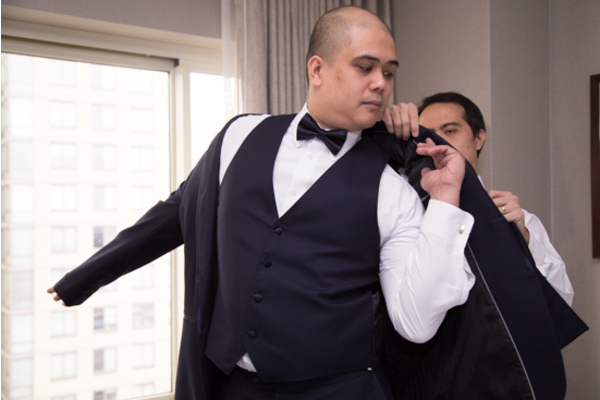 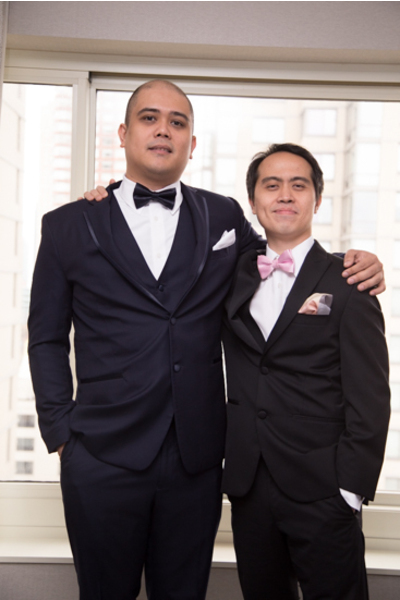 Nearby, the groom was fastening his cuff links and straightening his bow tie. 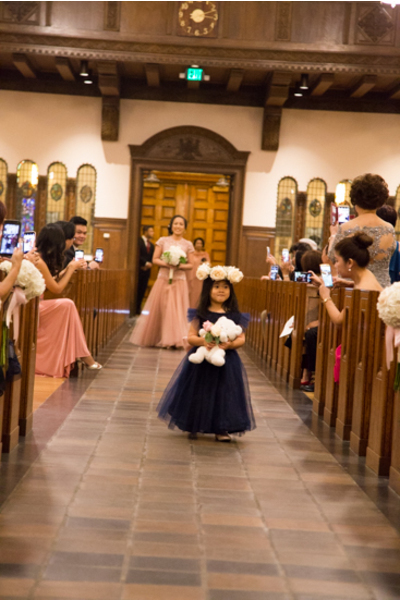 As the church ceremony was starting, all the guests were up on their feet as Elise entered the room. 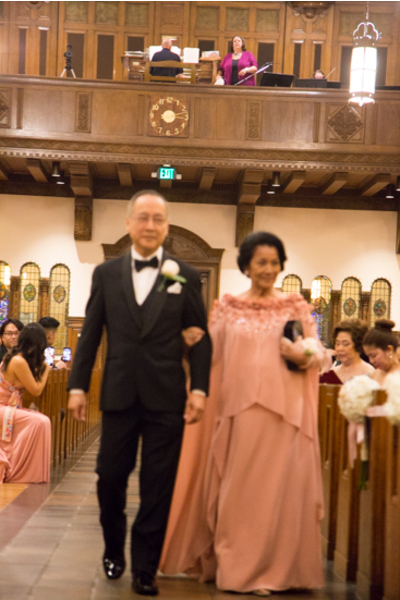 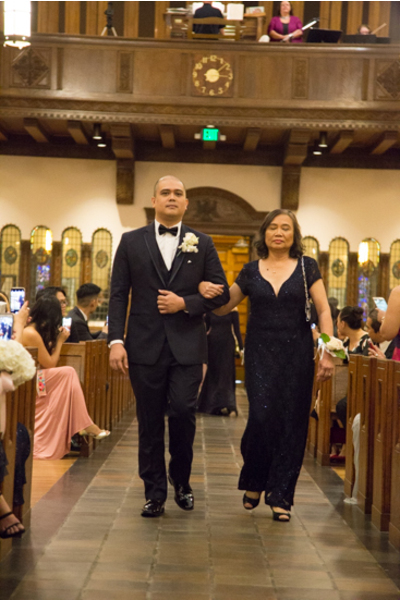 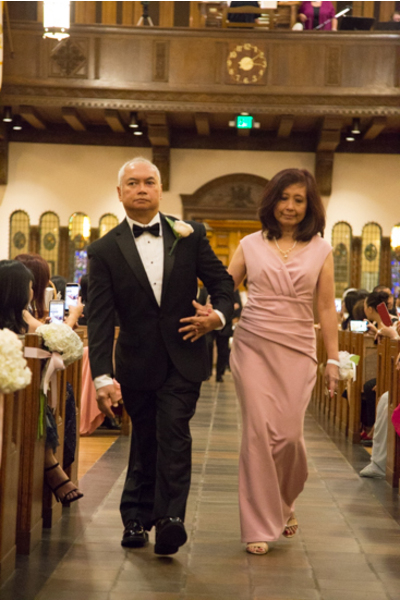 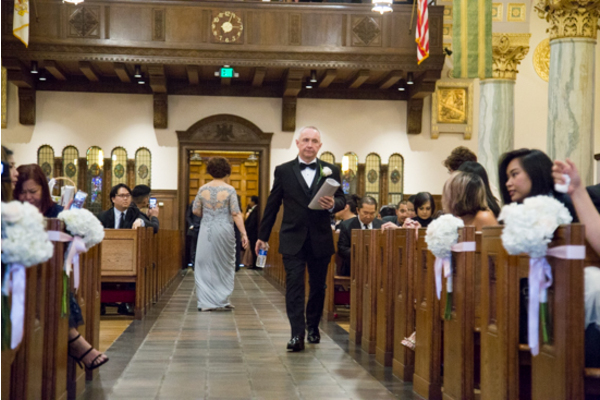 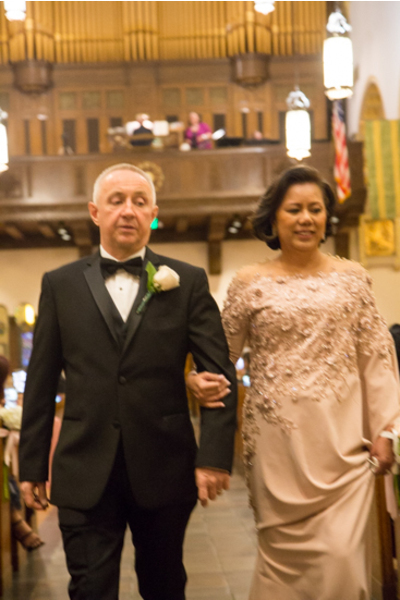 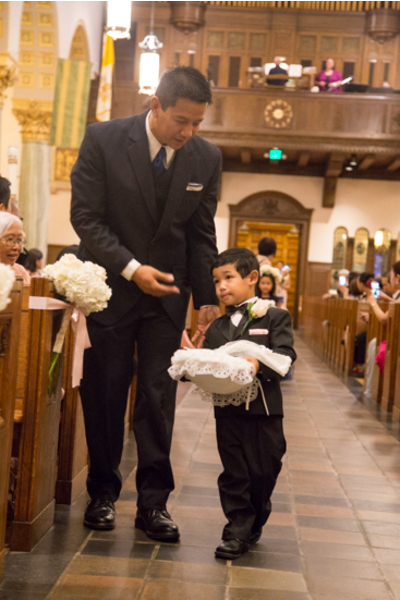 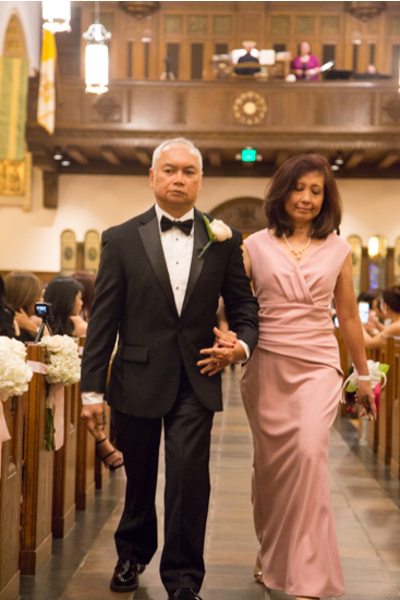 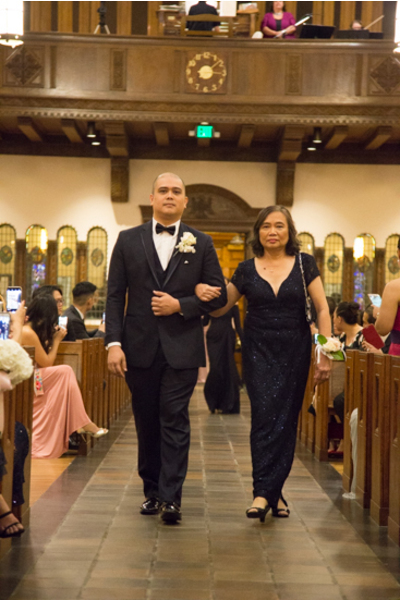 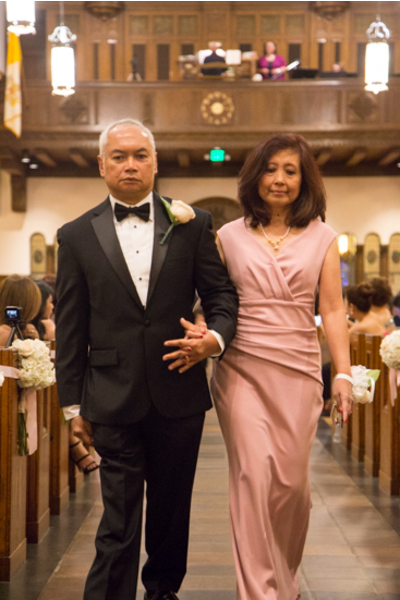 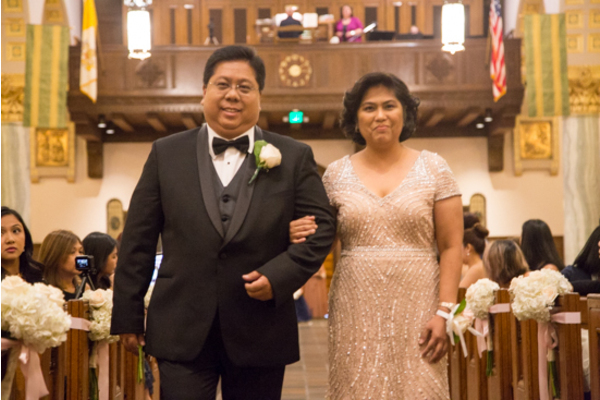 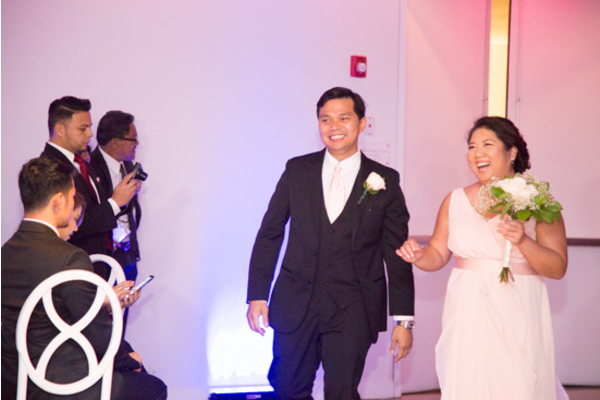 As she was escorted down the aisle, Karlo met his pretty lady at the alter. 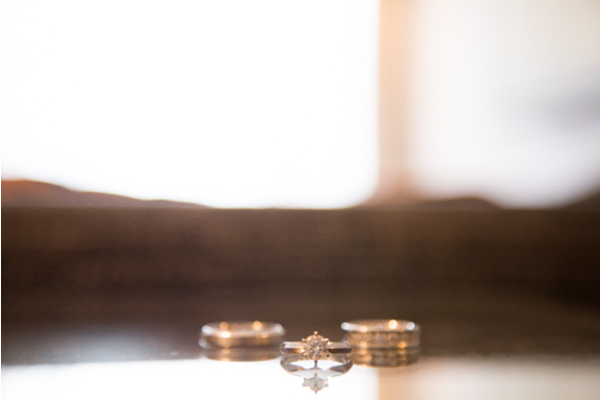 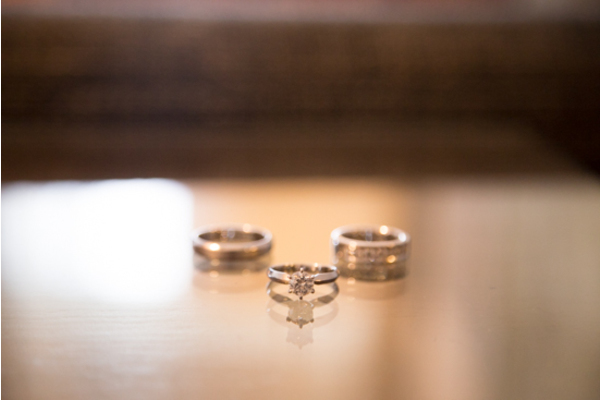 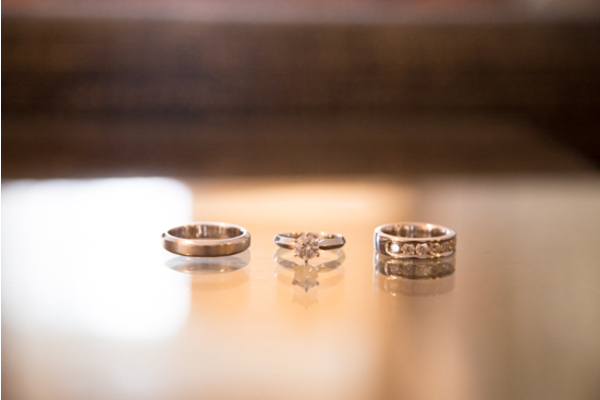 Our NJ Wedding Videographer was there as these two lovebirds said their vows and their “I Do’s”. 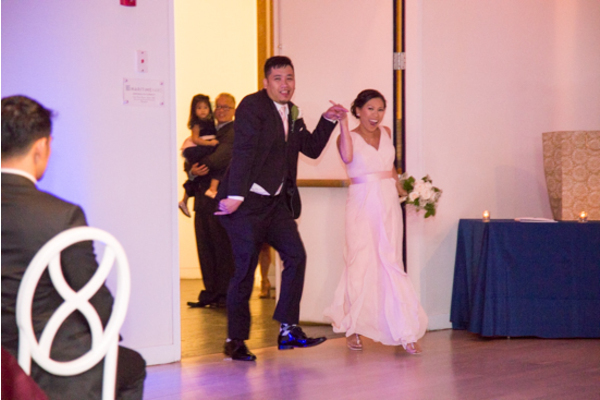 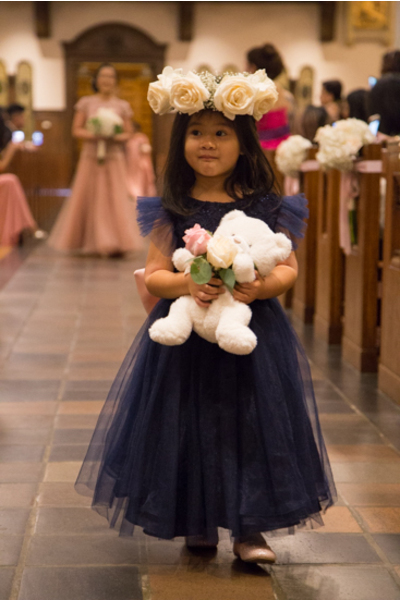 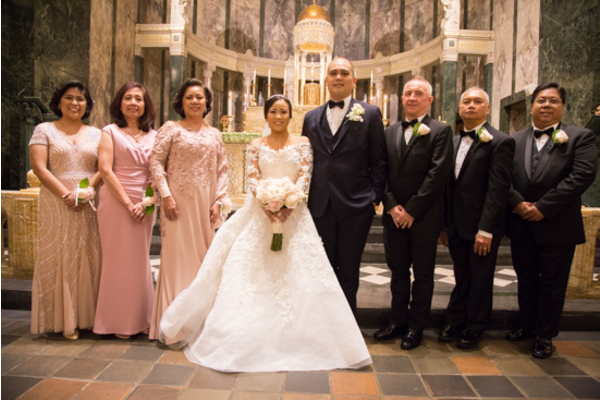 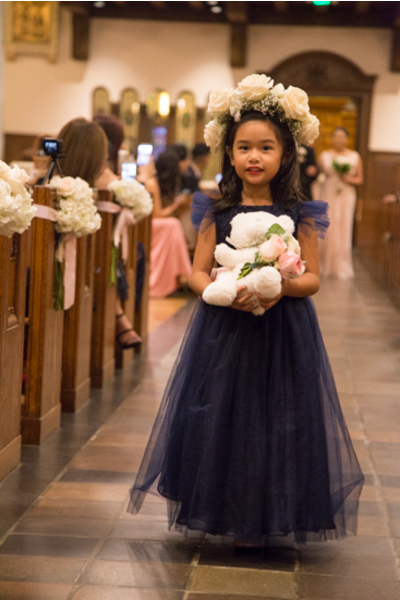 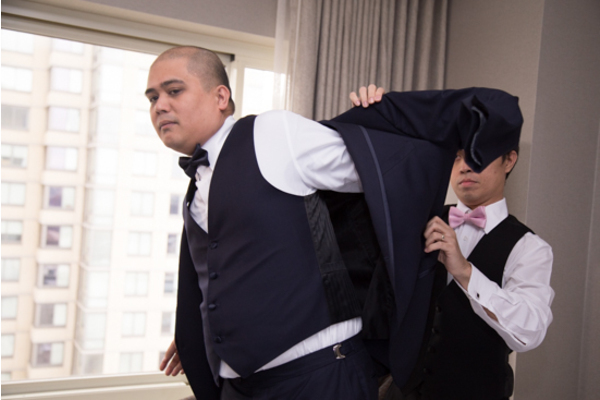 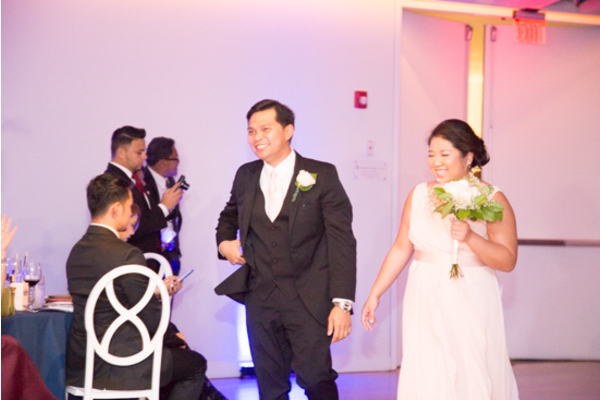 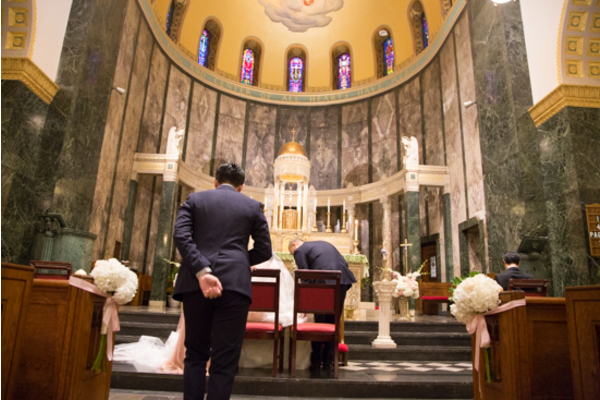 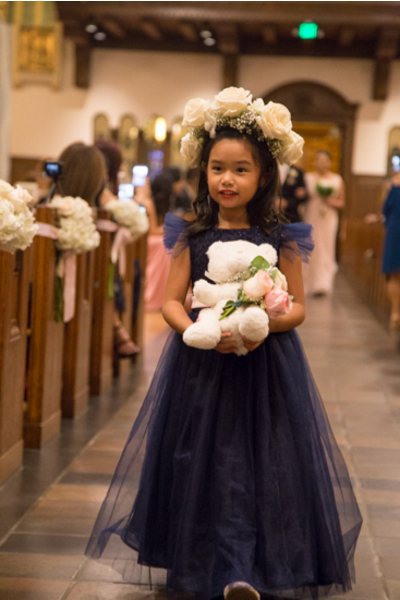 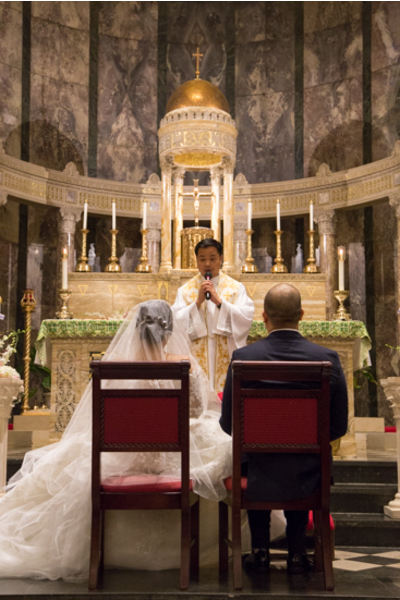 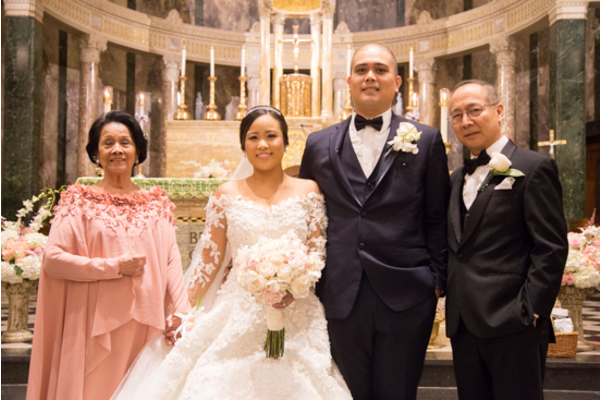 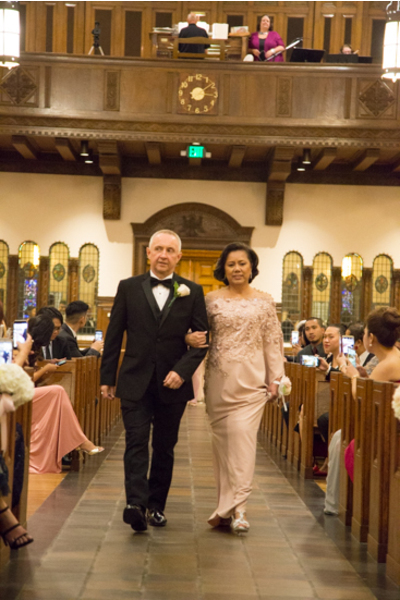 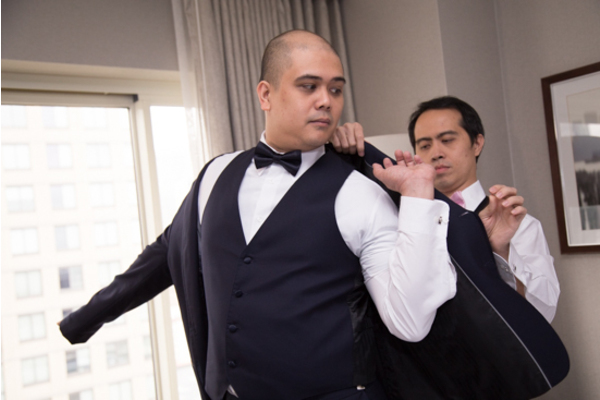 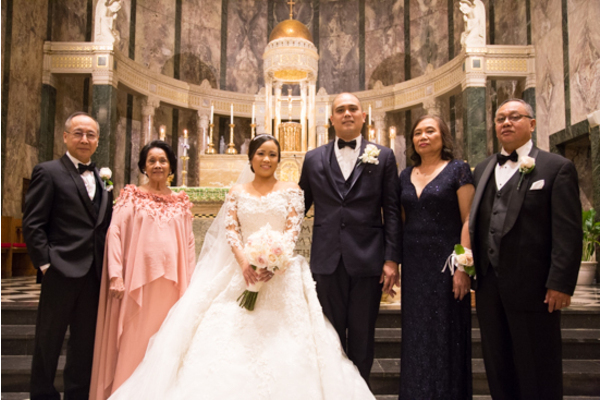 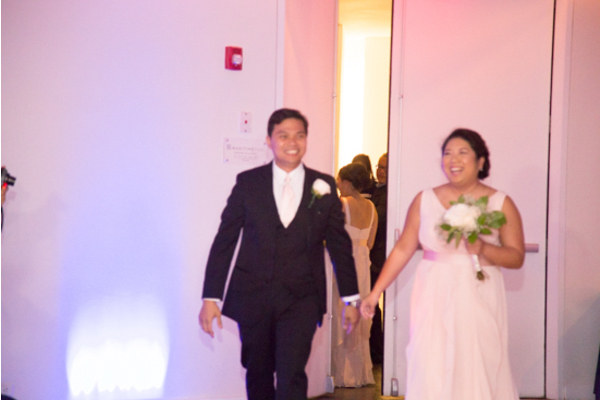 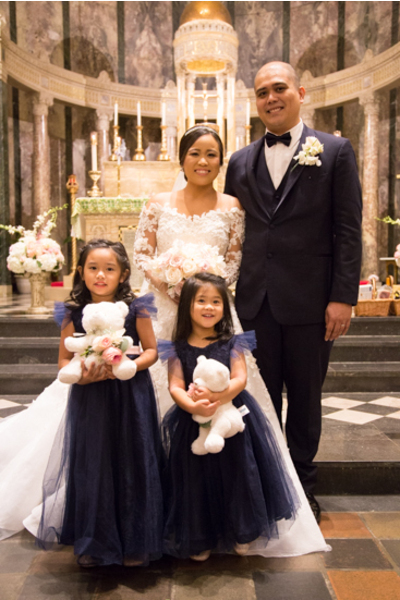 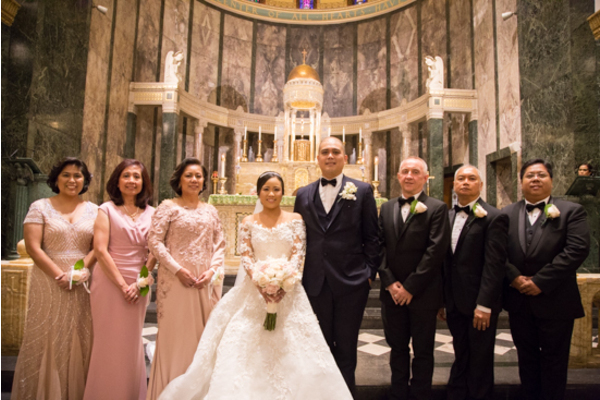 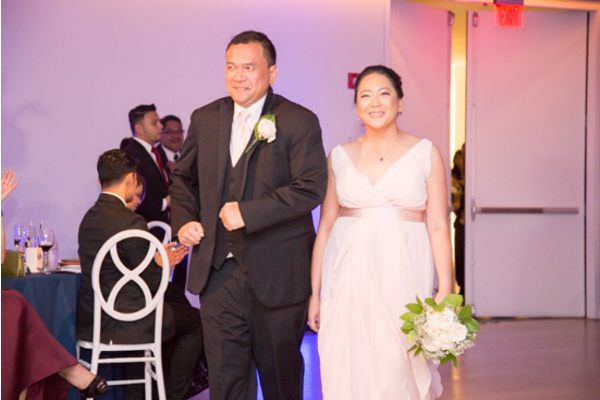 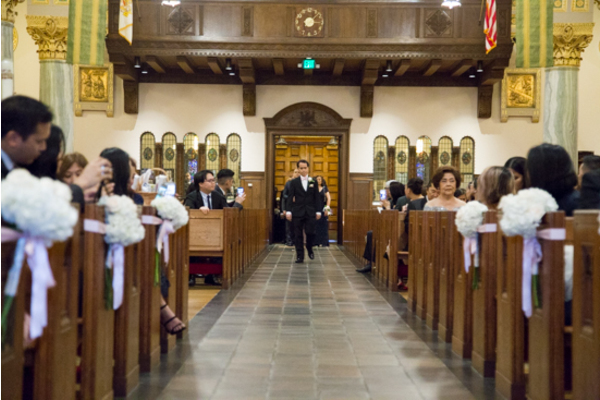 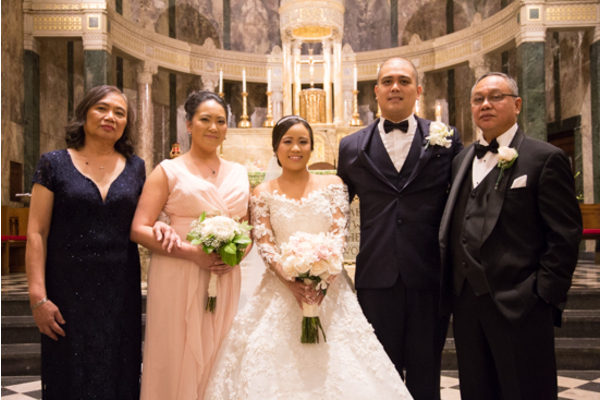 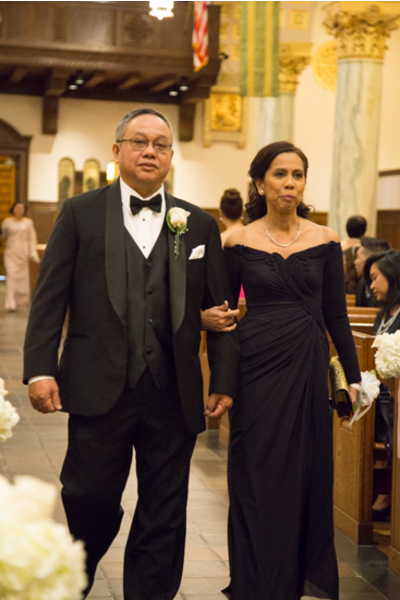 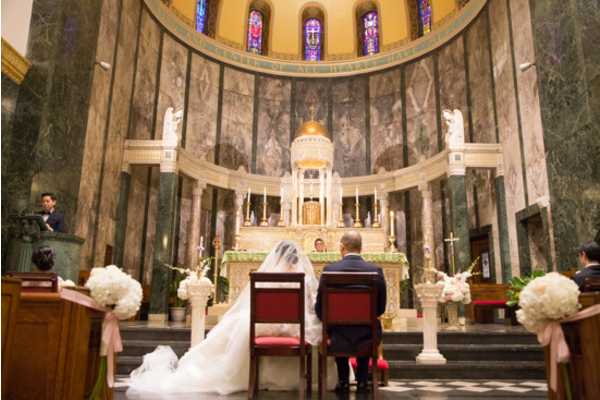 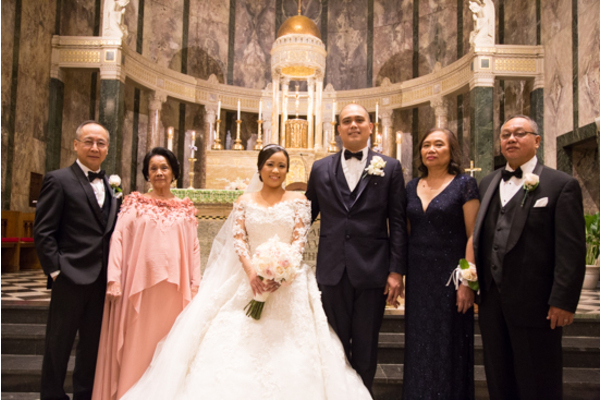 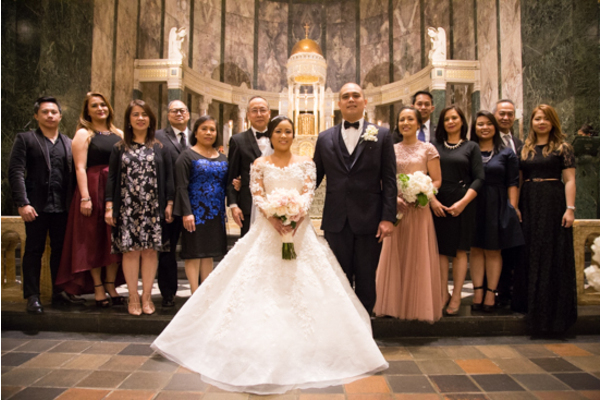 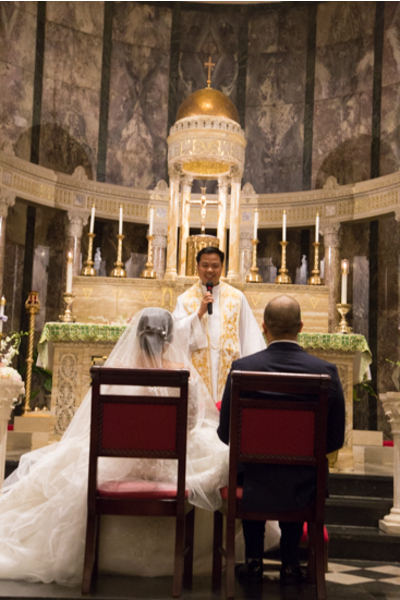 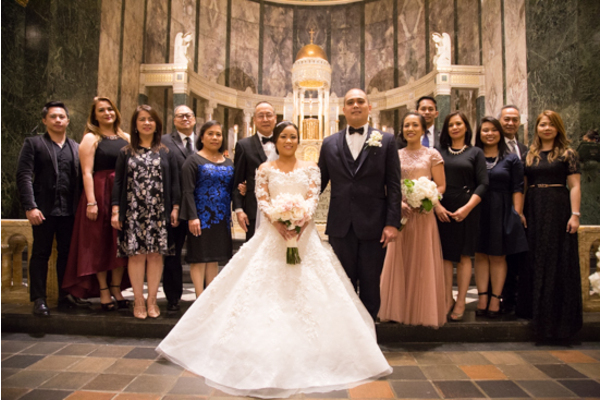 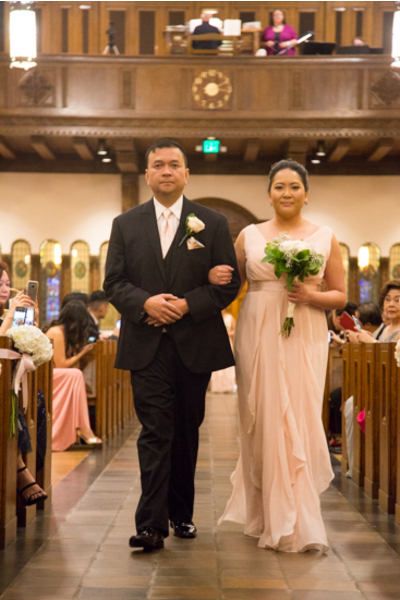 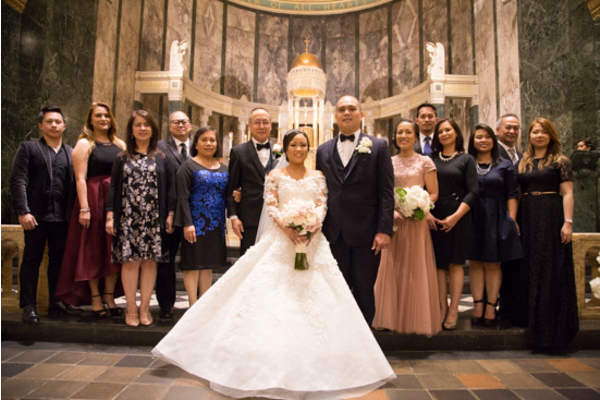 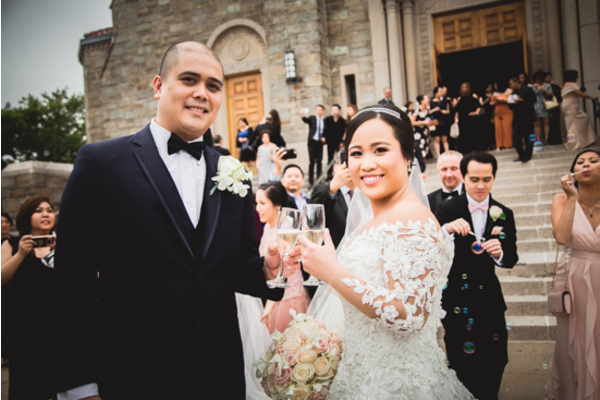 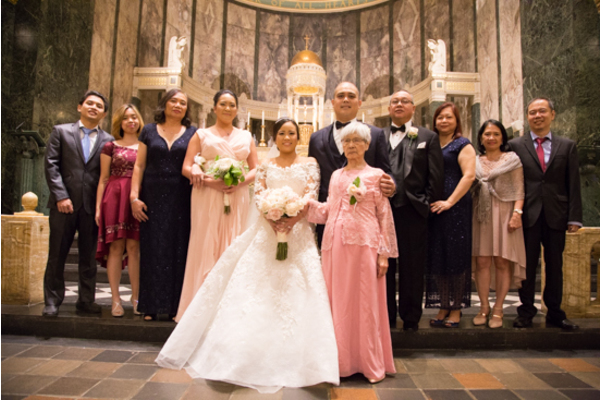 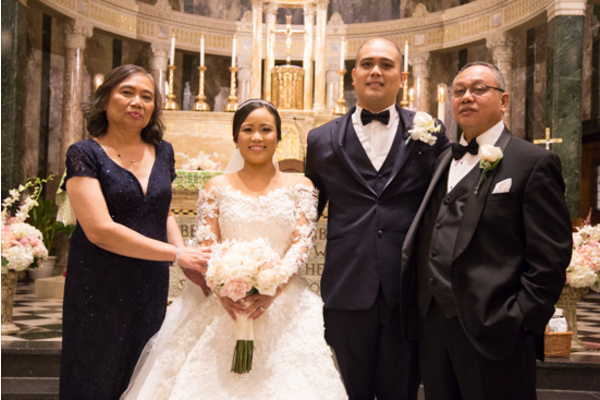 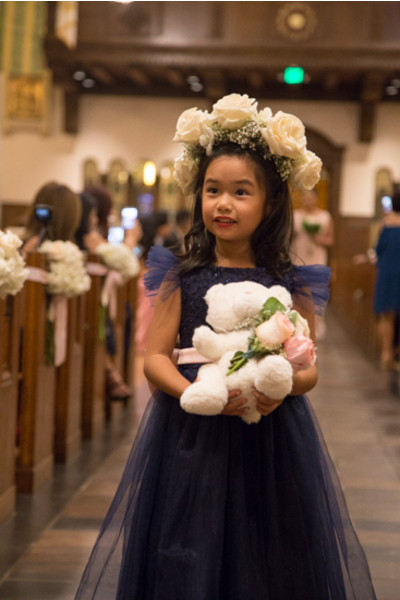 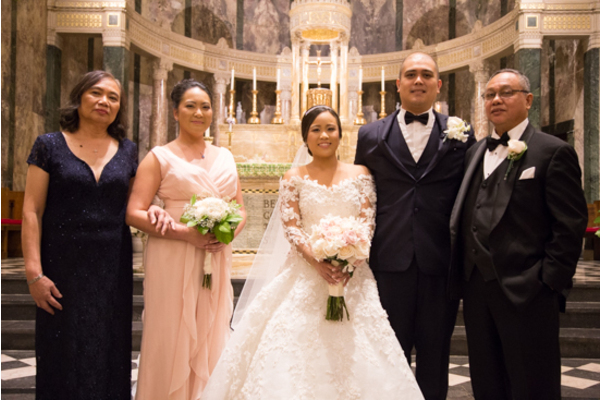 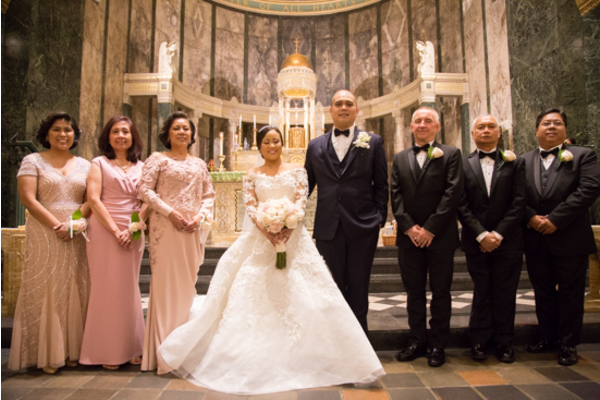 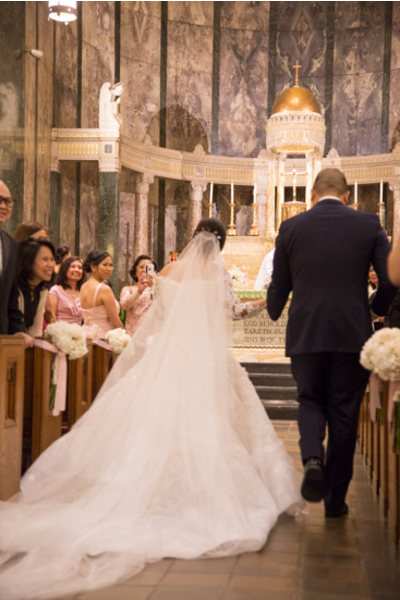 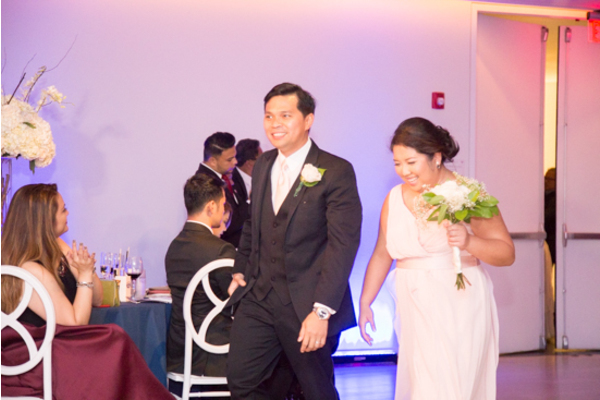 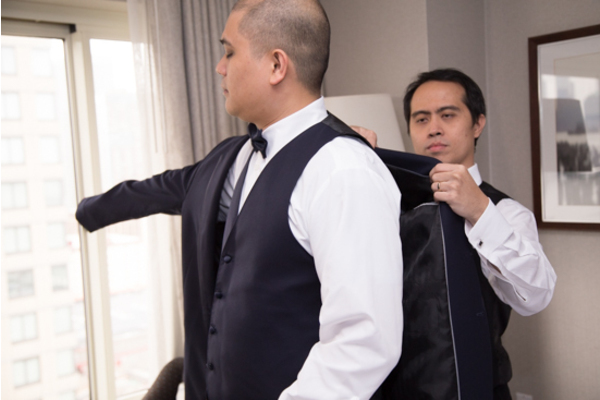 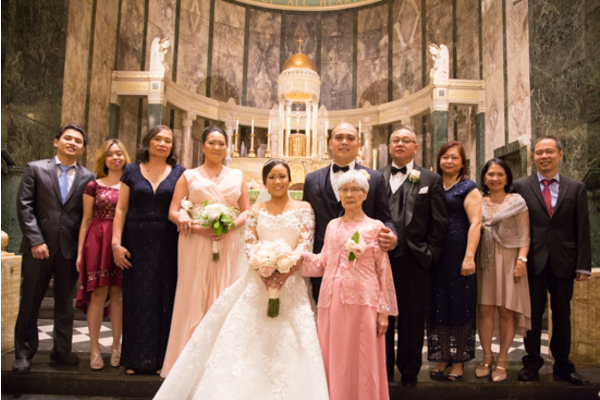 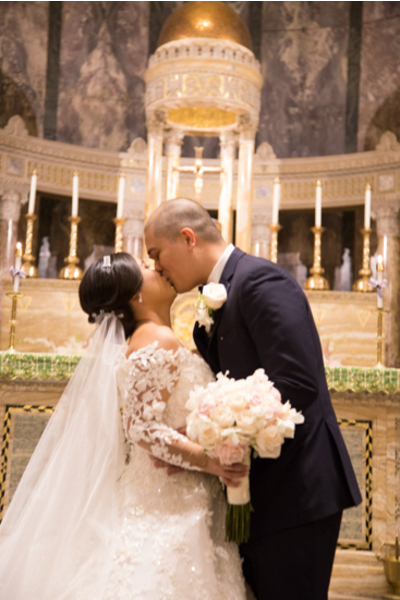 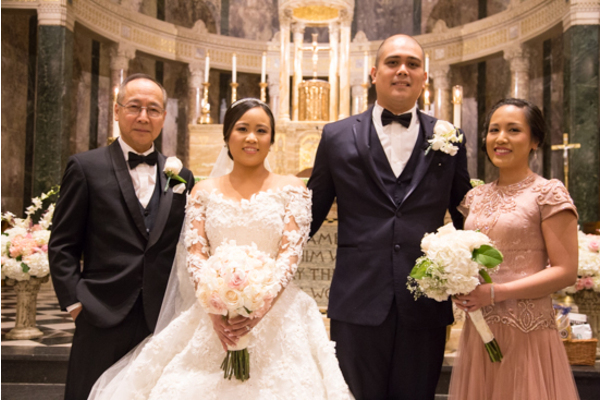 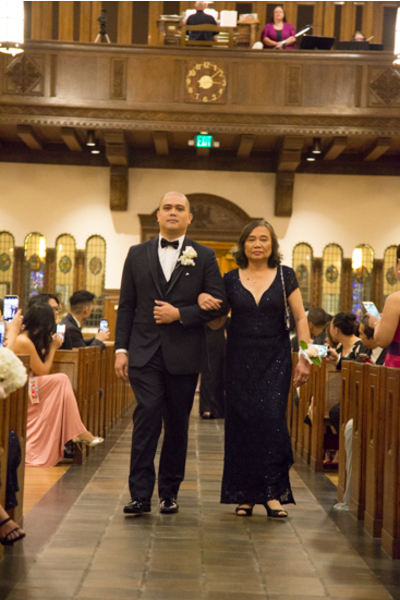 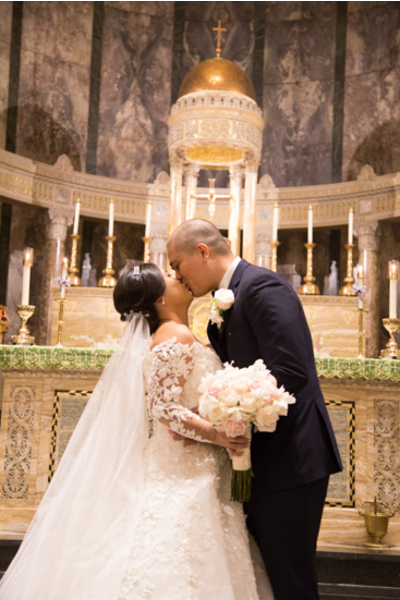 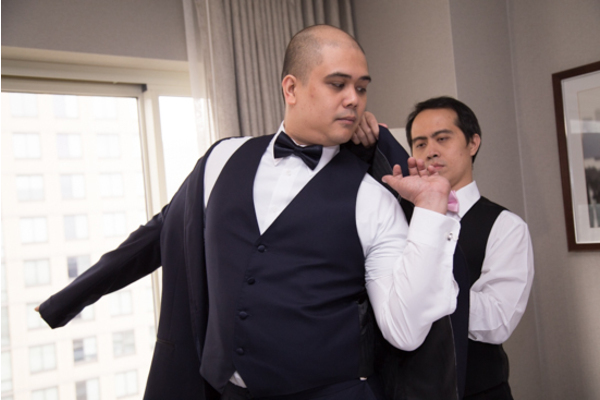 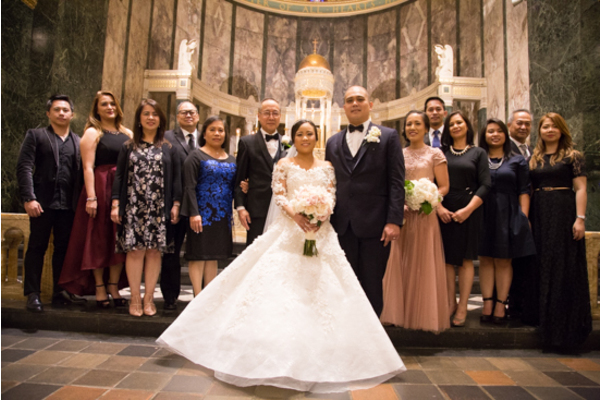 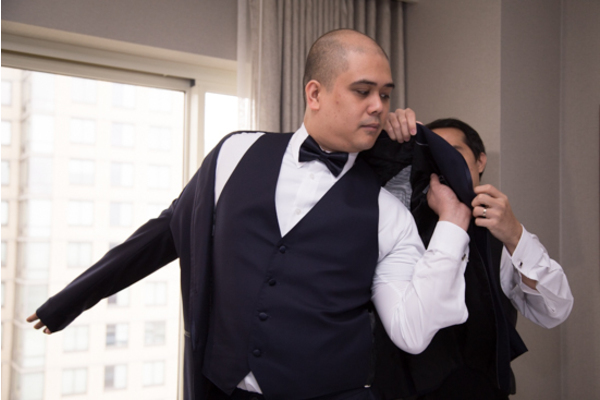 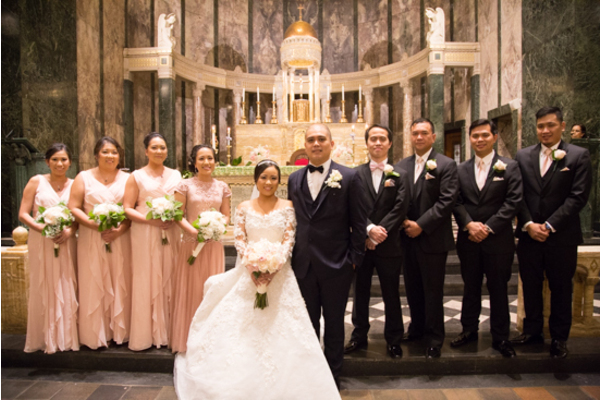 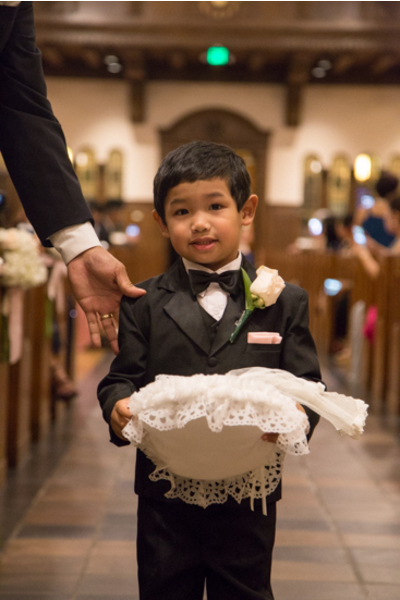 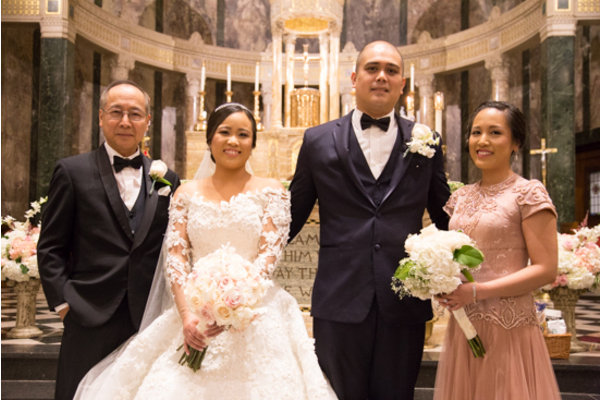 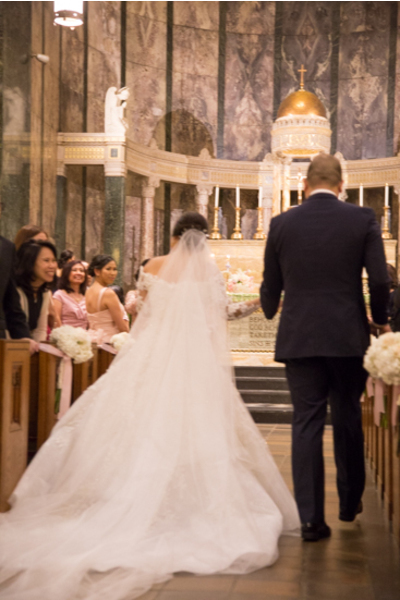 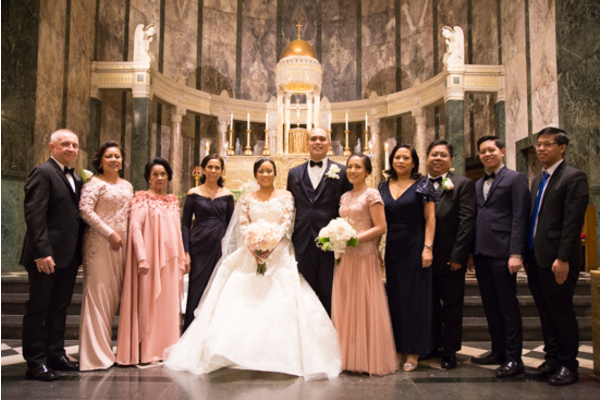 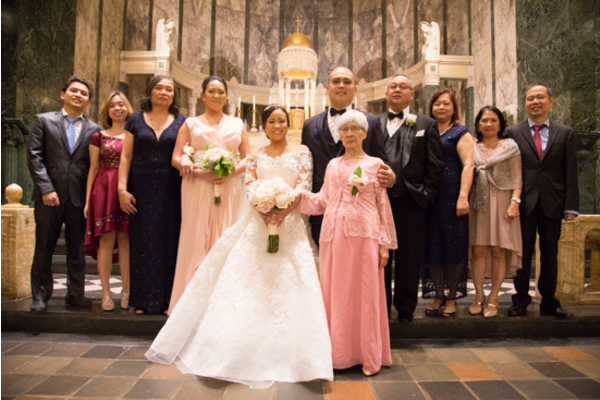 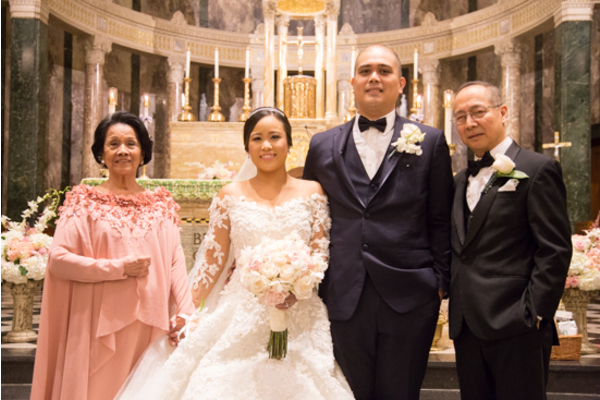 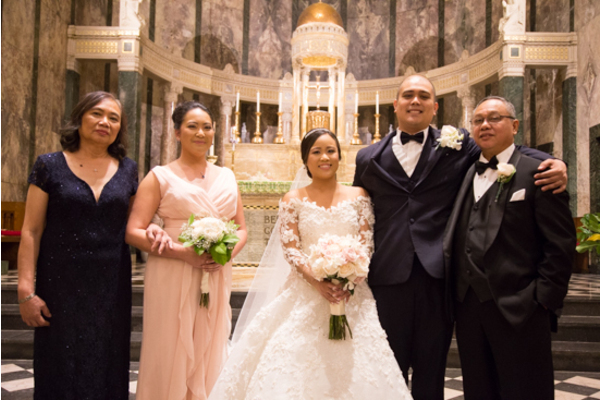 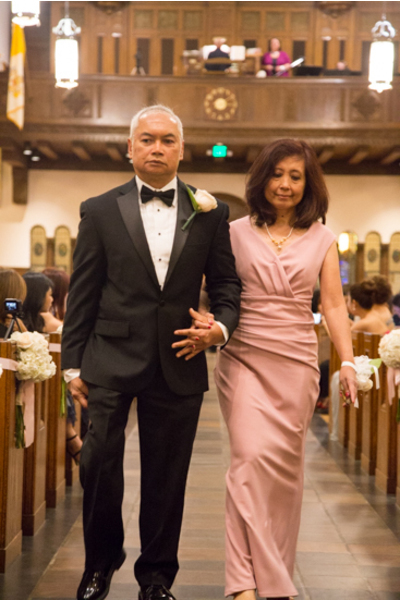 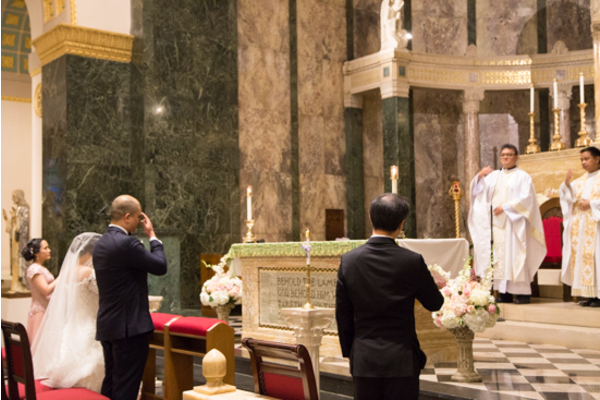 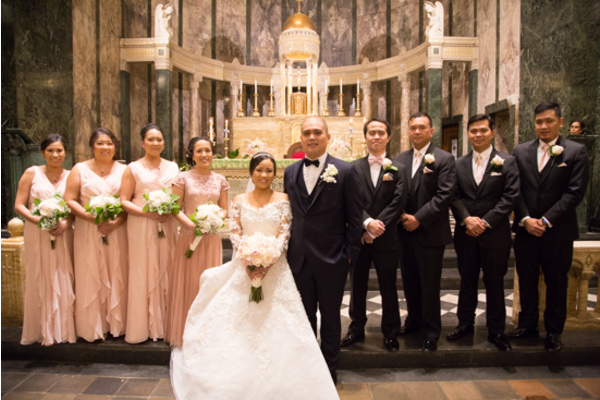 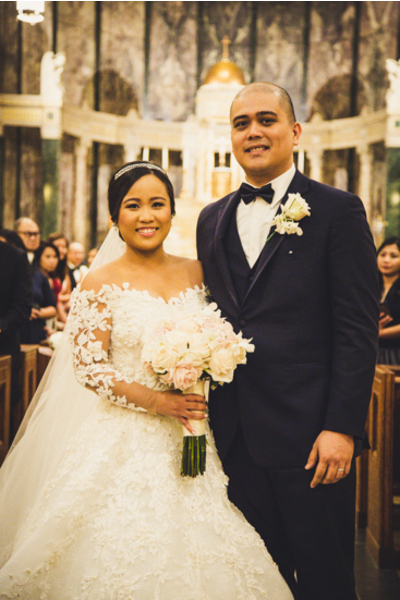 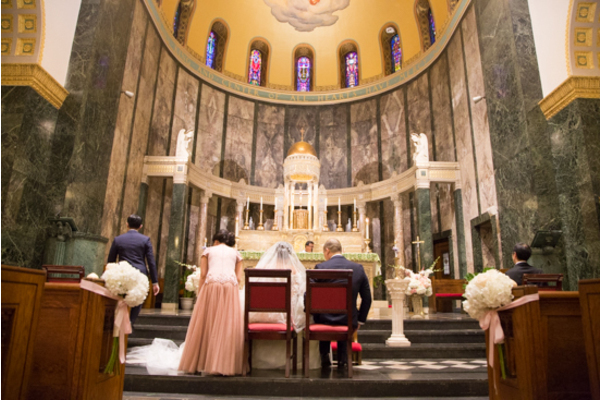 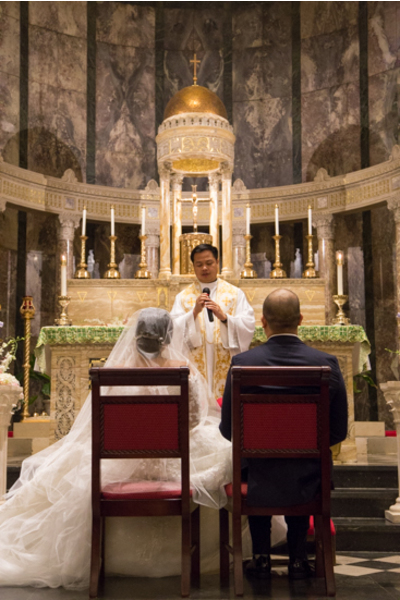 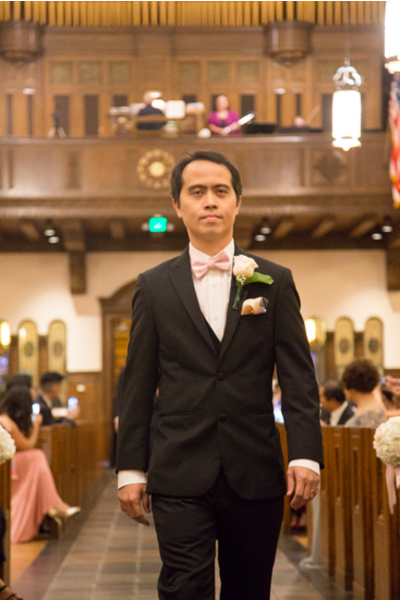 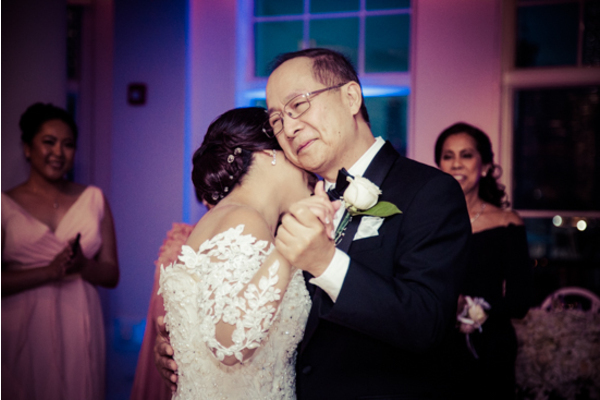 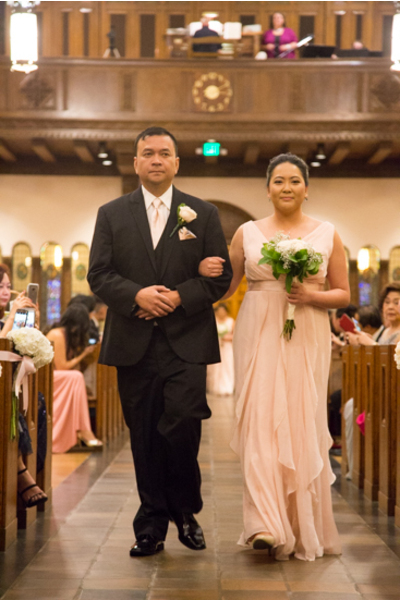 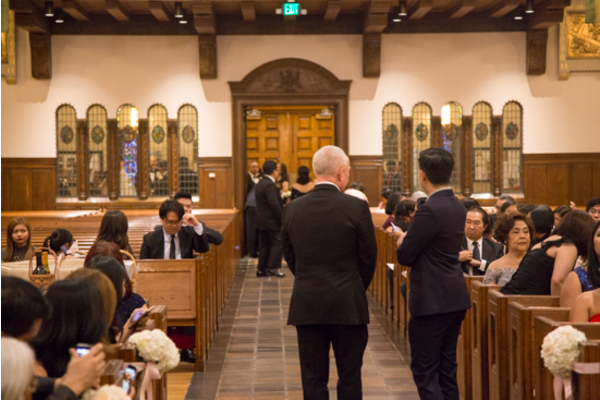 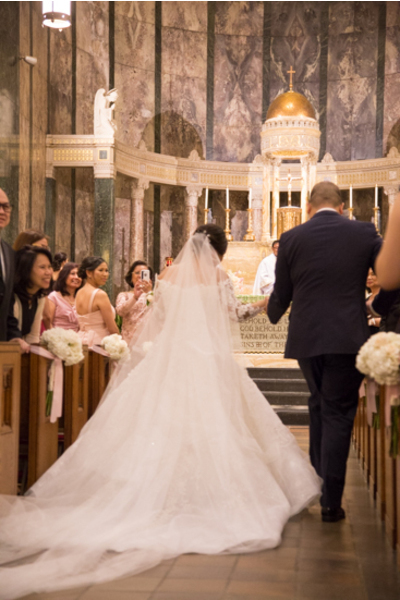 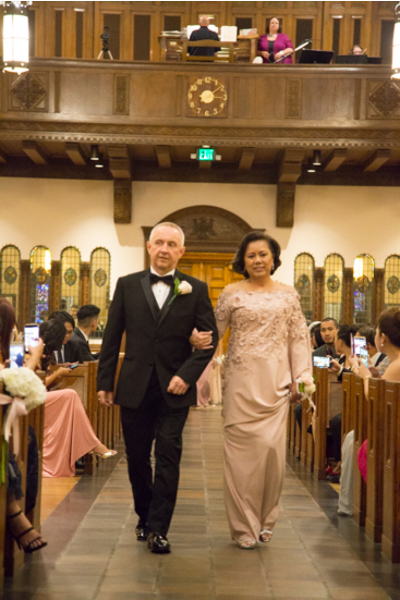 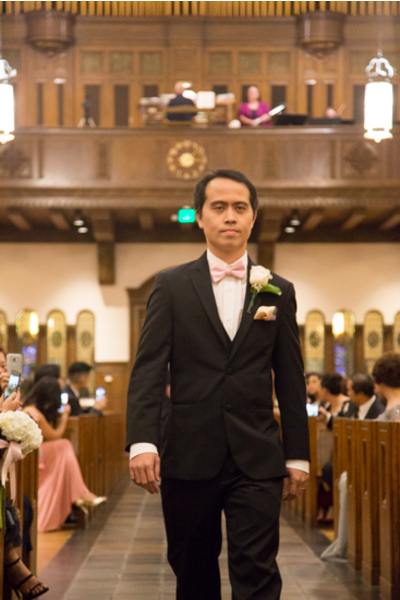 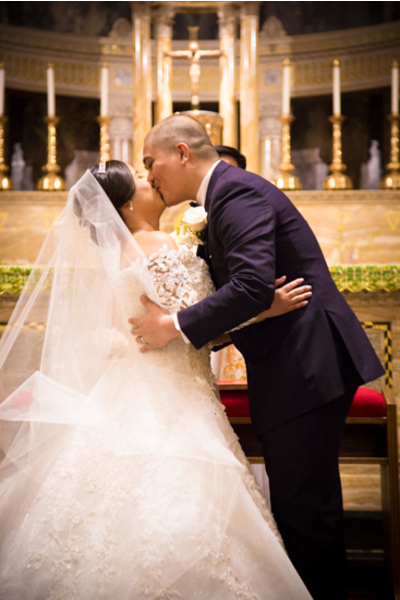 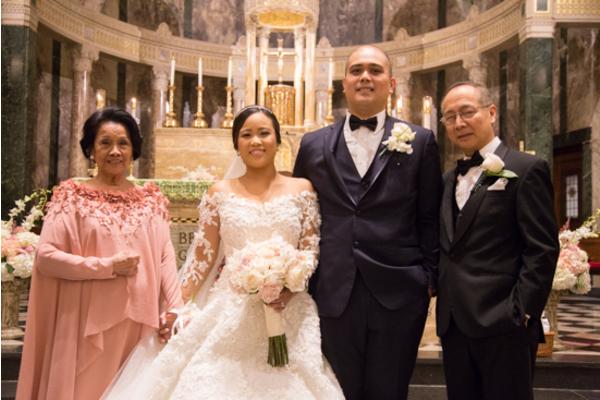 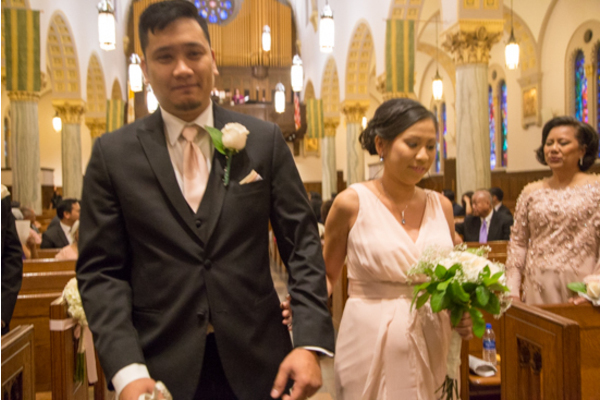 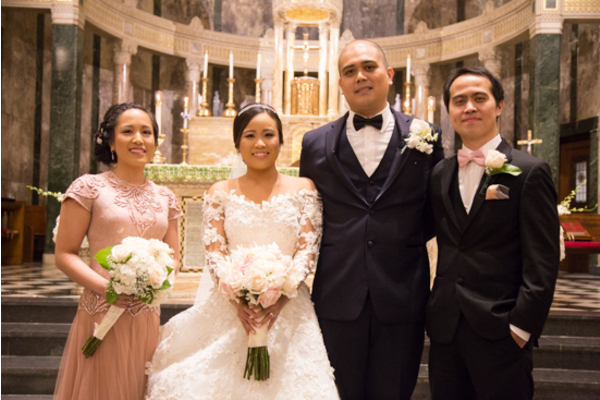 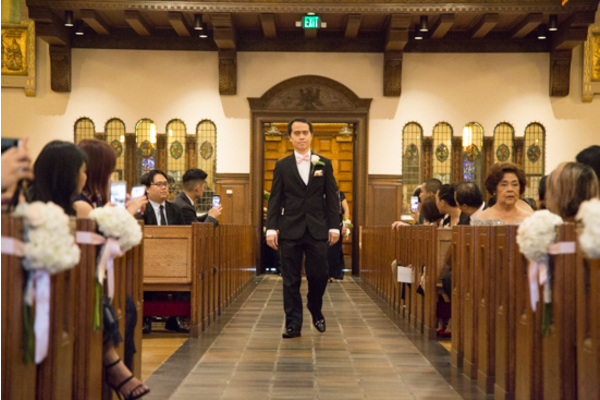 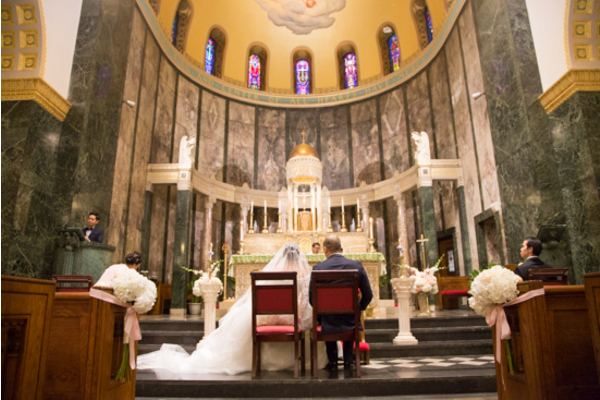 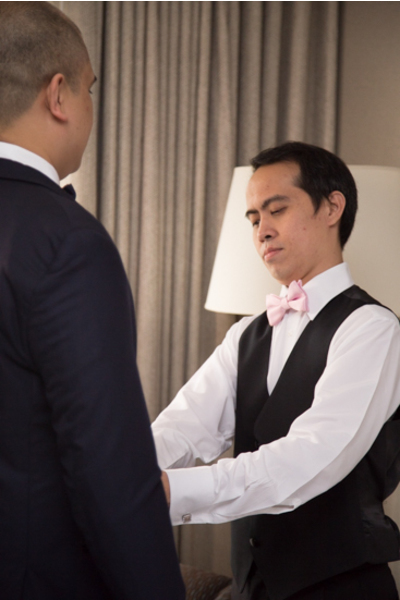 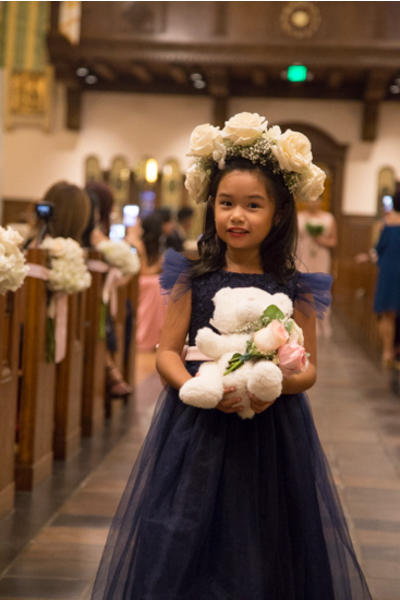 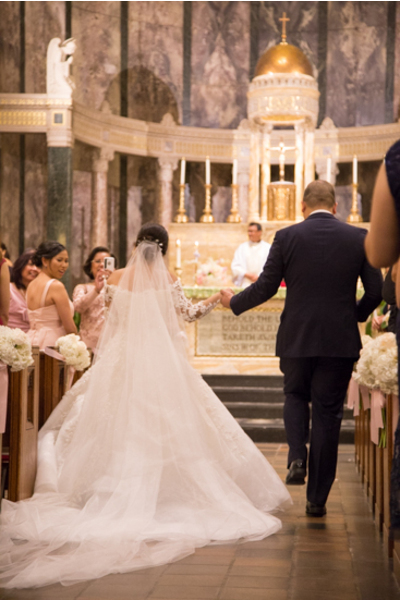 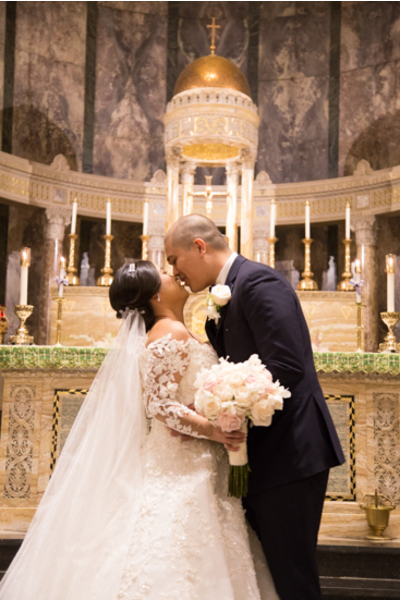 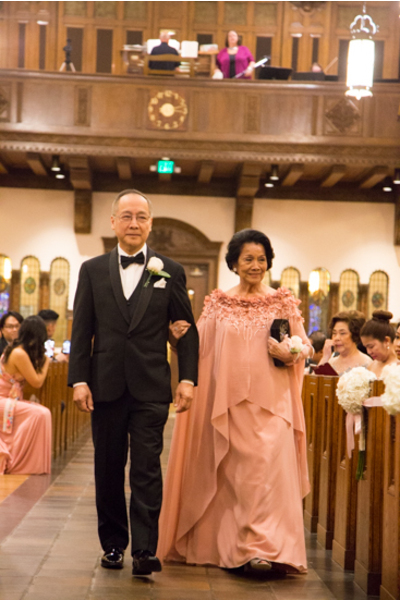 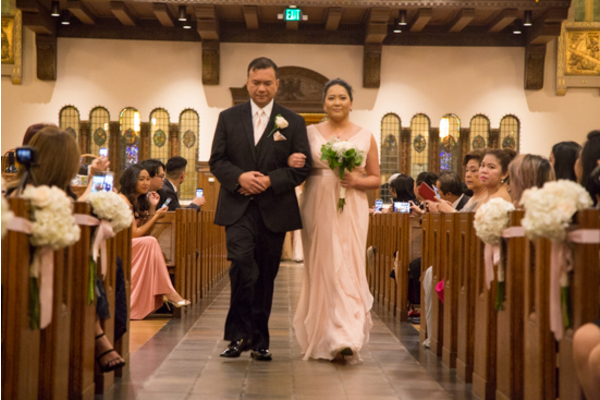 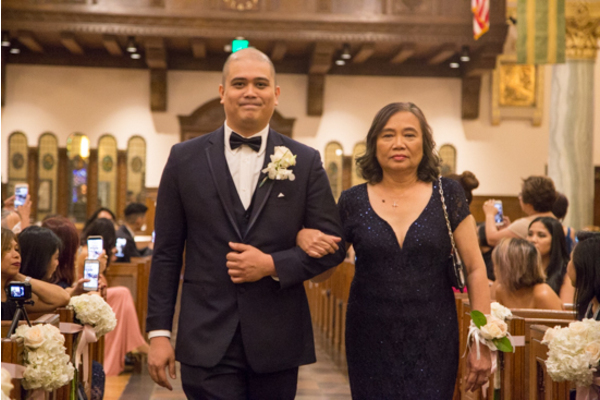 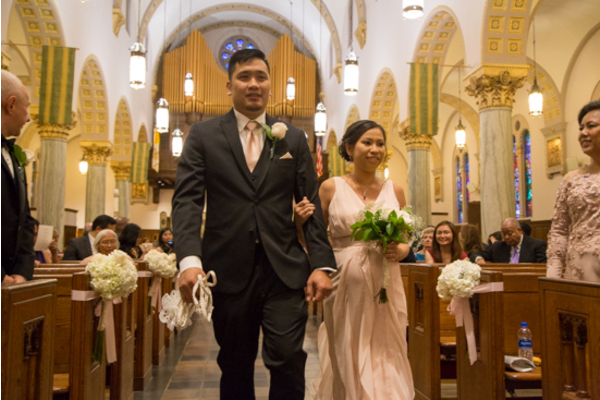 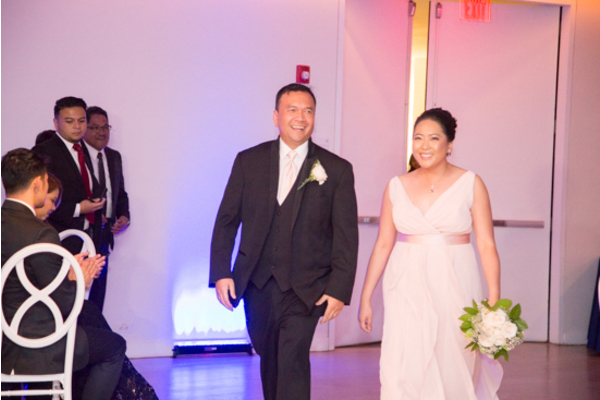 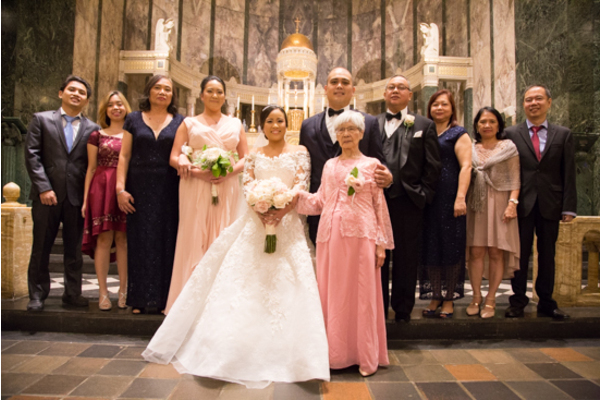 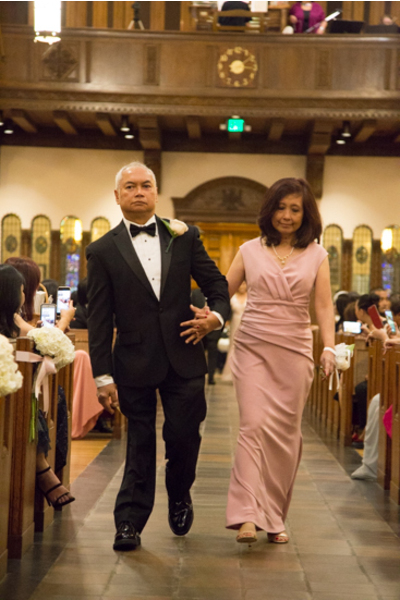 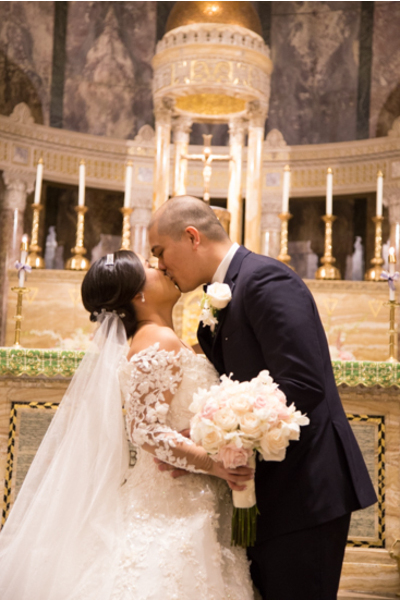 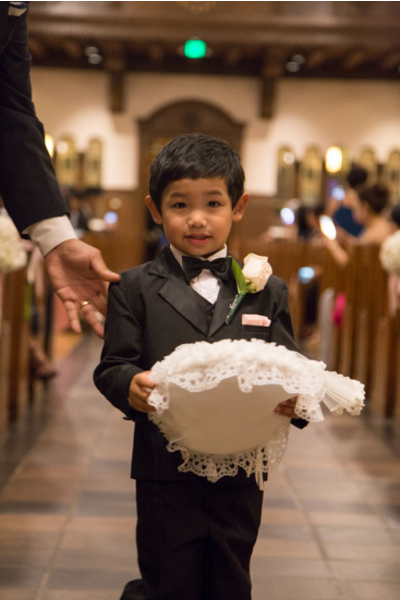 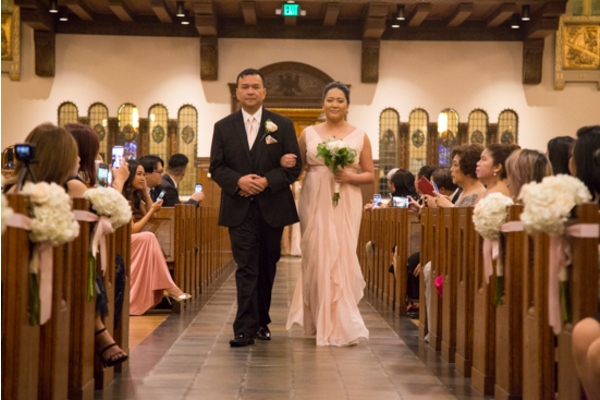 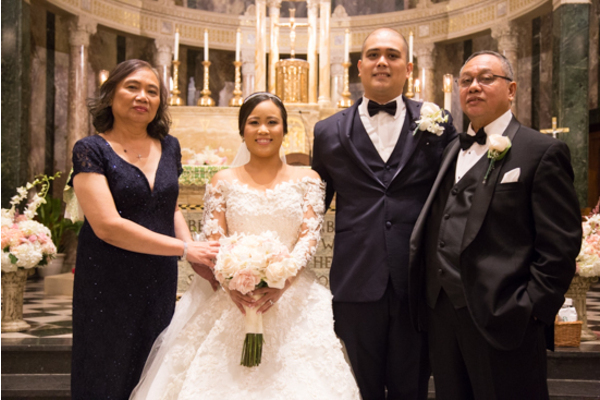 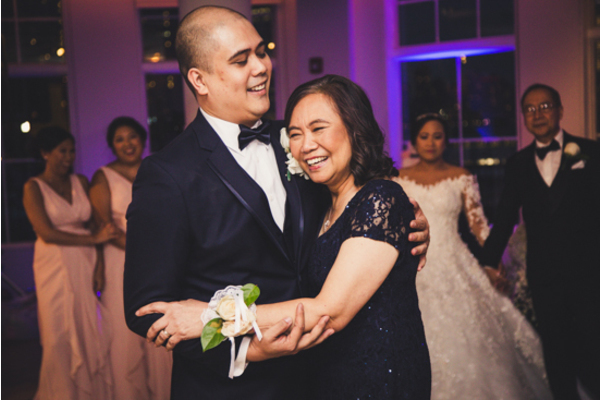 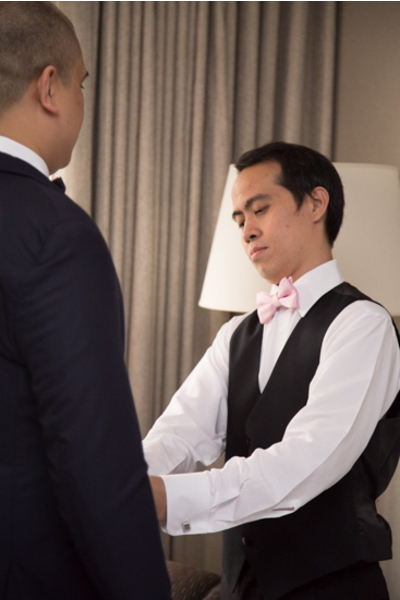 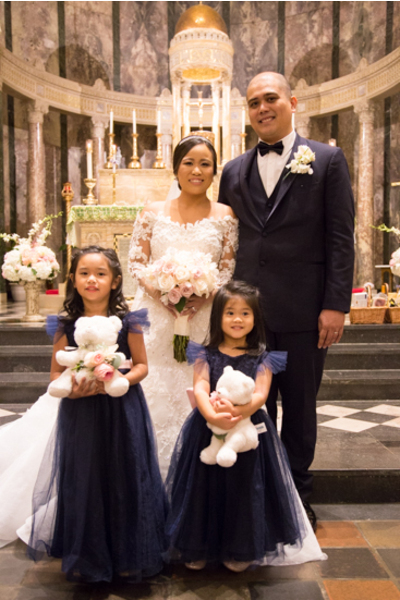 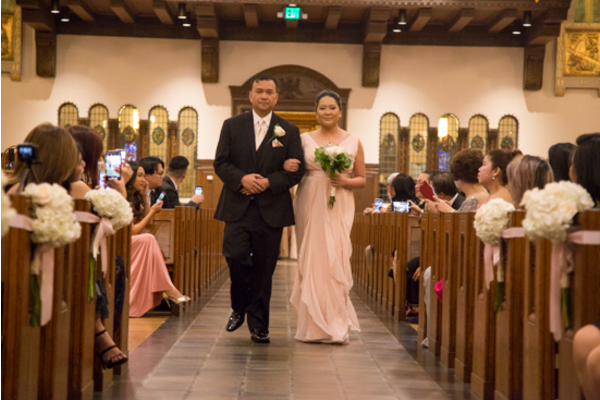 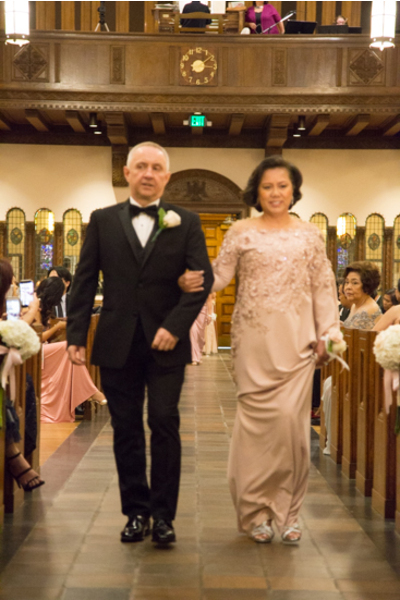 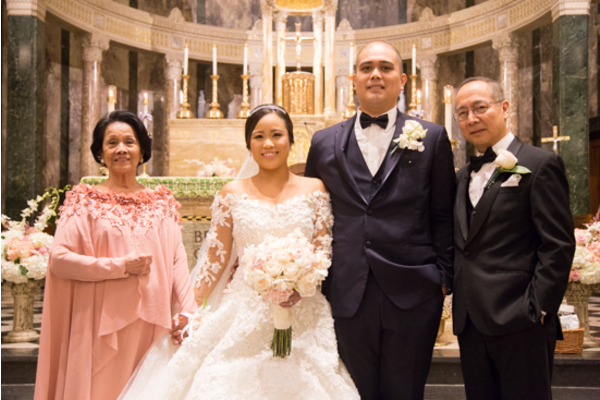 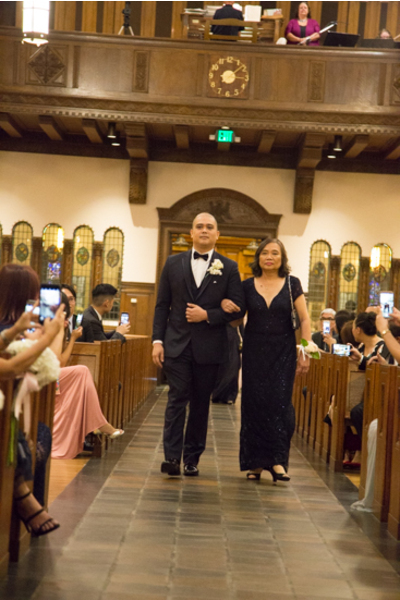 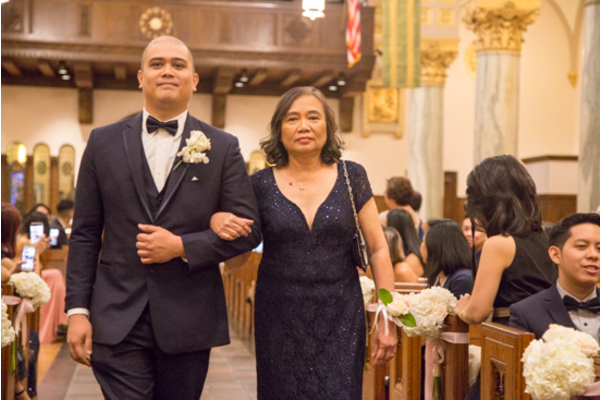 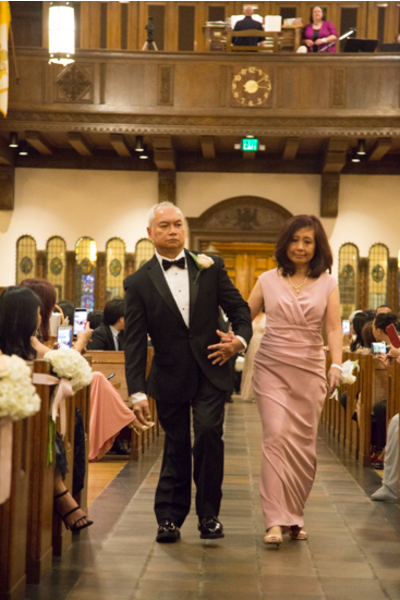 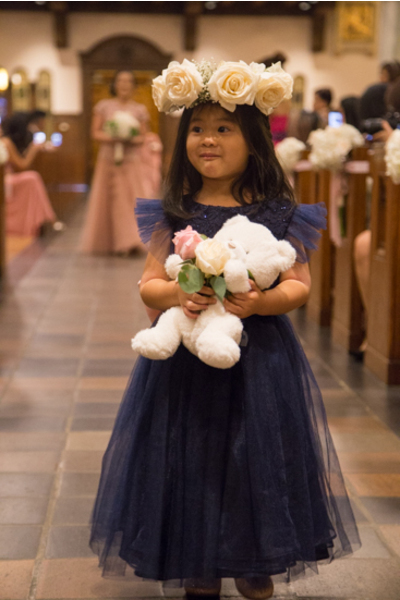 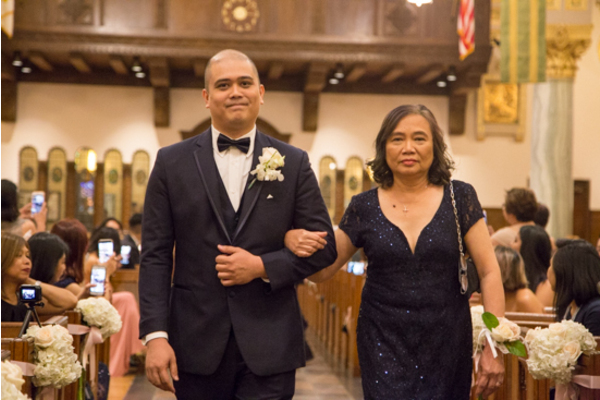 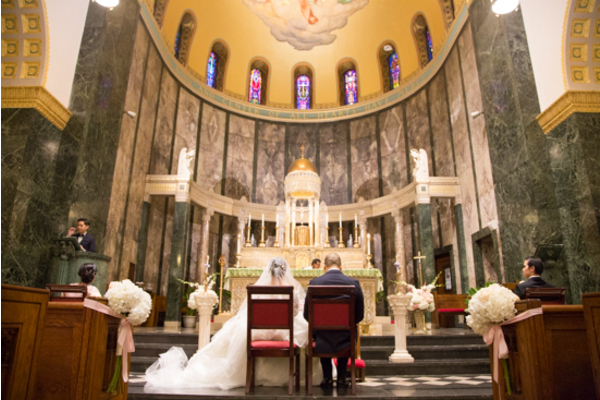 Our NJ Wedding Videographer captured every moment of this traditional ceremony that Elise and Karlo will have forever to look back on! 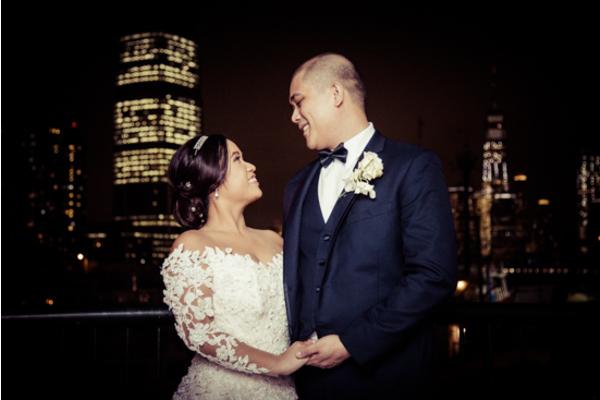 Being that their venue is right across the river from Manhattan, the view is incredible! 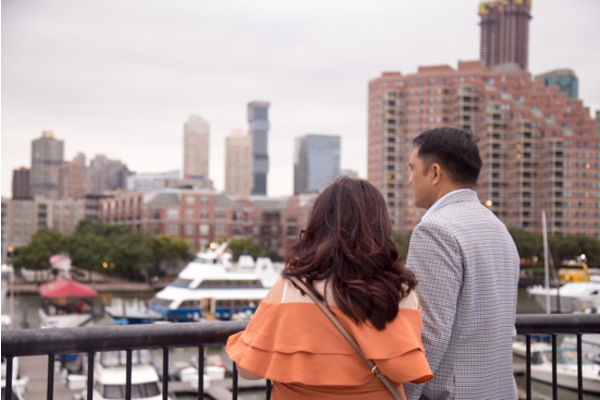 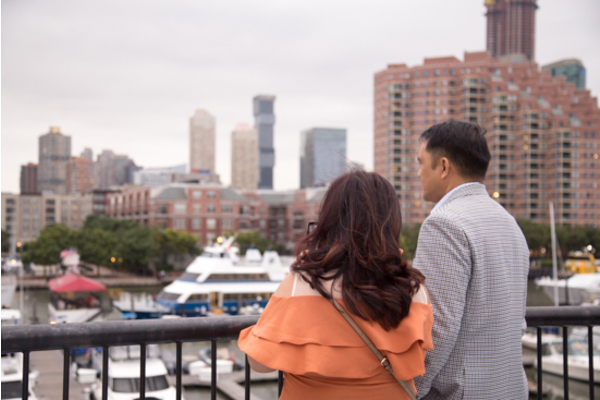 They took advantage of the view with some breath-taking photos before heading over to the reception. 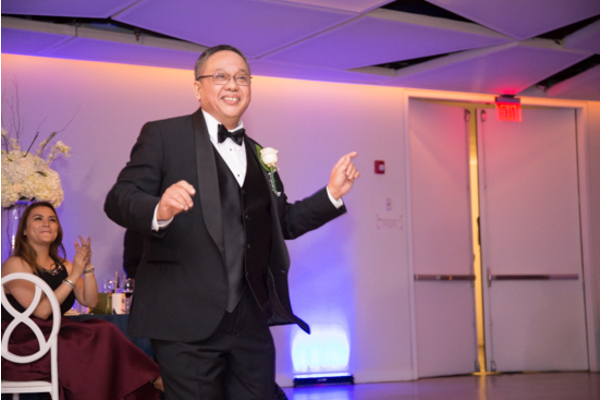 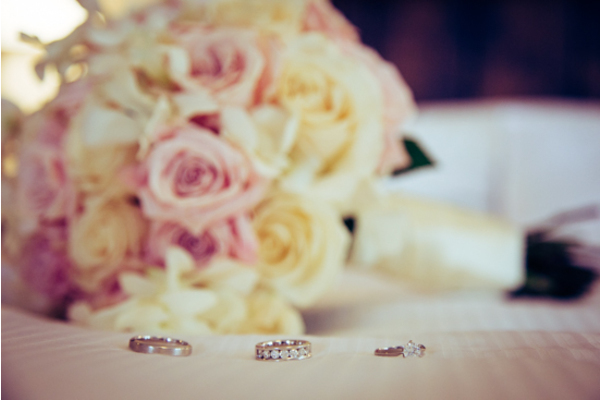 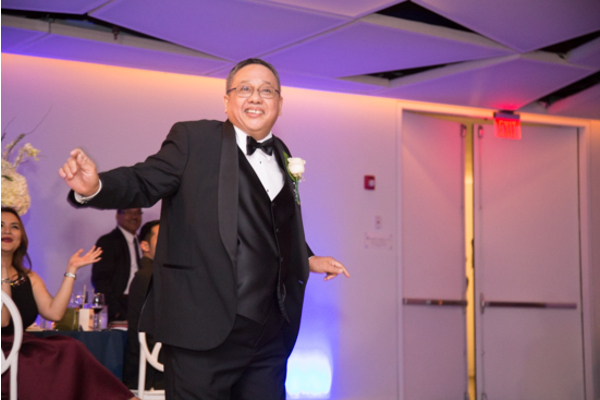 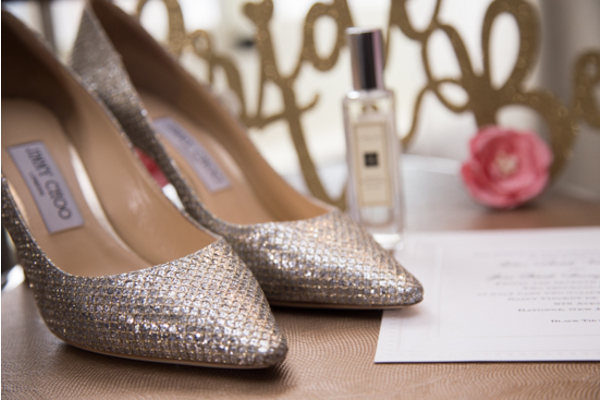 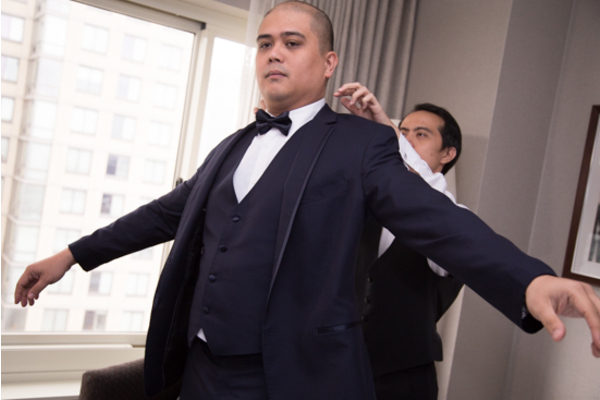 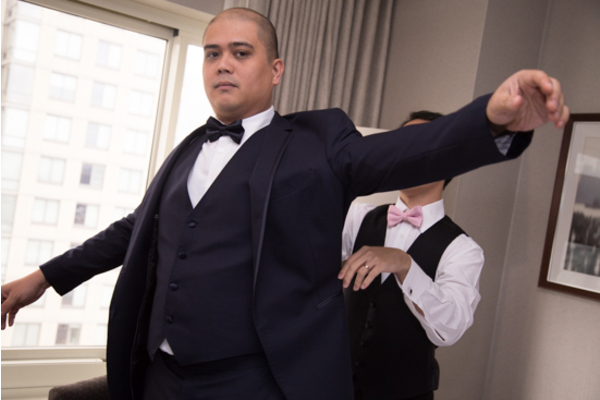 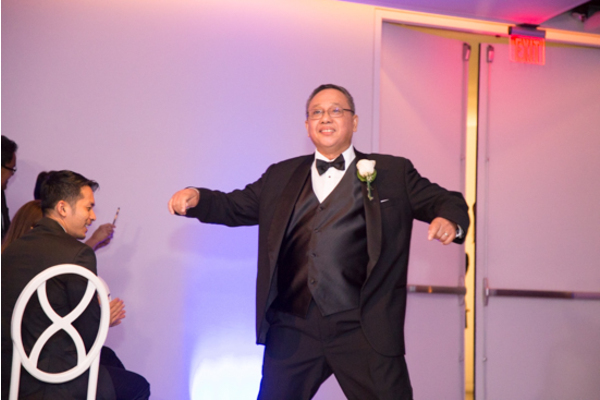 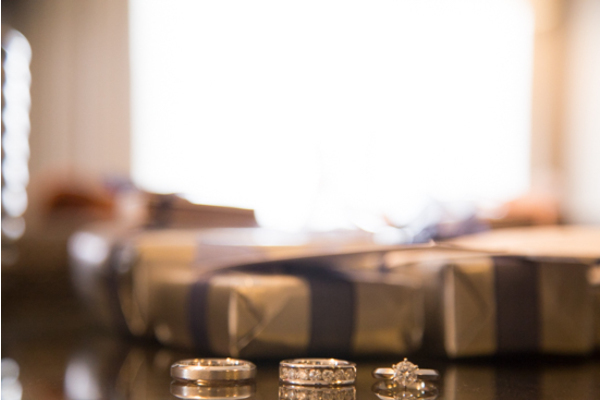 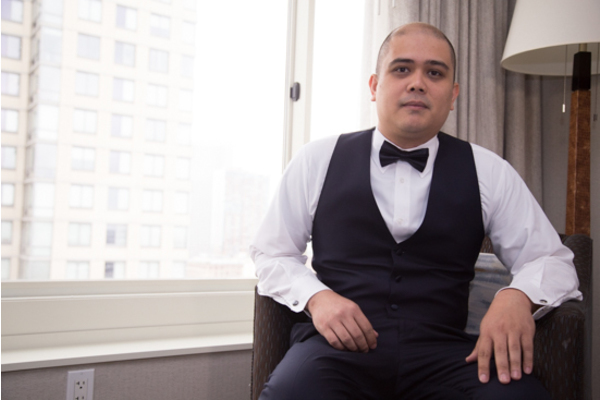 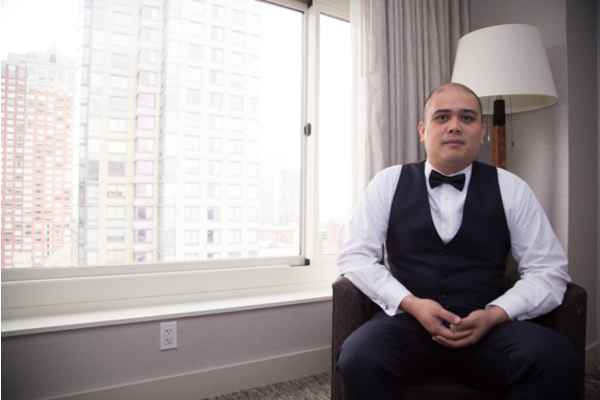 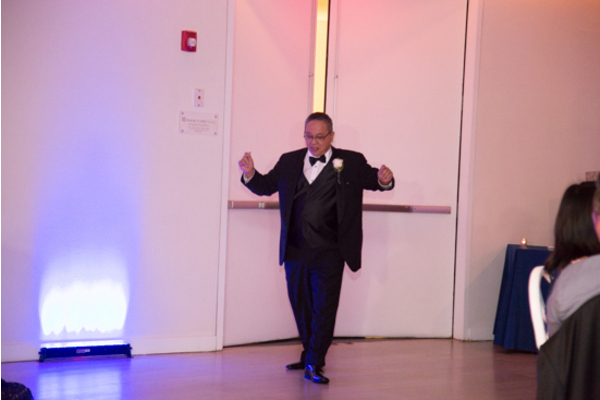 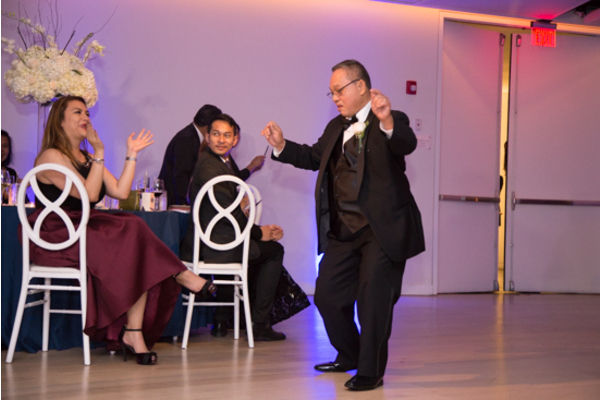 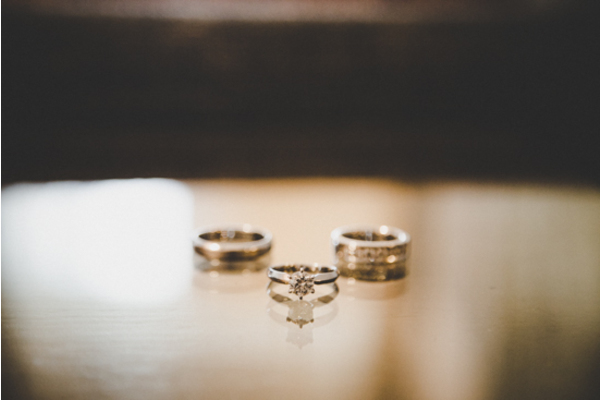 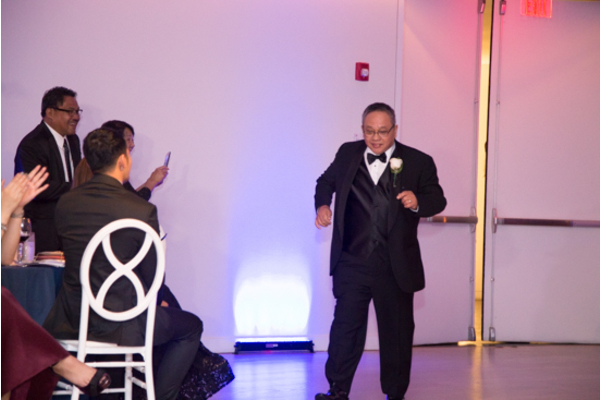 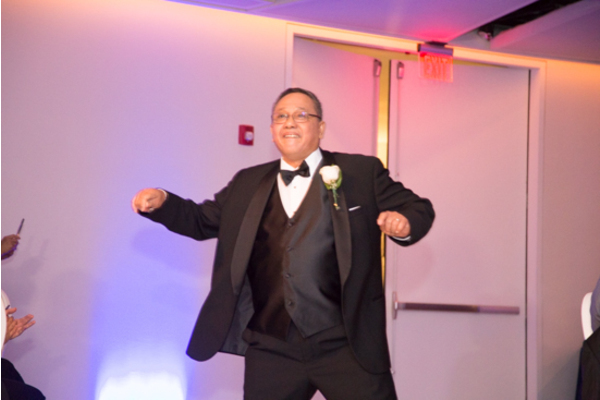 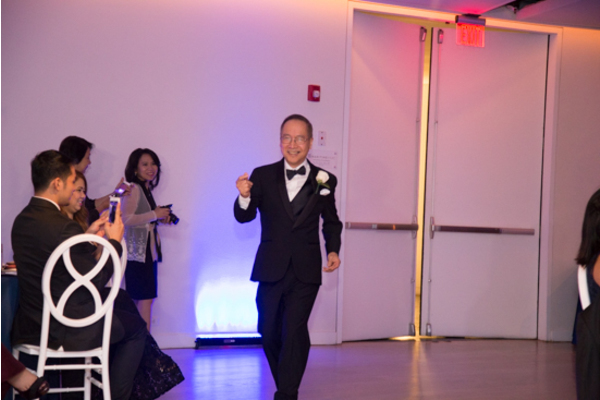 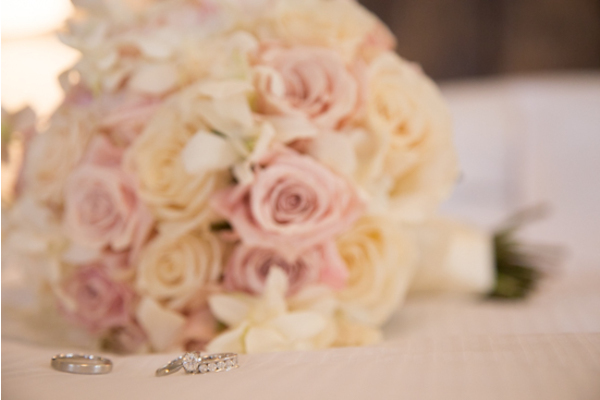 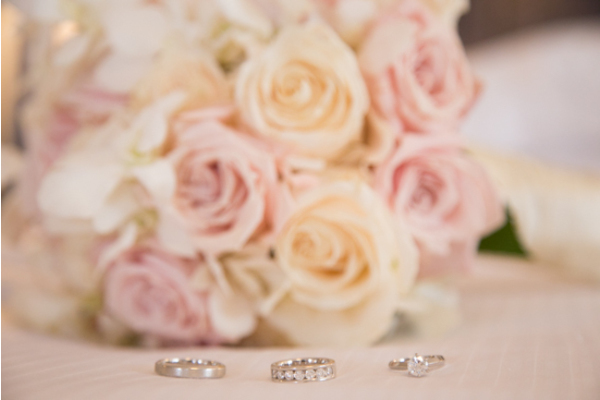 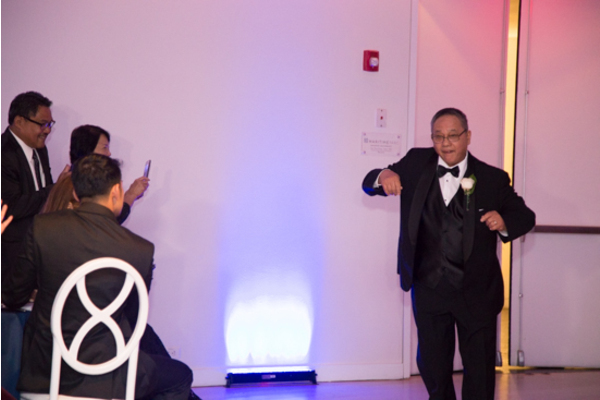 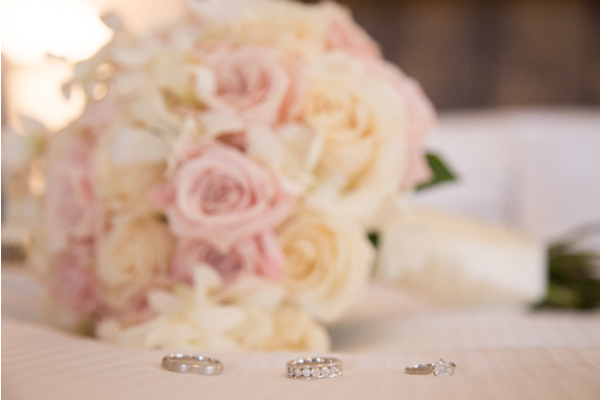 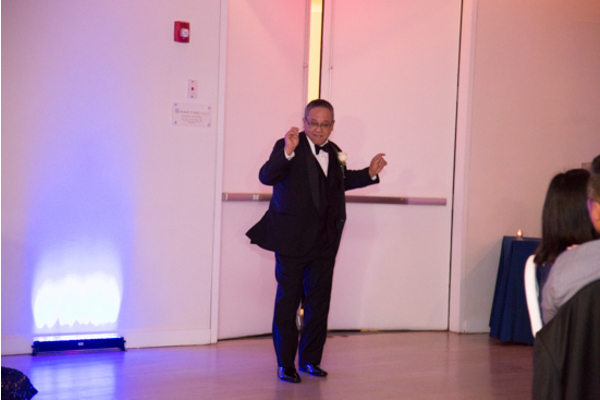 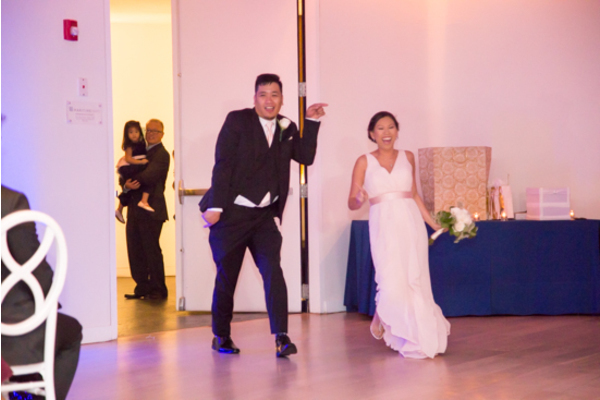 Our NJ Wedding DJ got the party started when he announced the new Mr. & Mrs. for the first time! 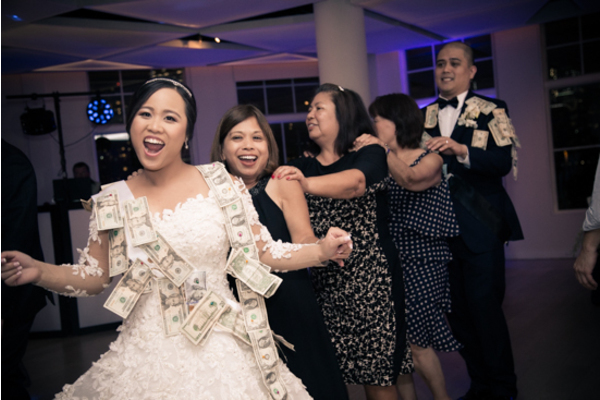 The dance floor was packed the entire night and the bride and groom were covered in dollar bills! 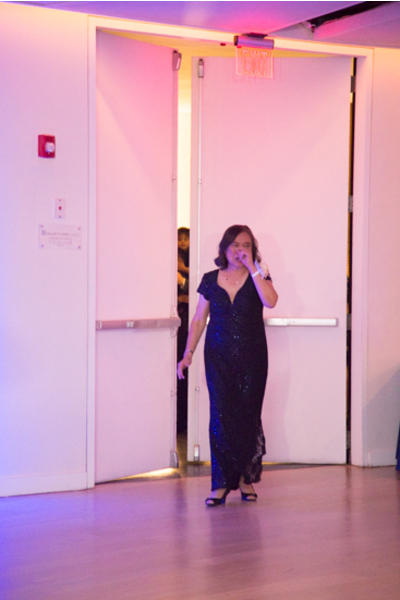 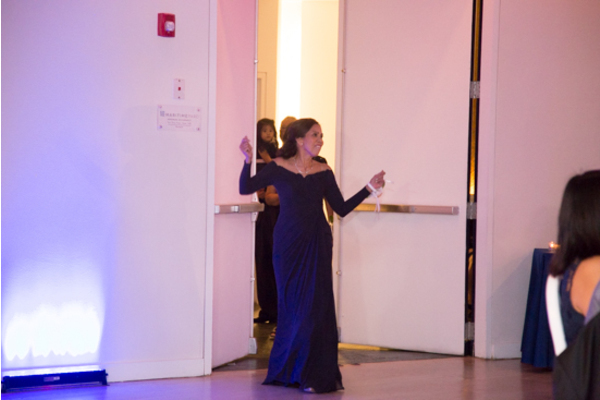 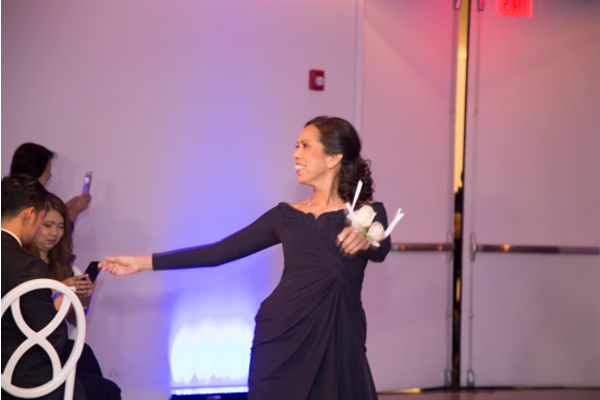 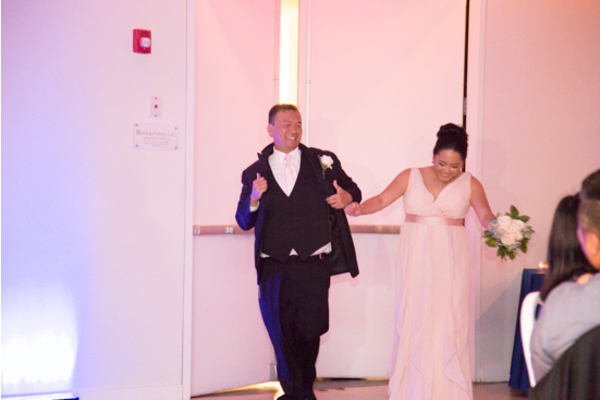 It was such a fun and memorable night and we are so happy we were there! 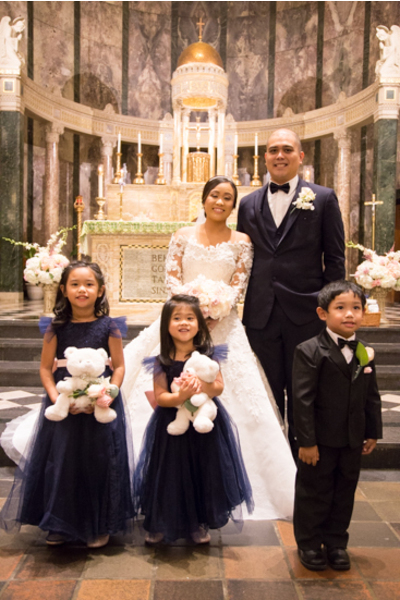 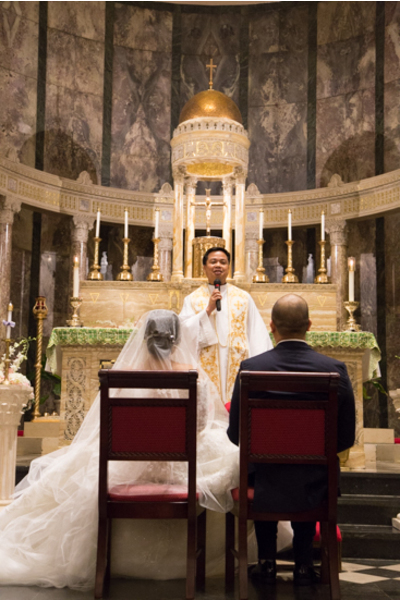 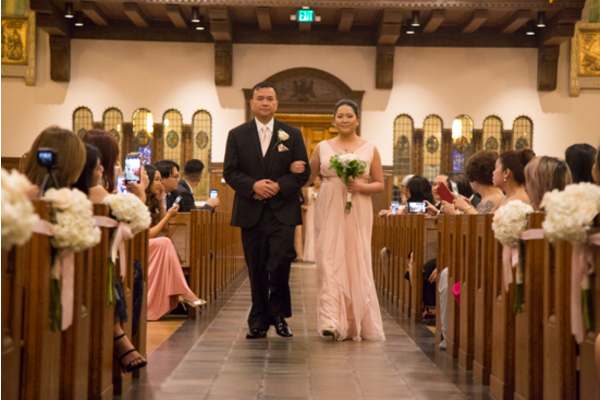 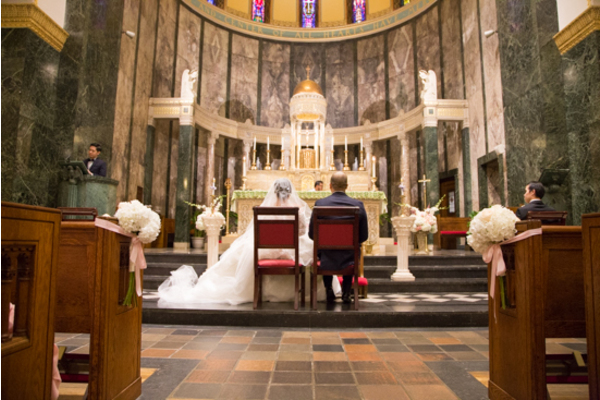 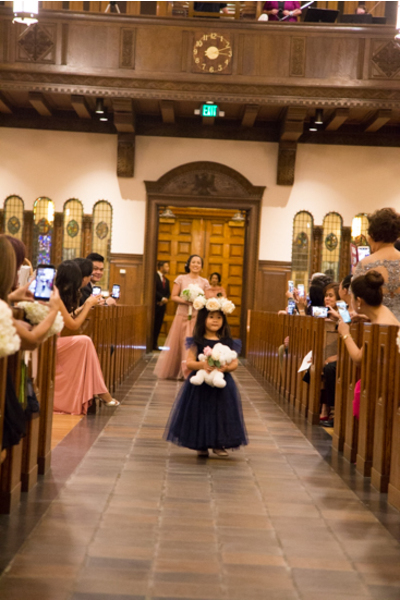 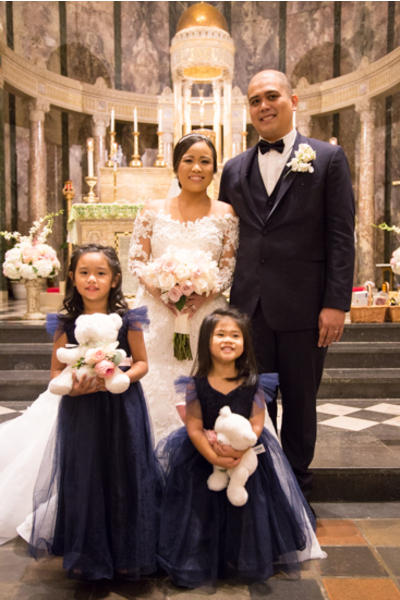 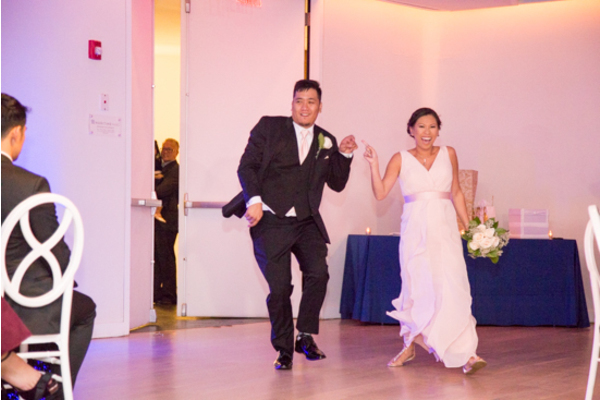 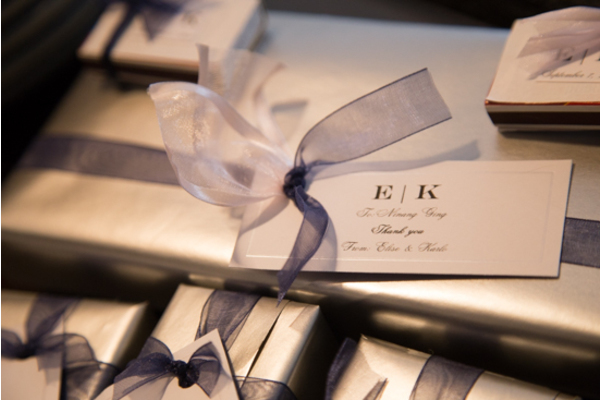 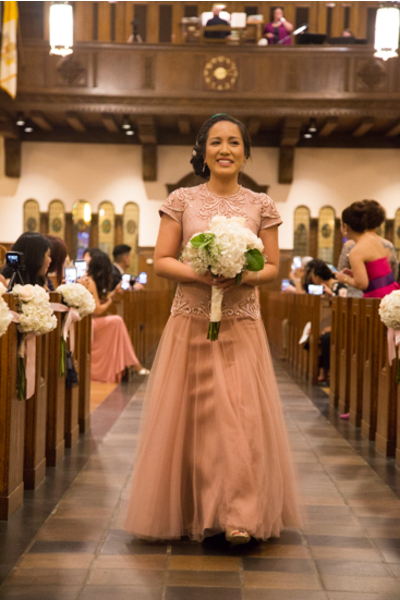 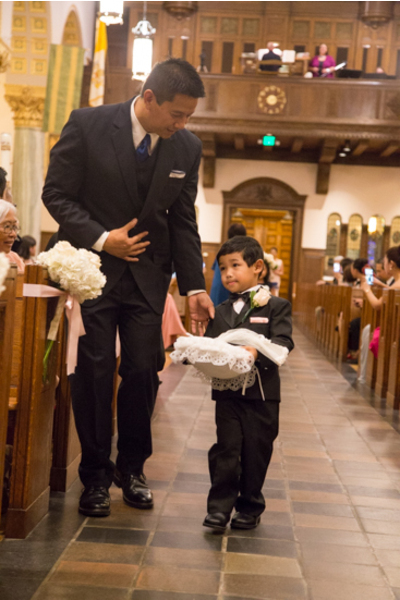 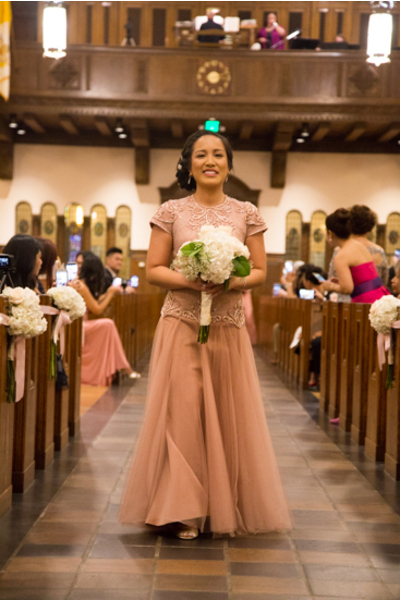 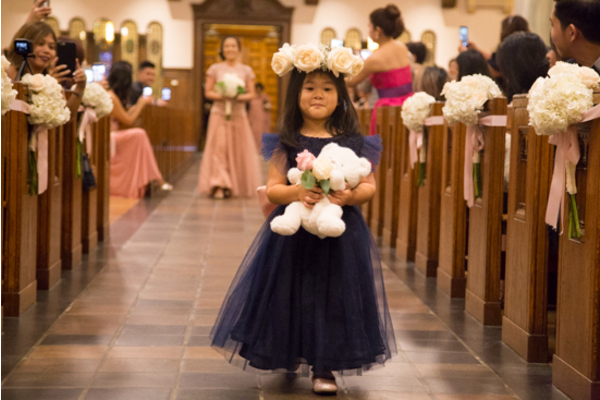 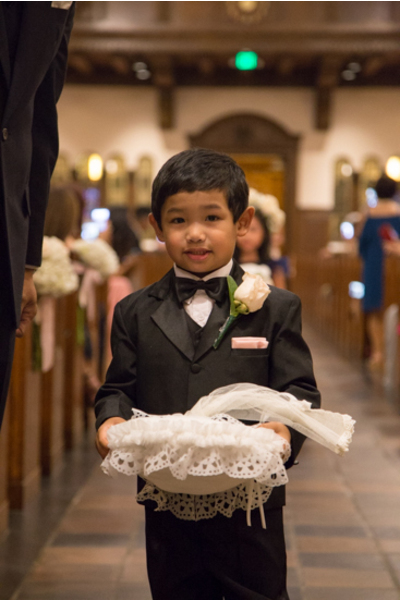 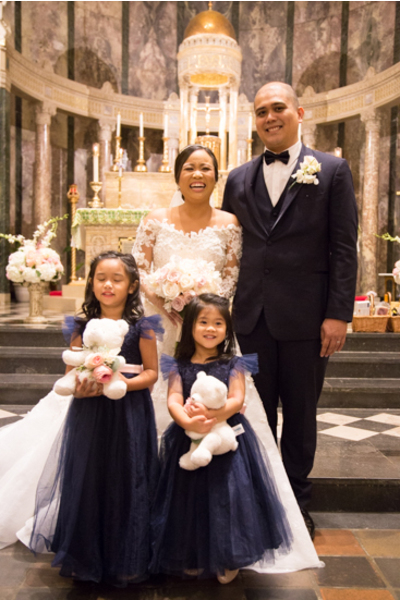 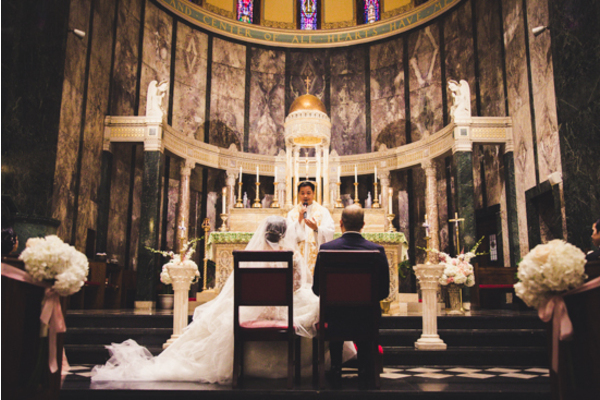 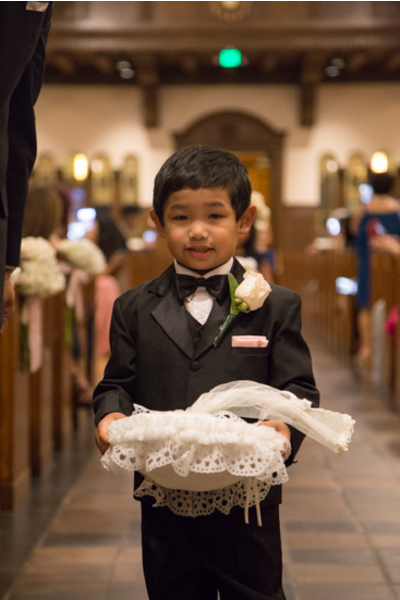 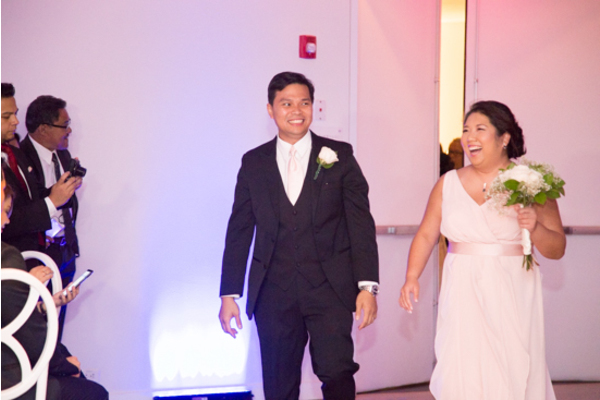 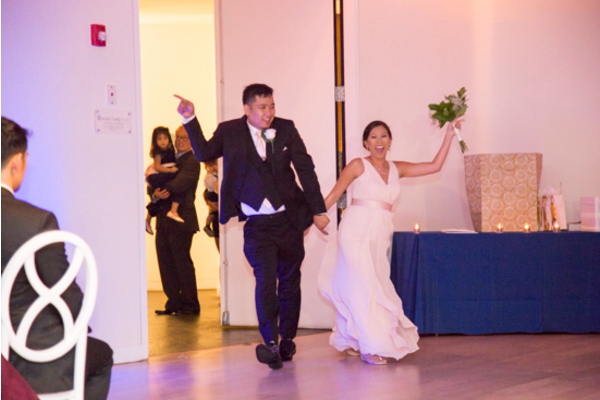 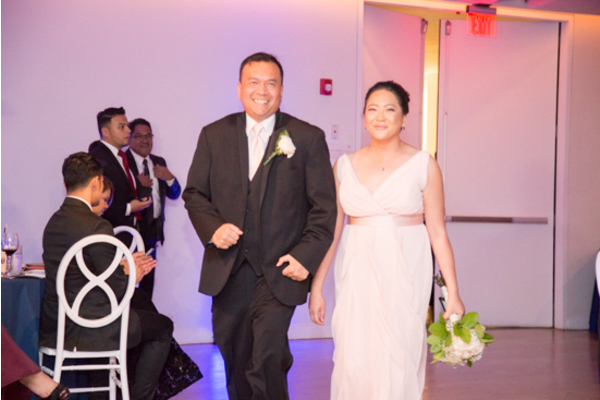 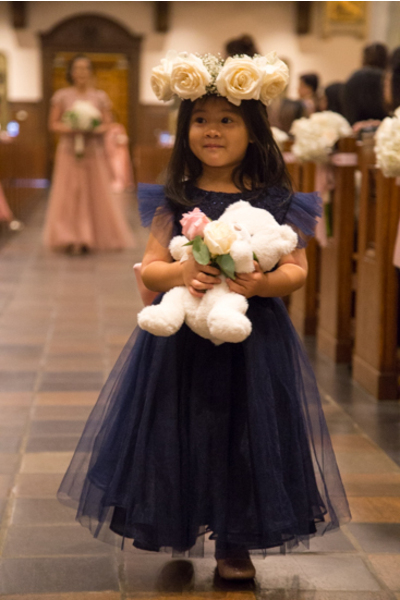 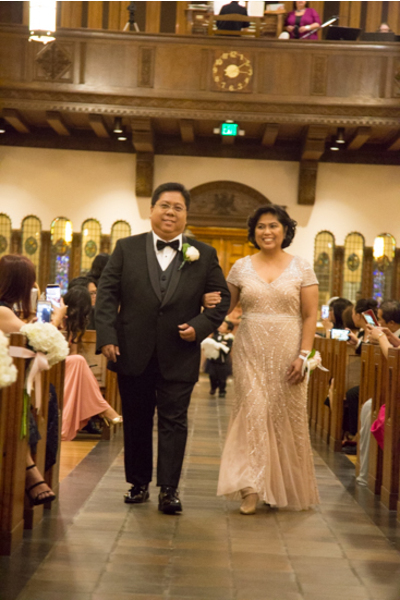 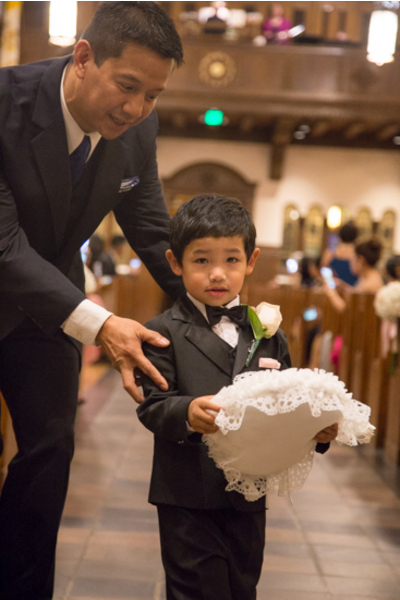 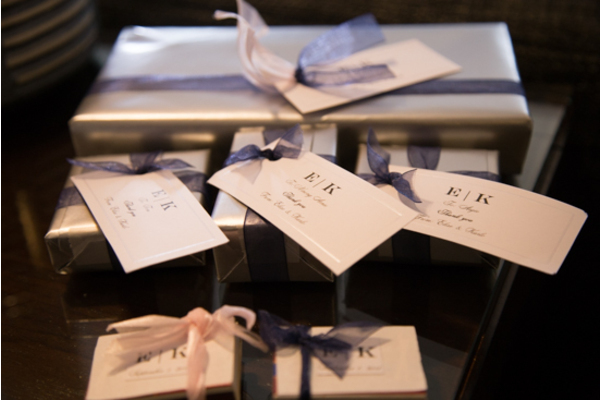 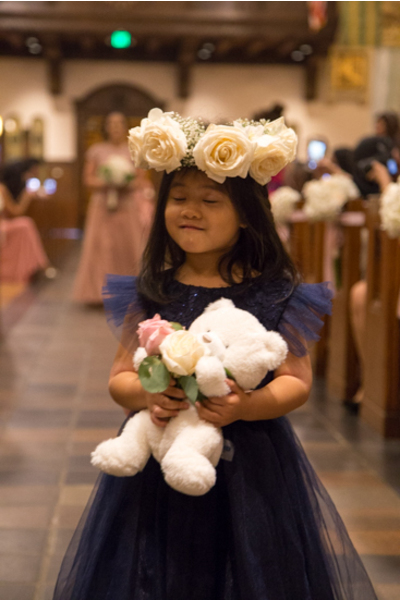 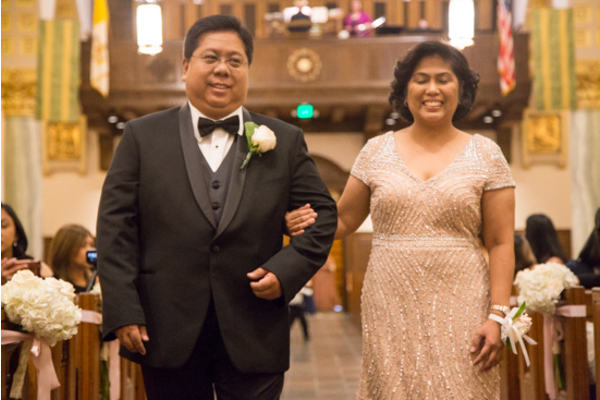 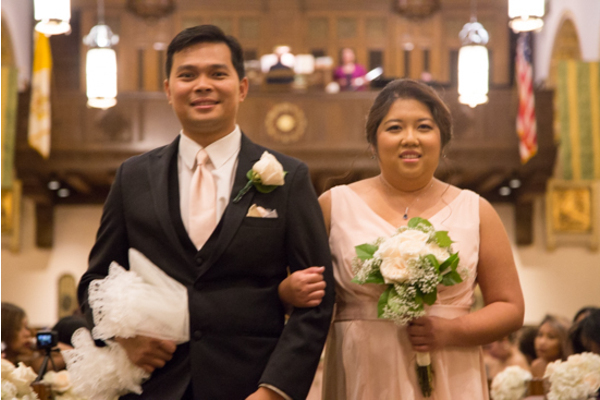 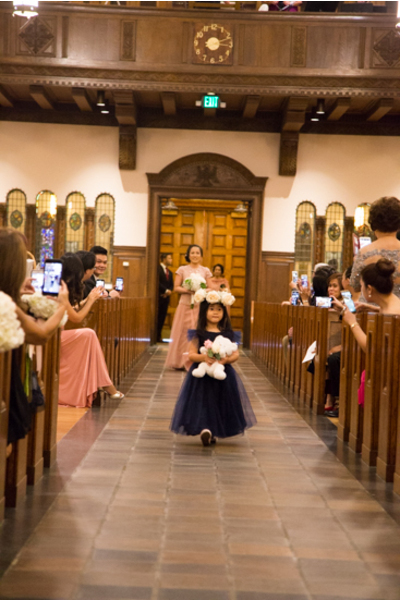 Many laughs and smiles were made during this very special day for Elise and Karlo. Congratulations once again!